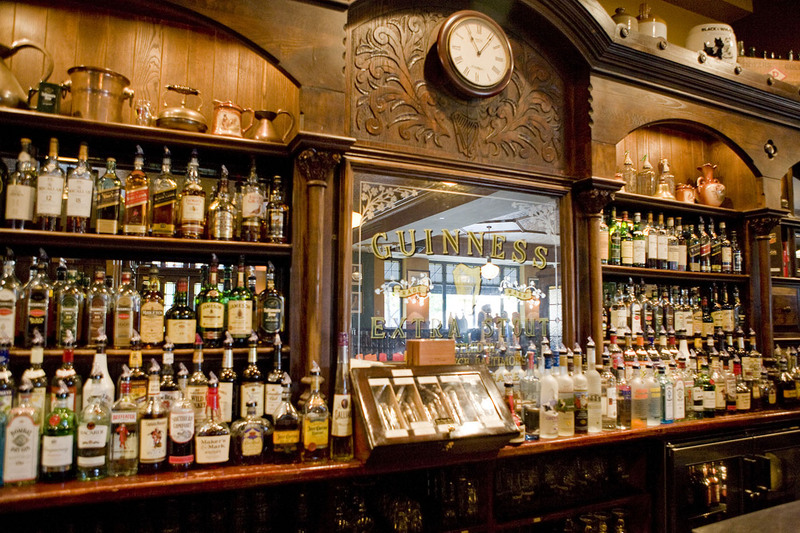 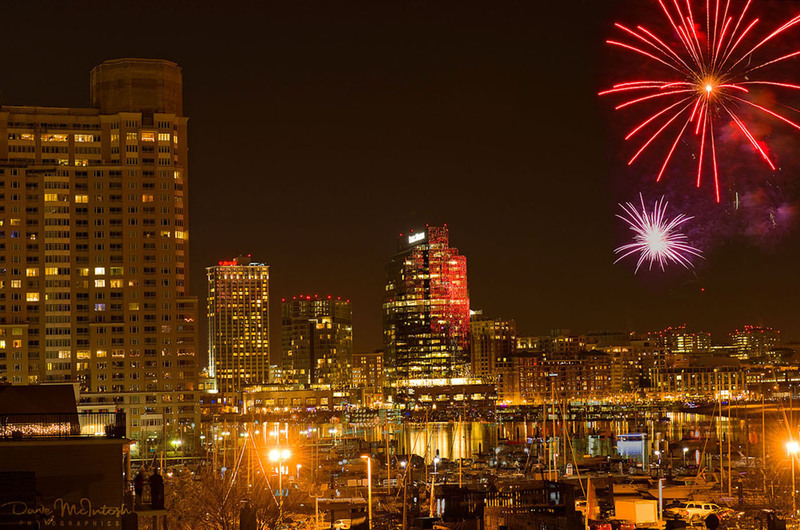 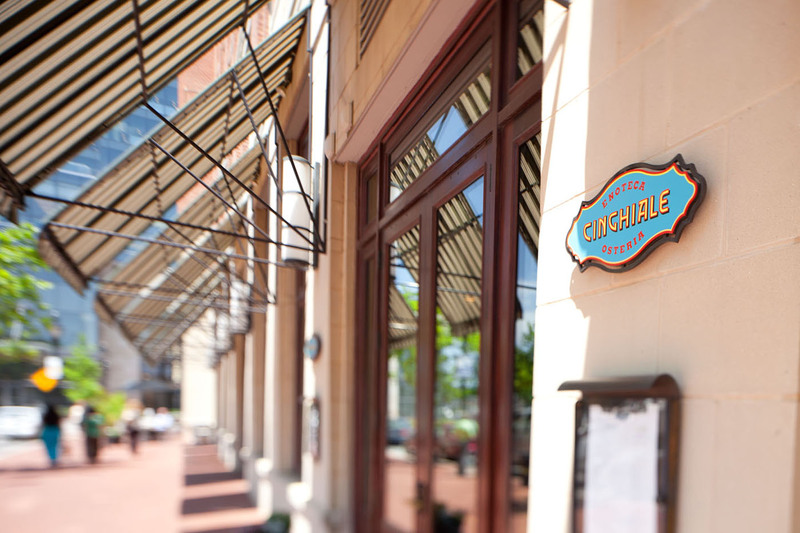 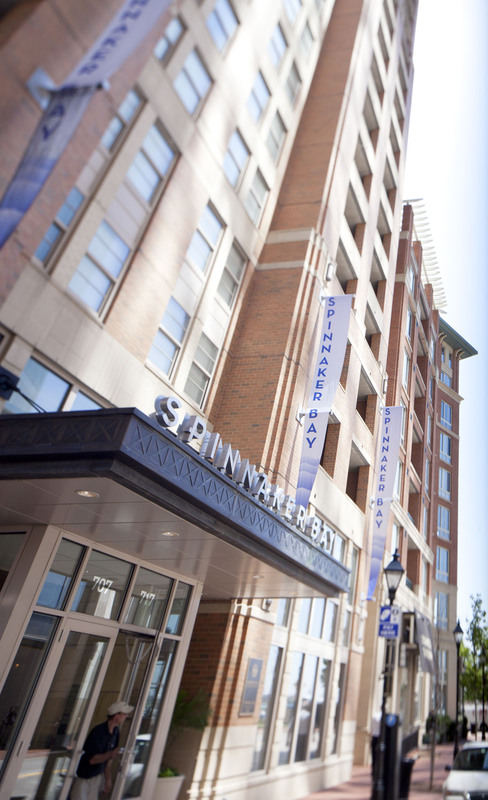 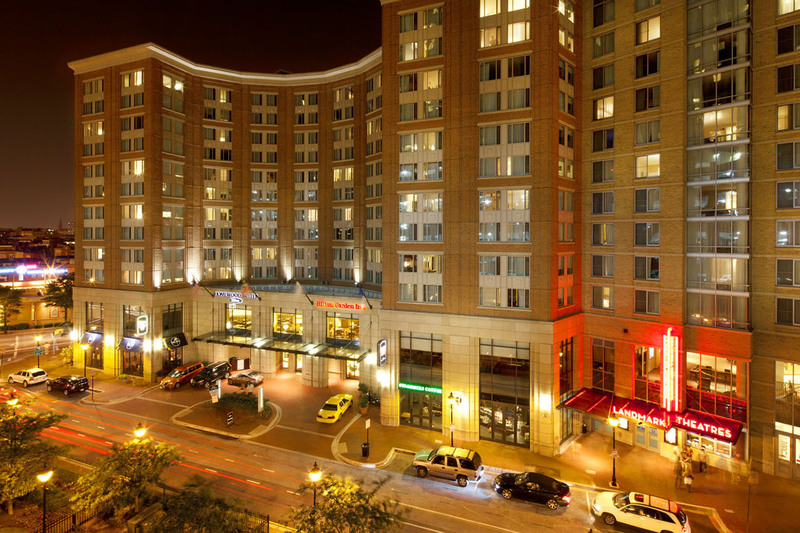 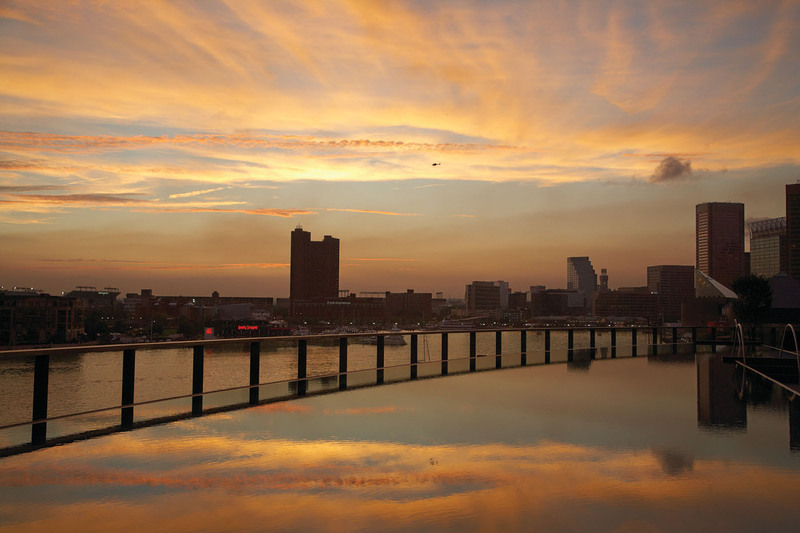 Browse through our images and videos below to get a sense of Baltimore's premier neighborhood. 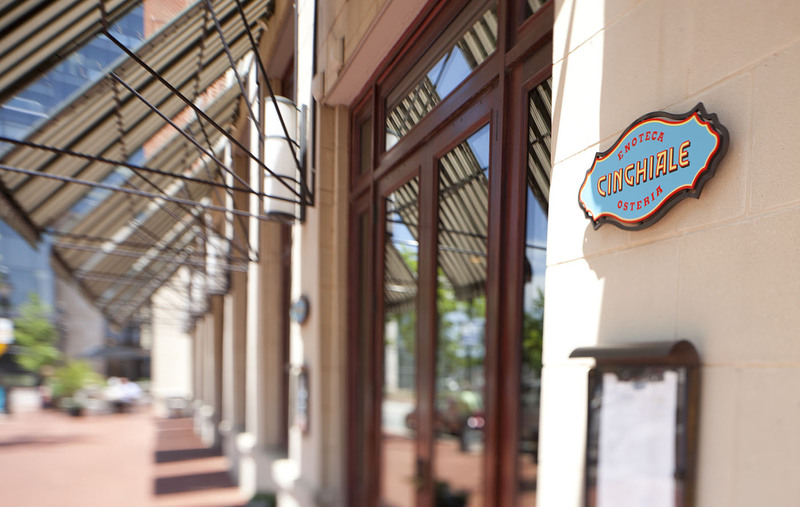 The elegant dining room at Chef Cindy Wolf’s signature restaurant, Charleston. 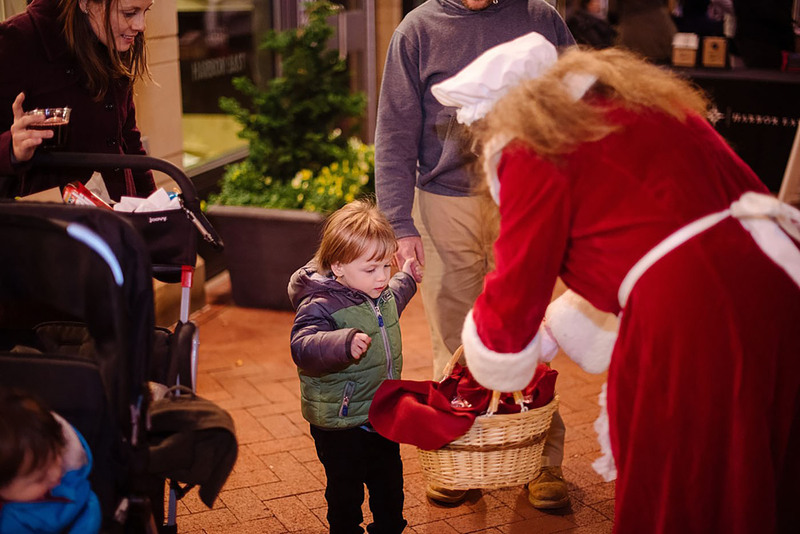 What are the holidays without a visit (and treats) from Mrs. Claus? 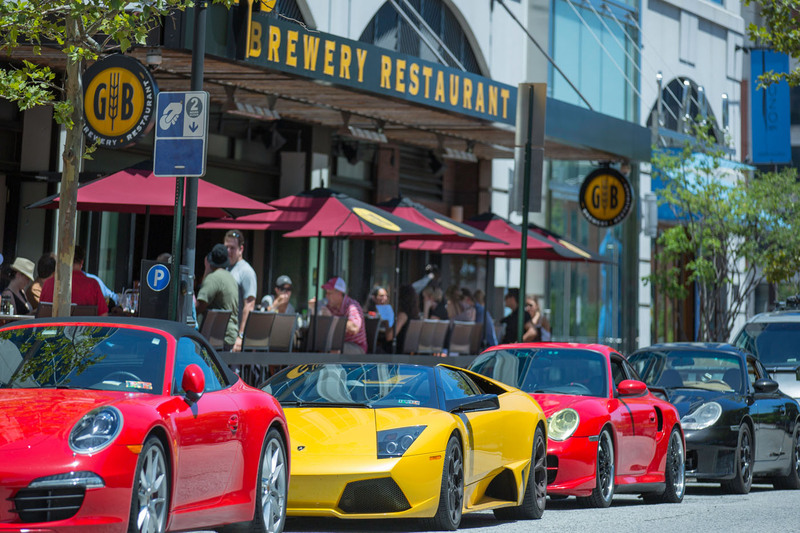 Get Out. 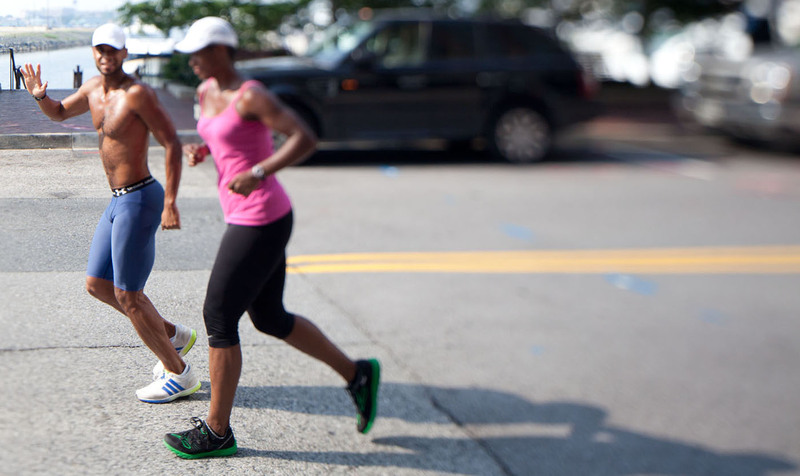 Work Out. 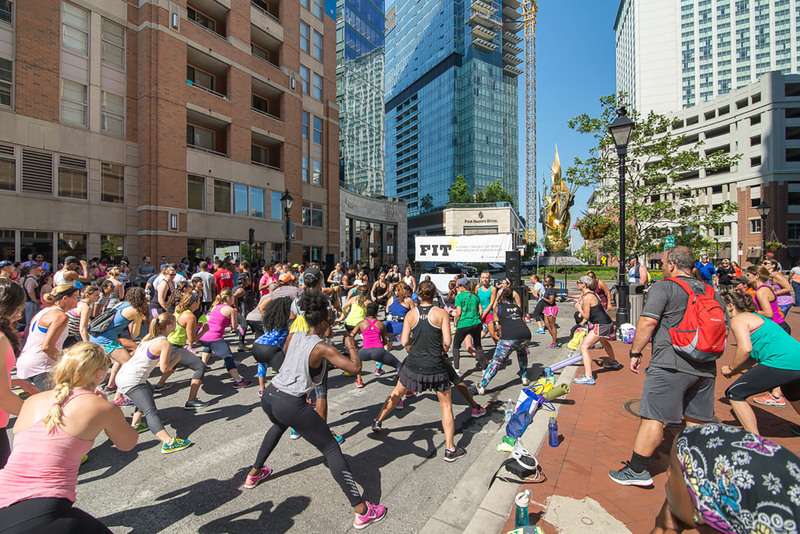 At Harbor East’s Annual FIT+ Festival. 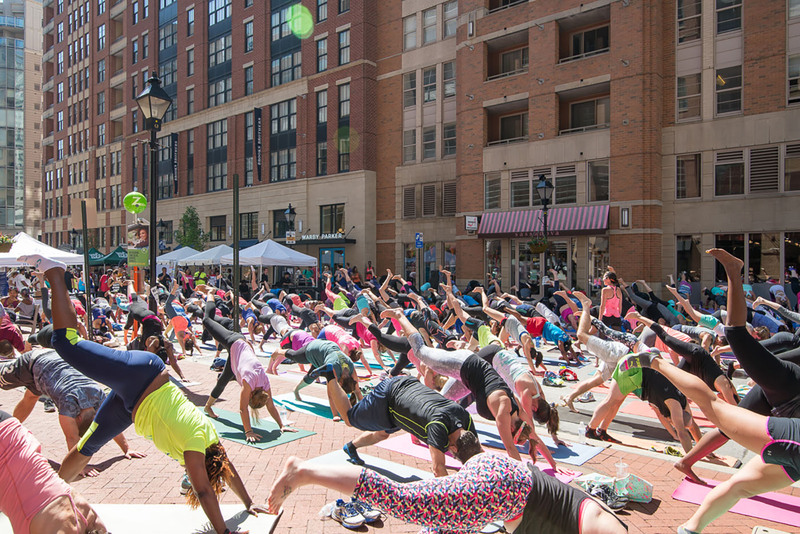 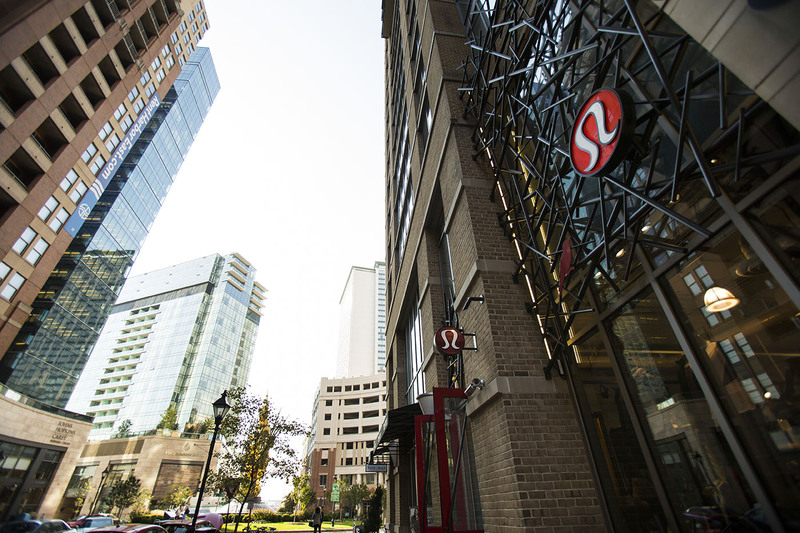 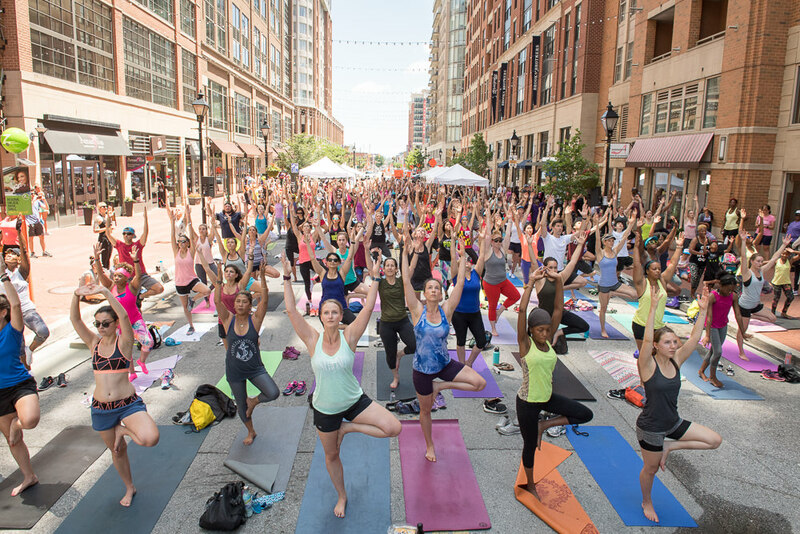 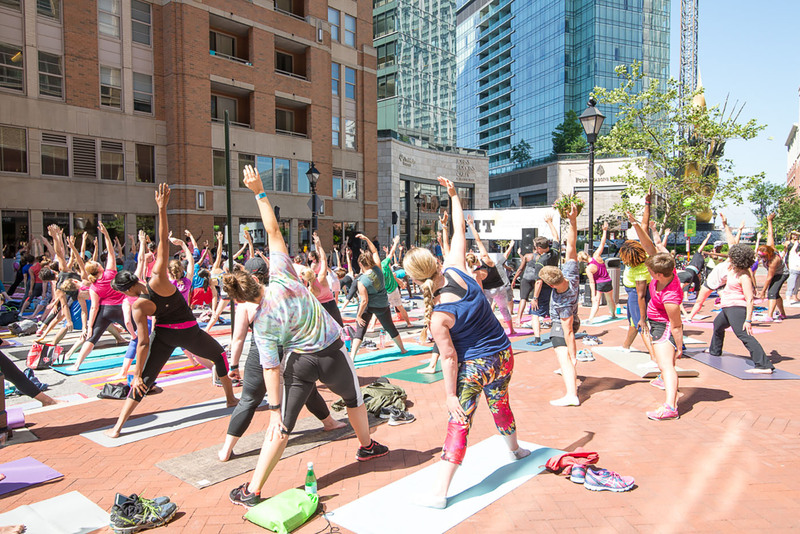 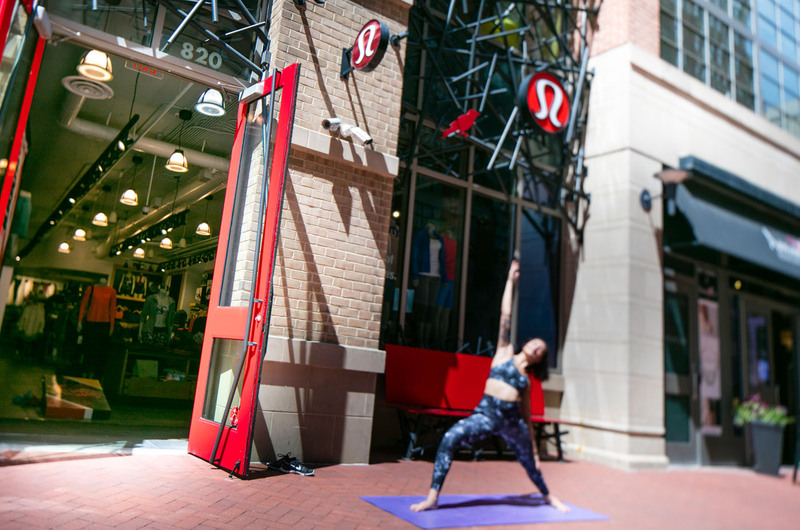 Yogis enjoy a morning practice on Aliceanna Street during FIT+, compliments of lululemon athletica. 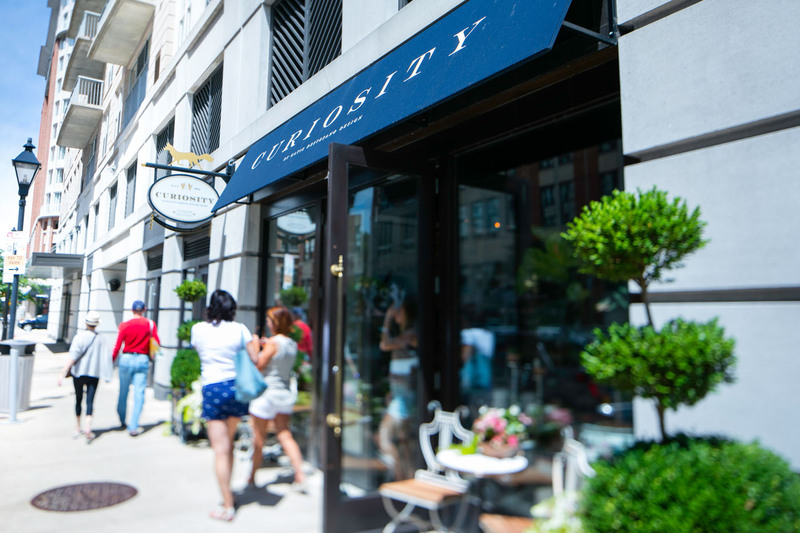 Lose yourself in Curiosity’s small but perfectly curated space of unique home goods and gifts. 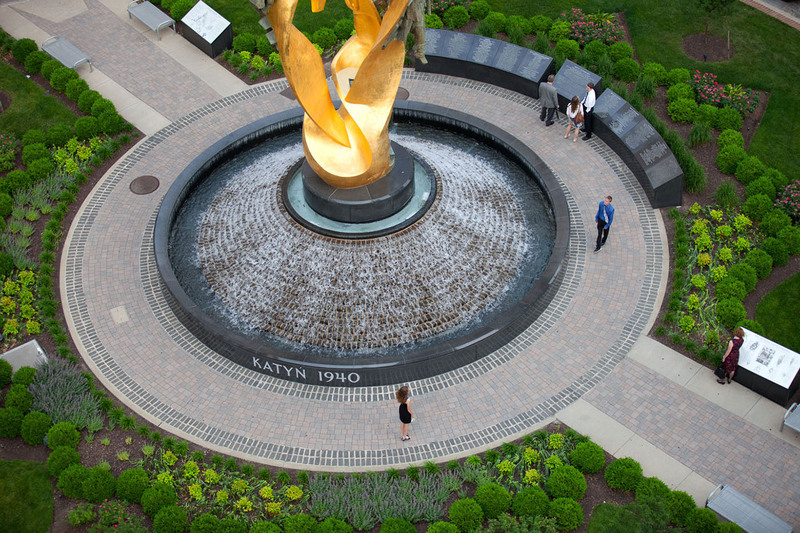 A bird’s eye view of Katyn Memorial and the John Paterakis Sr. Circle. 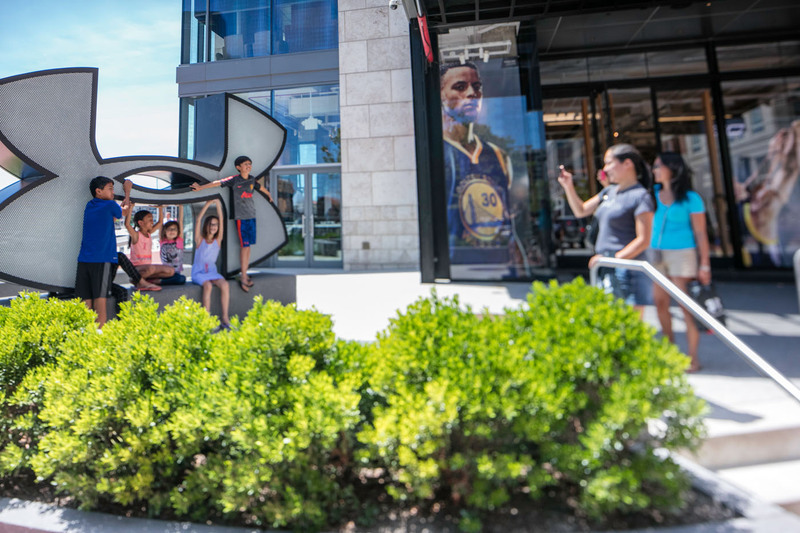 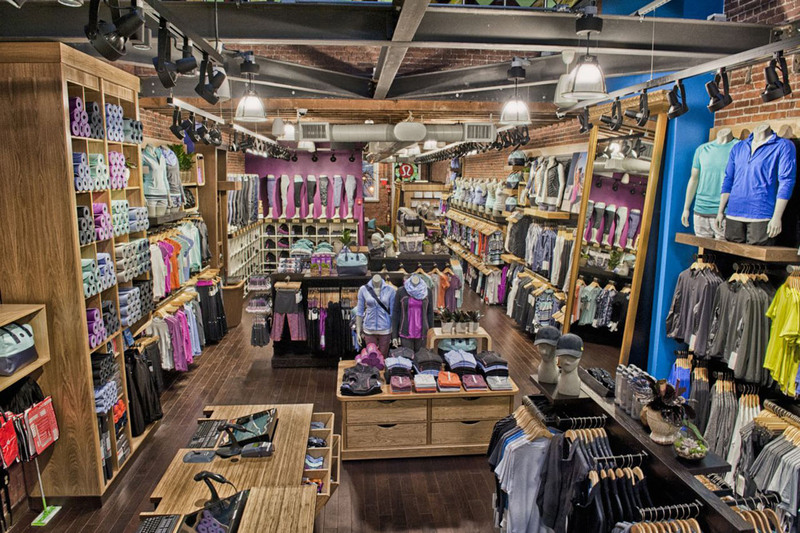 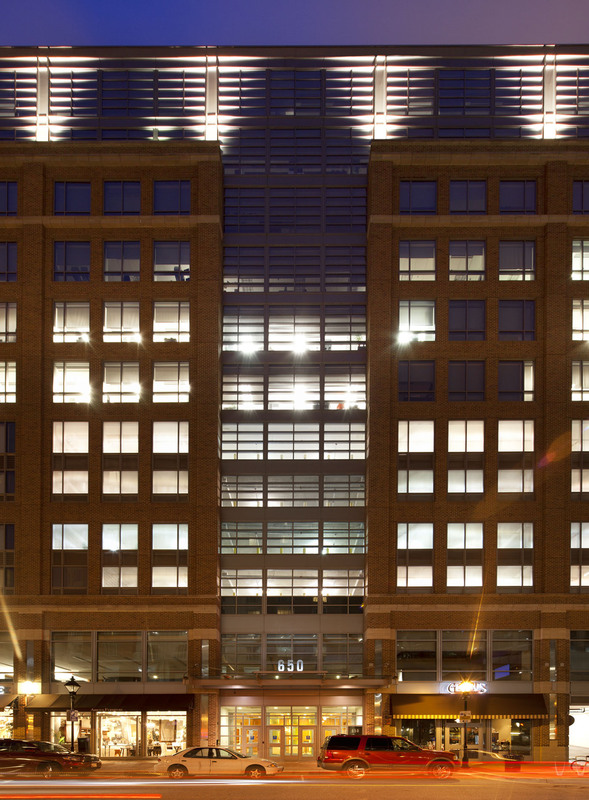 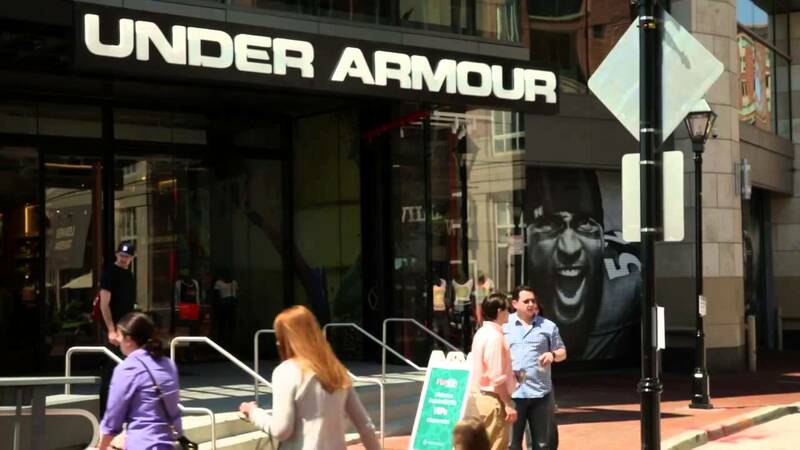 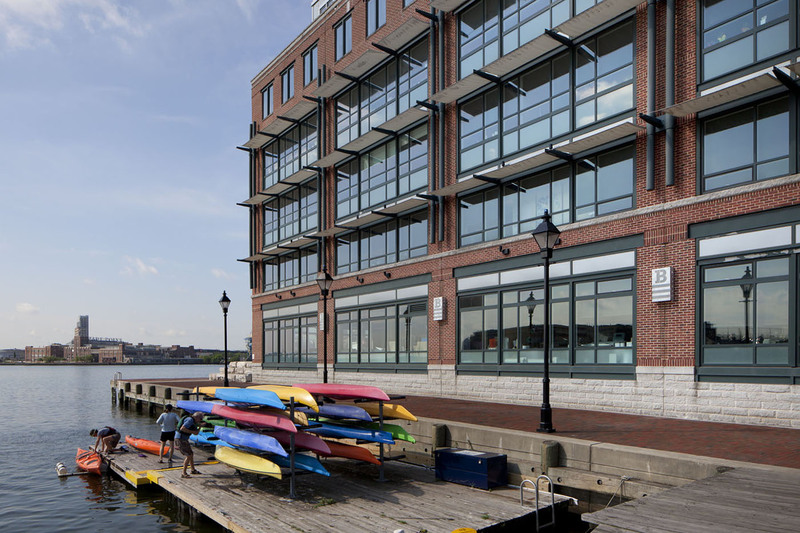 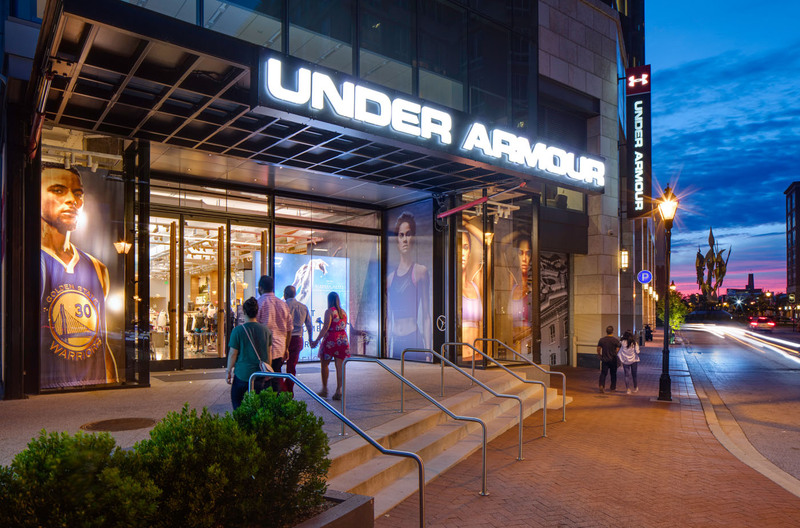 Under Armour’s flagship Brand House in Harbor East is situated just across the harbor from their corporate campus. 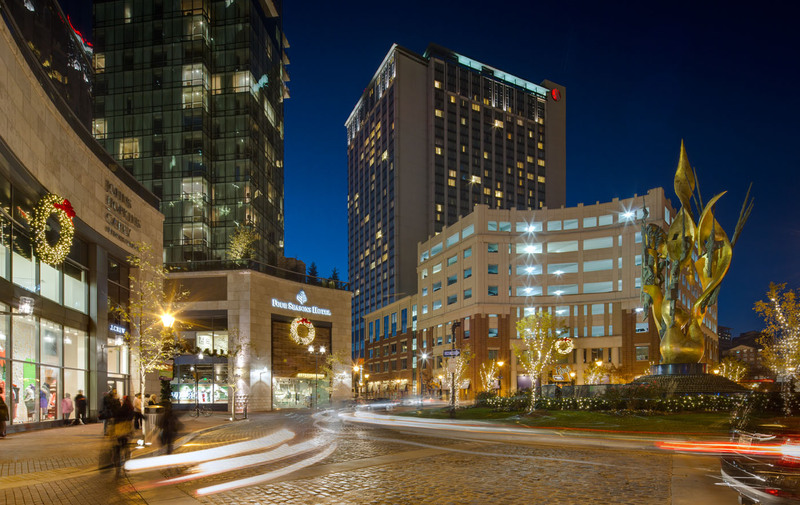 A warm glow sets in over the Hilton Garden Inn/Homewood Suites at Harbor East. 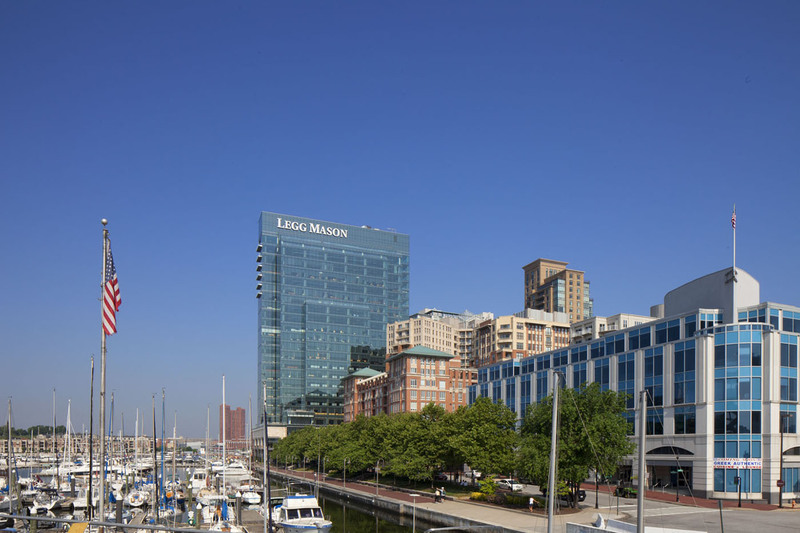 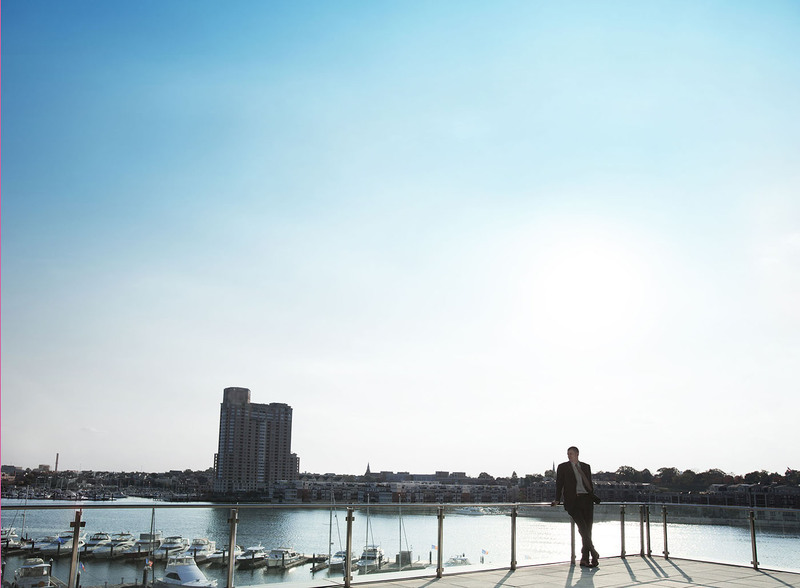 Breathtaking views, spectacular event spaces and unbeatable amenities -- explore why Harbor East hotels have both the business and leisure traveler covered. 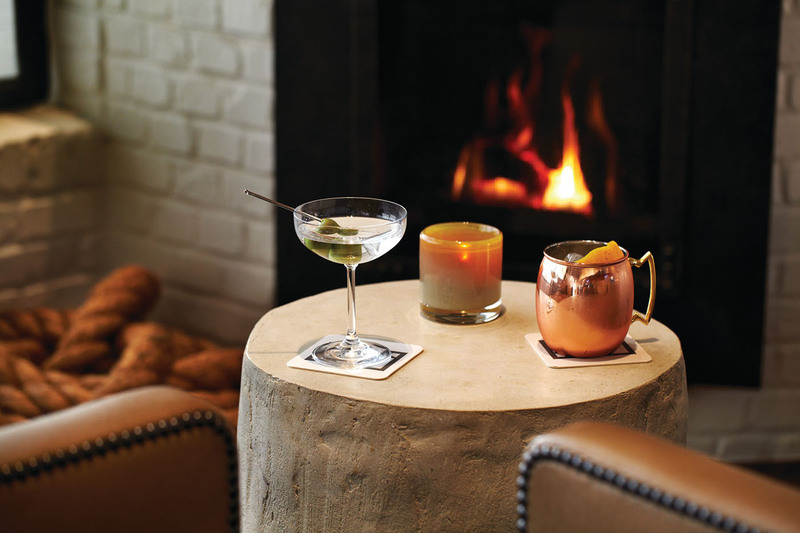 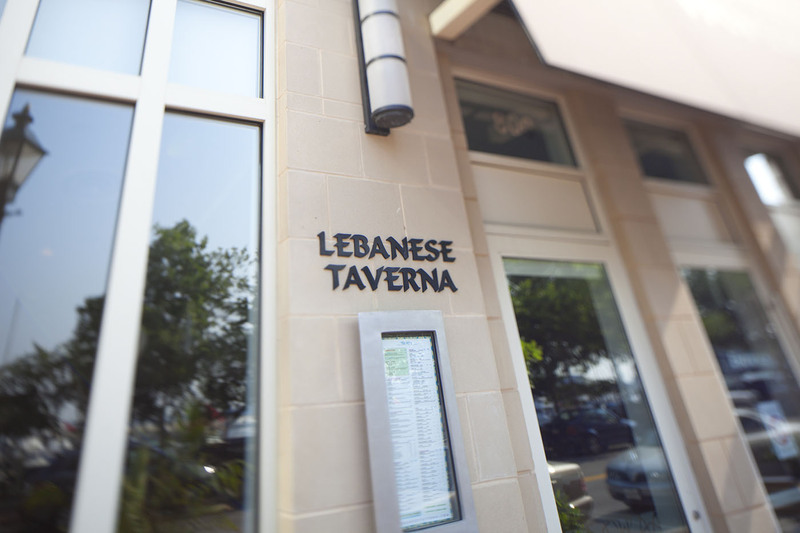 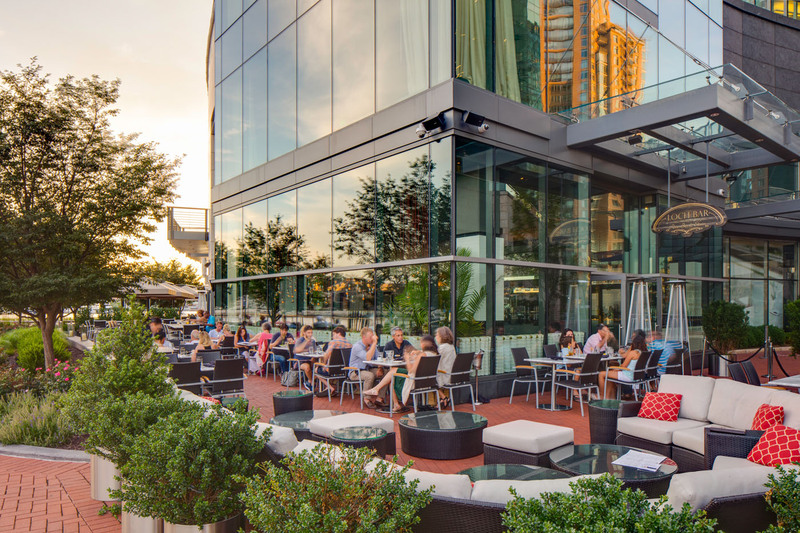 A taste of the good life in Harbor East. 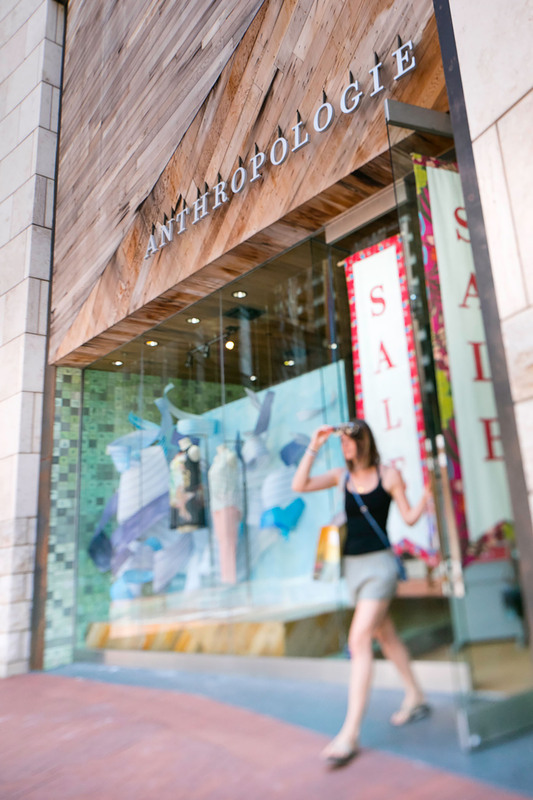 Spring 2016 looks from Anthropologie on the FashionEASTa runway. 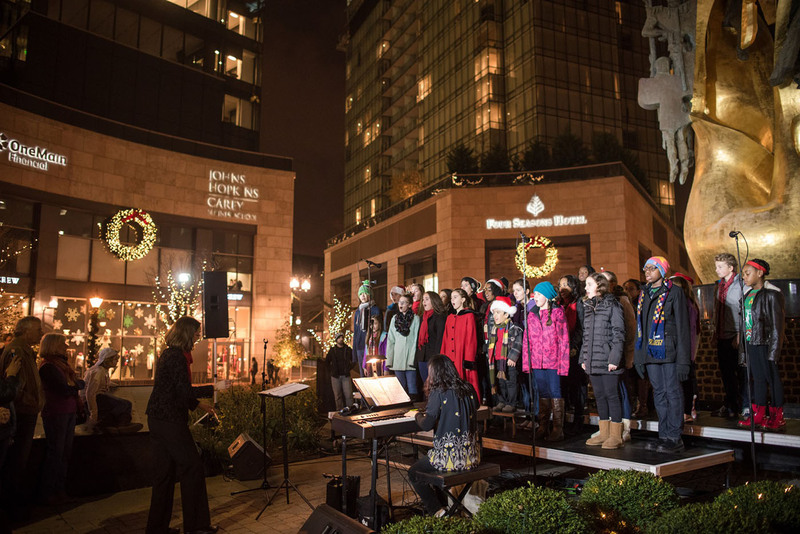 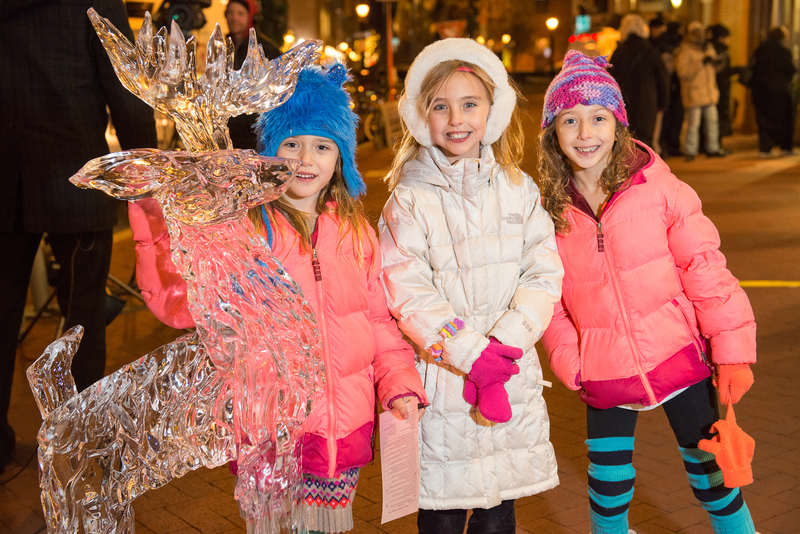 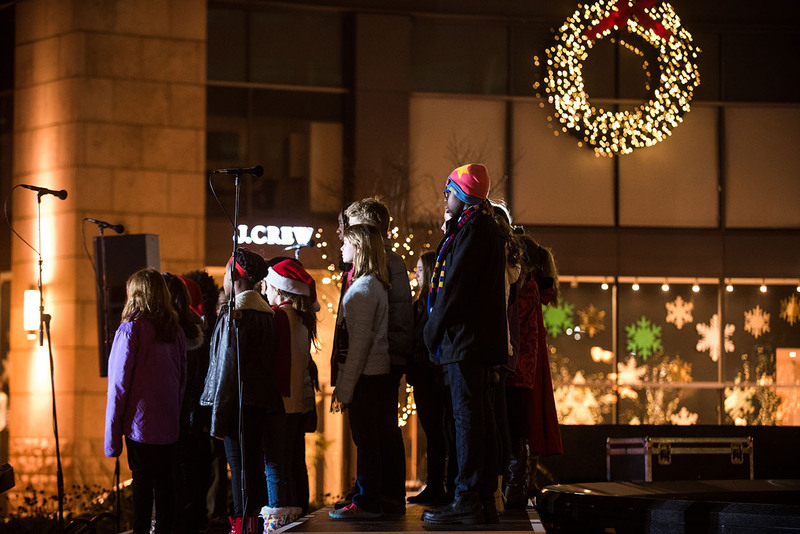 Getting into the holiday spirit at Harbor East. 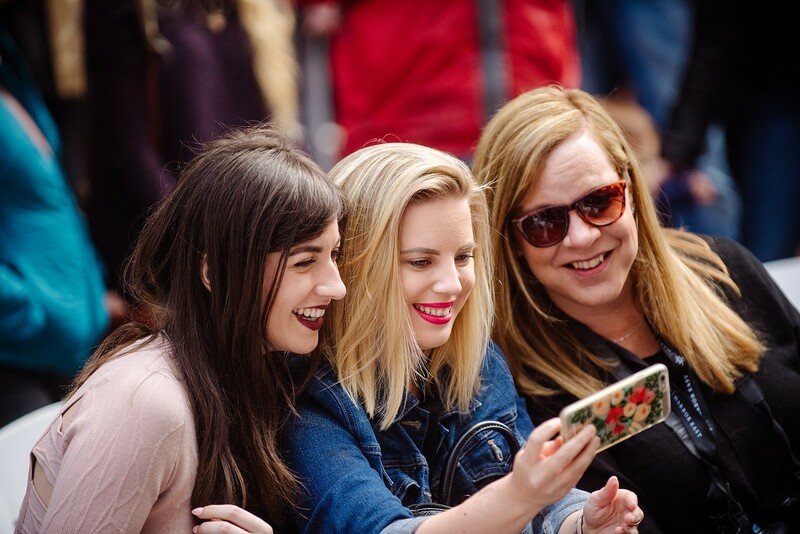 Getting the perfect photo opp. 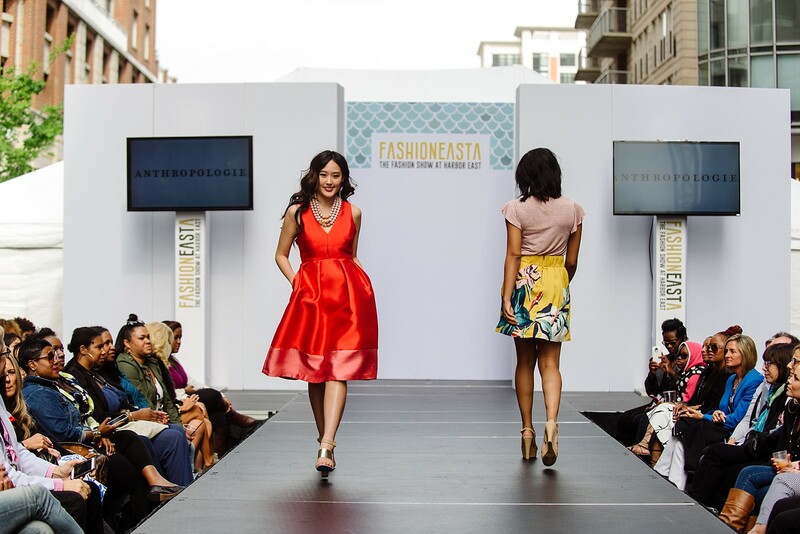 with front row seats at FashionEASTa Fashion Show. 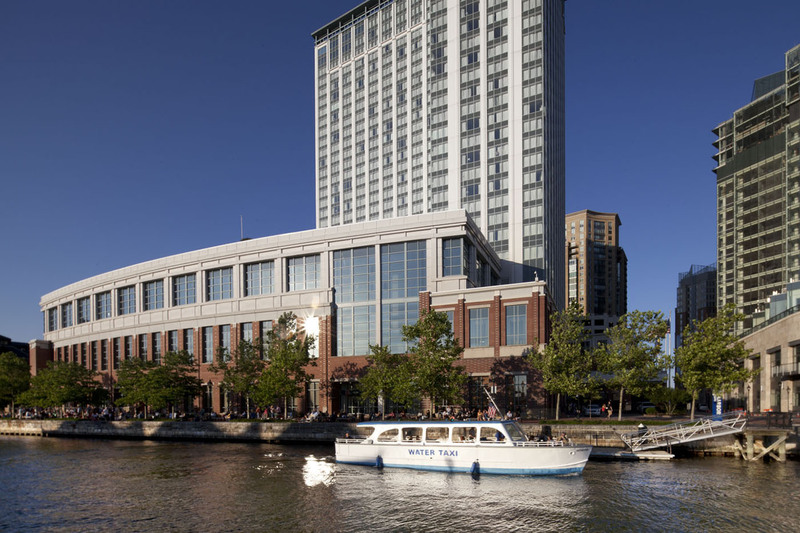 The Water Taxi pulls into the Harbor East stop just outside the Marriott Waterfront Hotel. 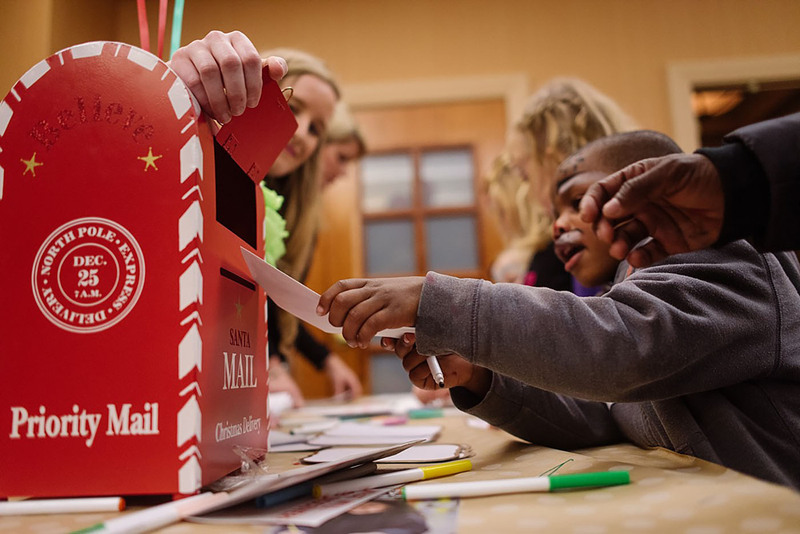 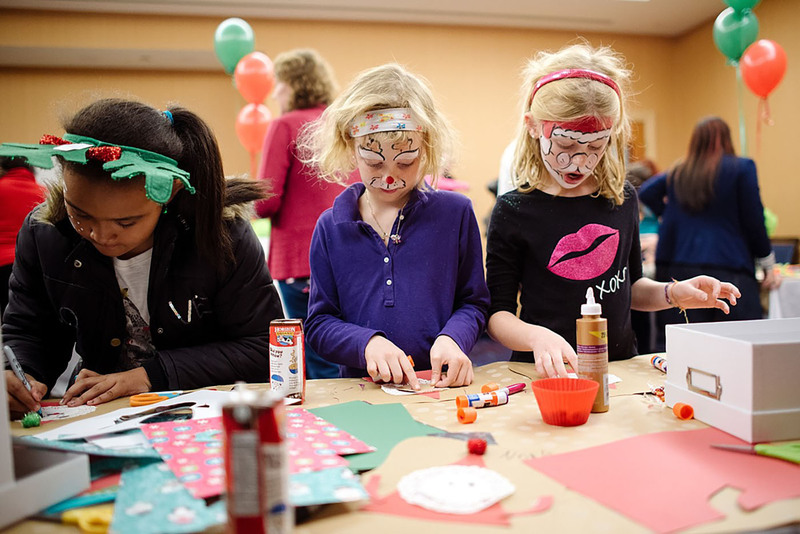 Mailing “Letters to Santa” at the Annual Milk & Cookies Social, a (cool) progeny Play Date. 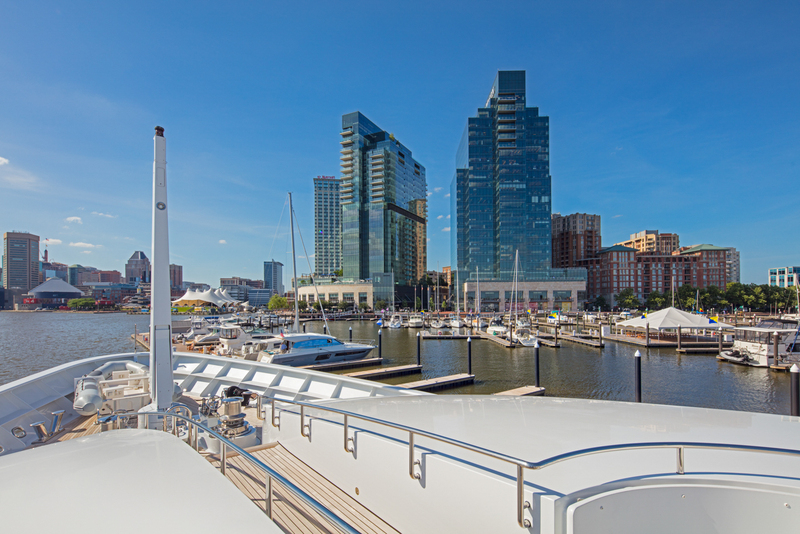 It’s good to call Baltimore’s harbor “home”. 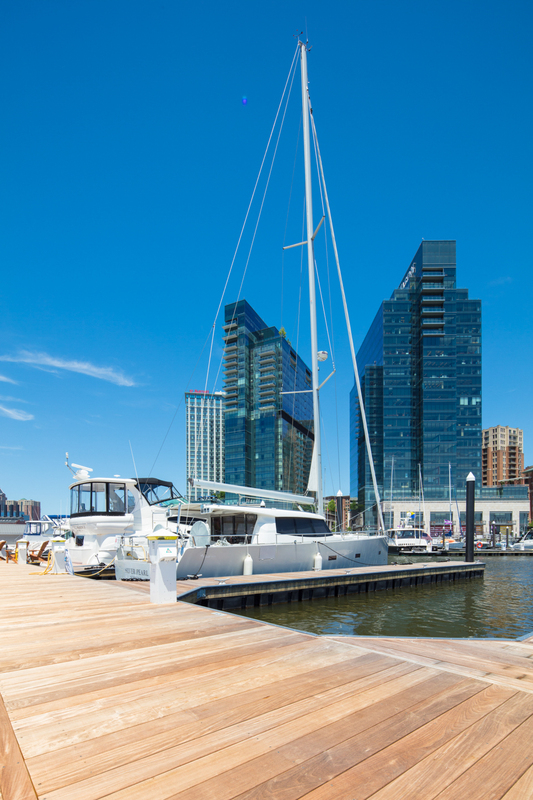 Masts over the Harbor East Marina. 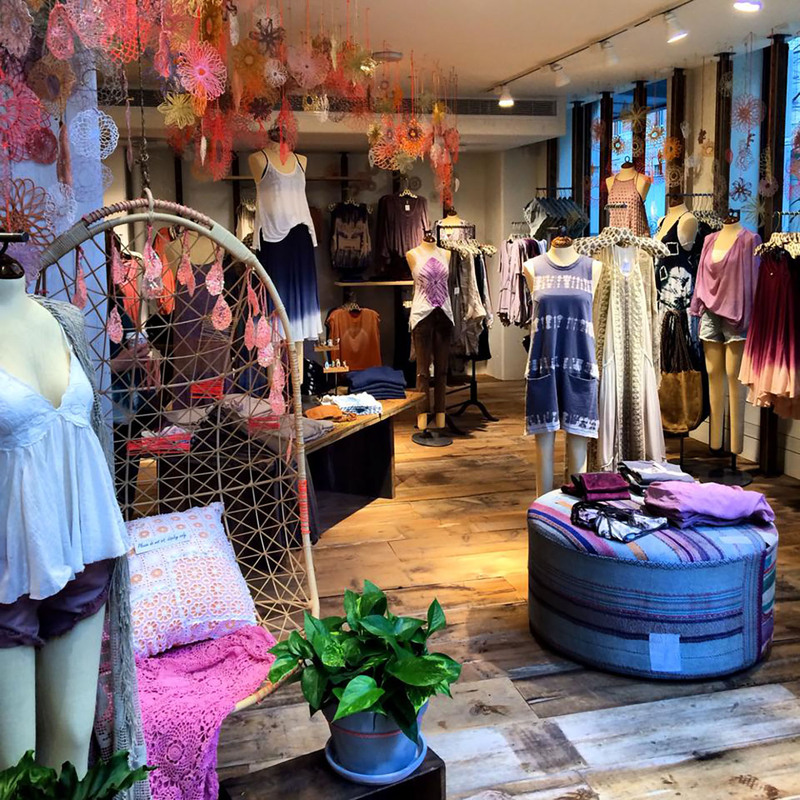 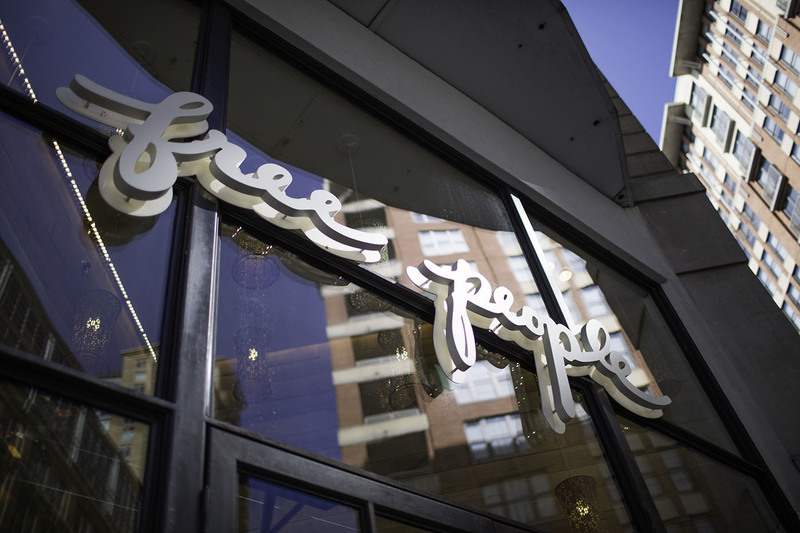 Plenty of pretty things on display at Free People. 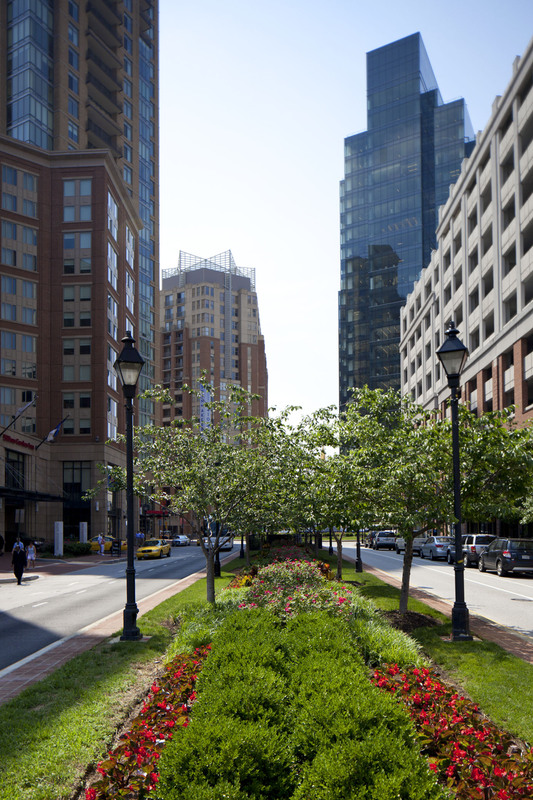 The gateway to Harbor East from I-83 and President Street. 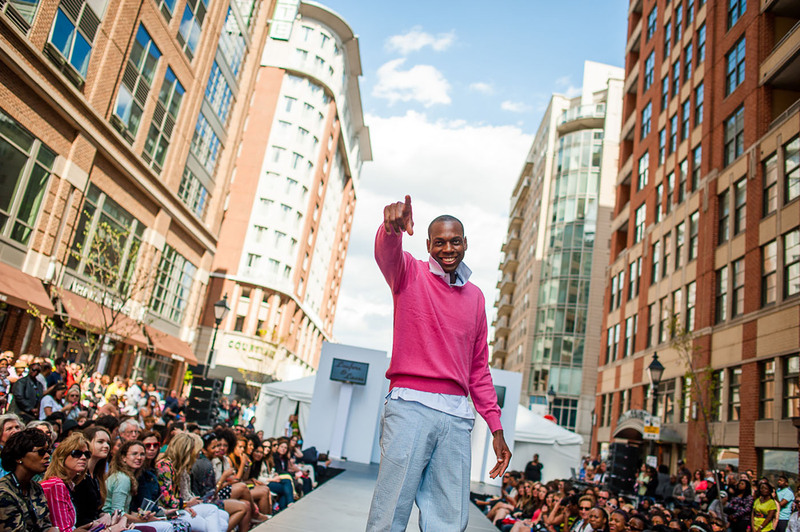 Justin Tucker of the Baltimore Ravens works the crowd at the FashionEASTa Fashion Show. 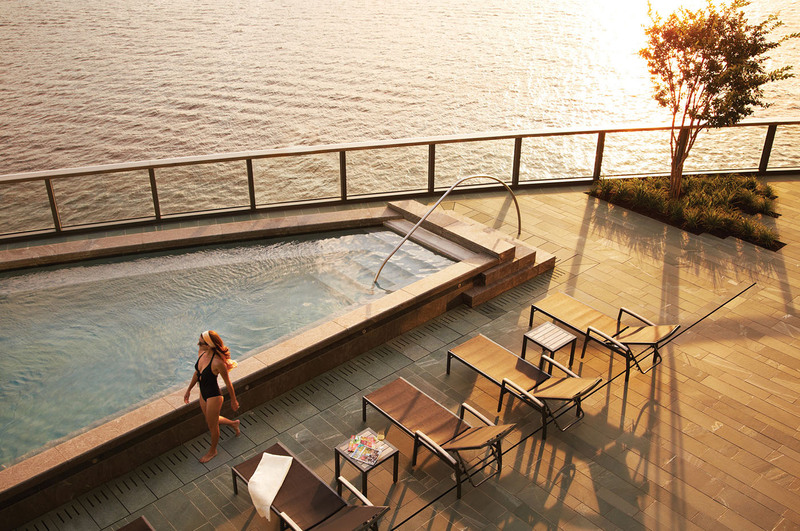 The enviable infinity pool deck at Four Seasons Hotel Baltimore overlooks the city’s breathtaking harbor. 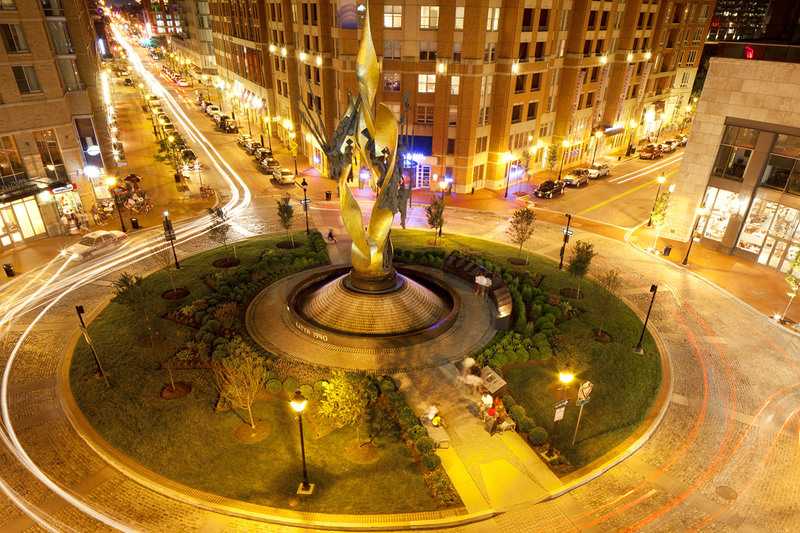 The bustling President Street Circle at rush hour. 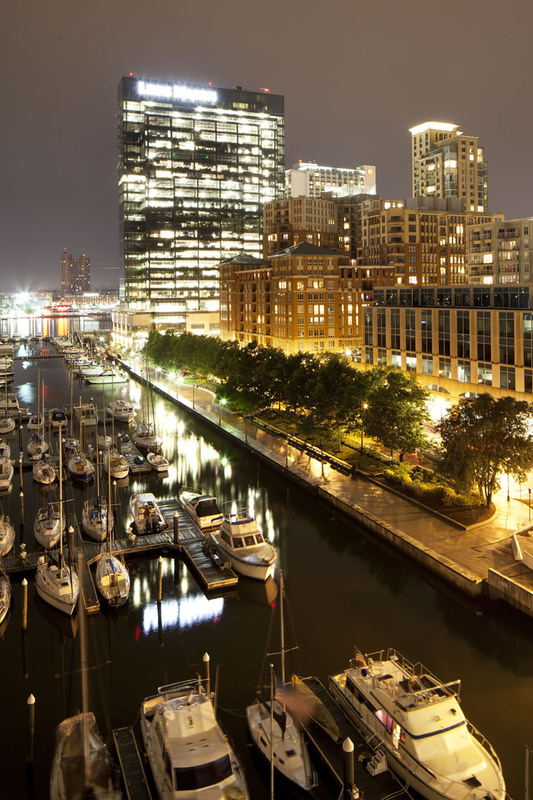 Harbor East’s stunning outline on the Baltimore skyline. 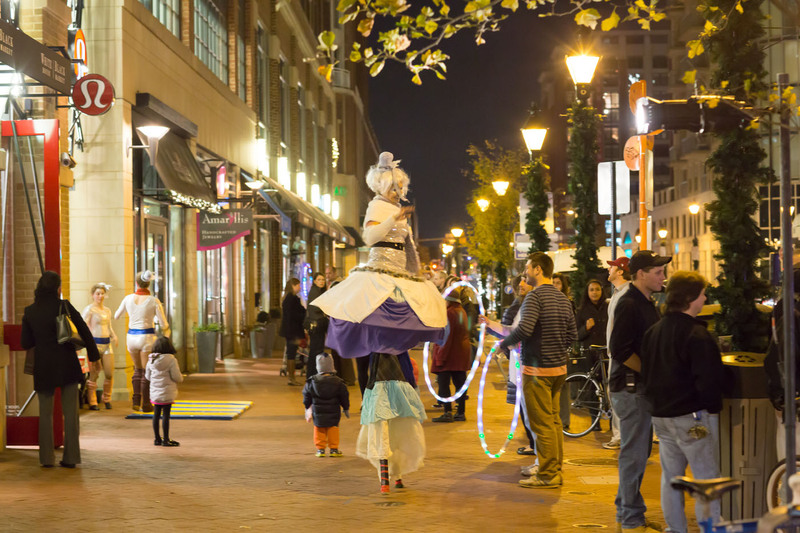 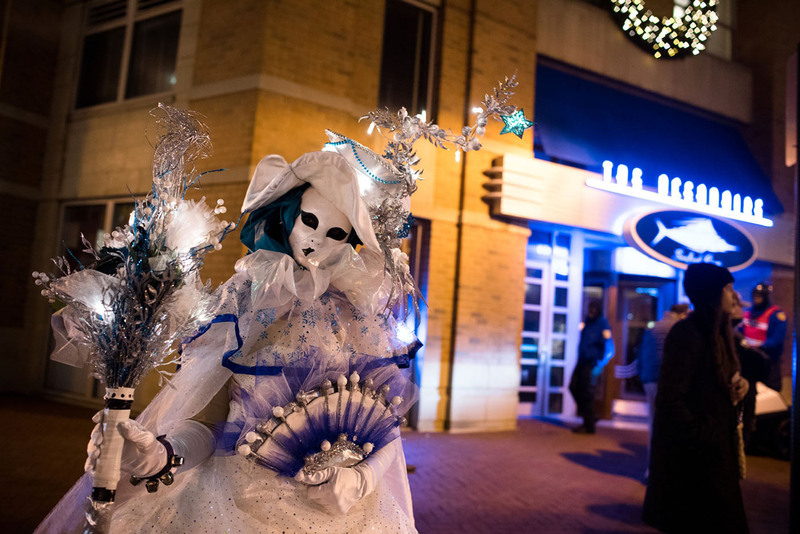 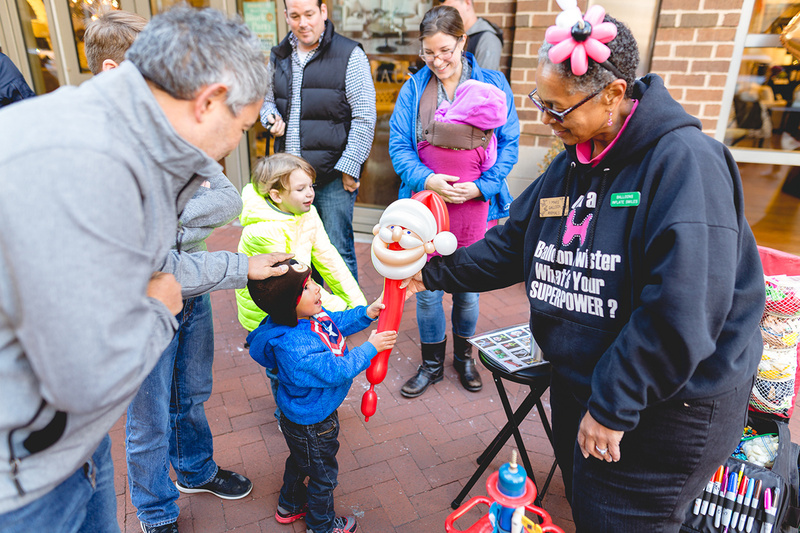 Stilt walkers greet shoppers during Harbor East holiday events. 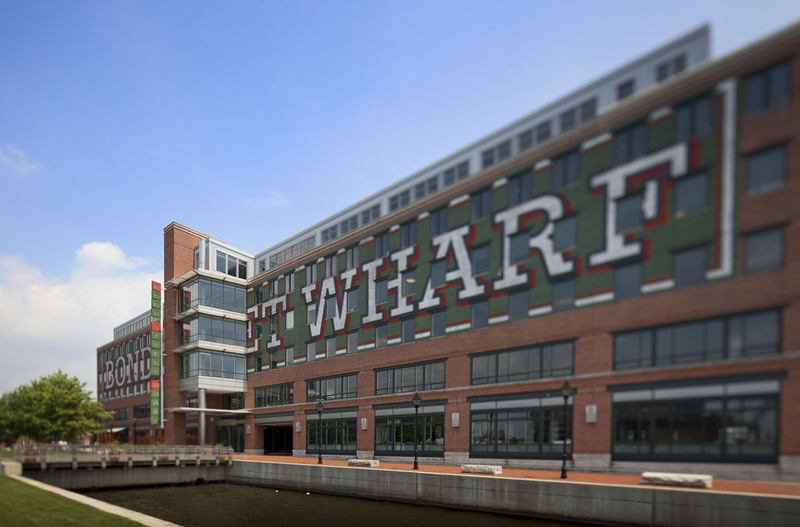 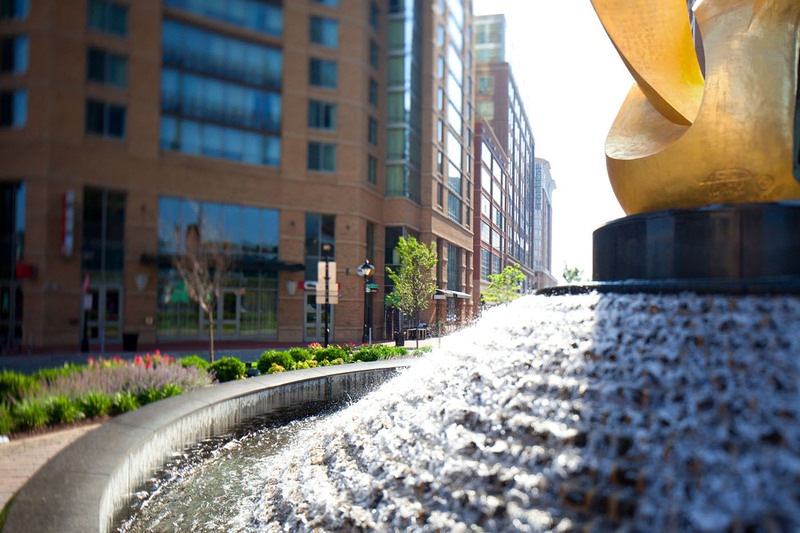 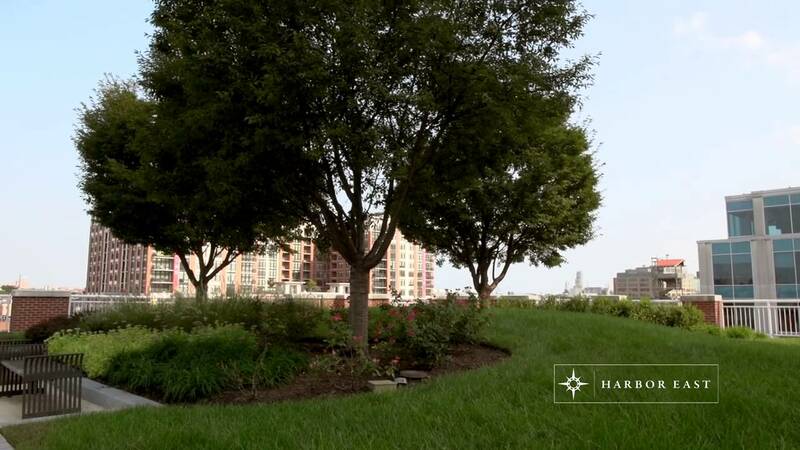 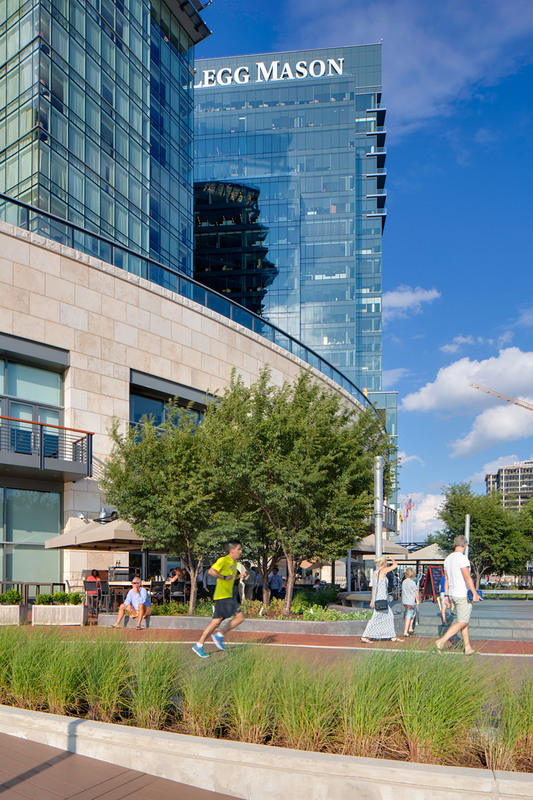 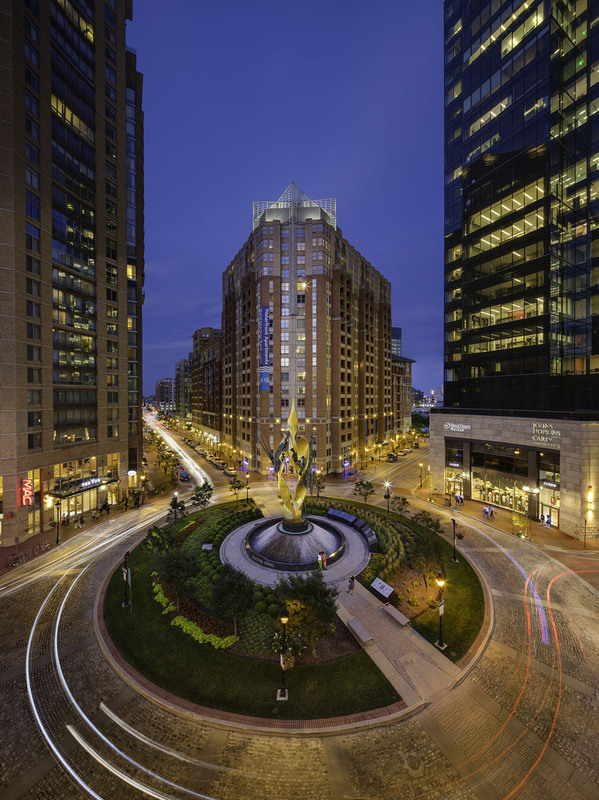 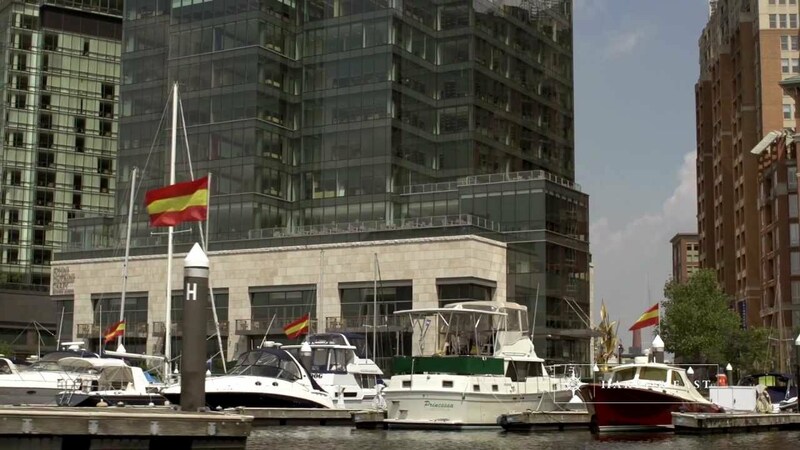 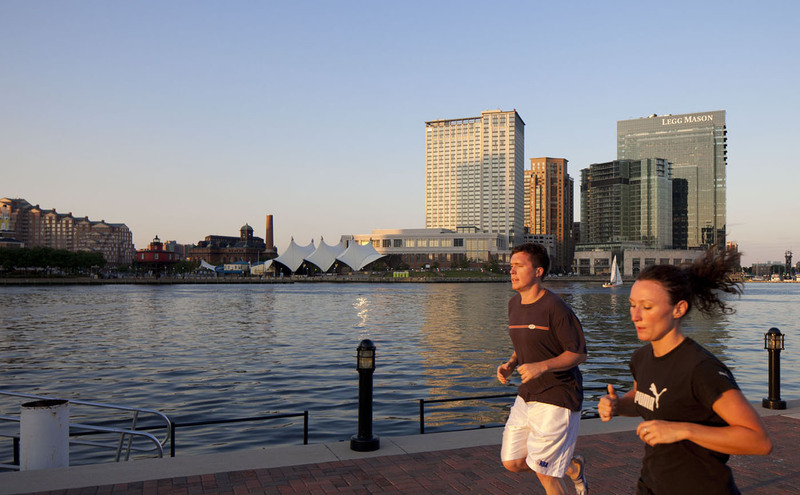 From world-class fitness facilities and community health programs, to water sports and running paths, Harbor East represents the center of wellness in Baltimore. 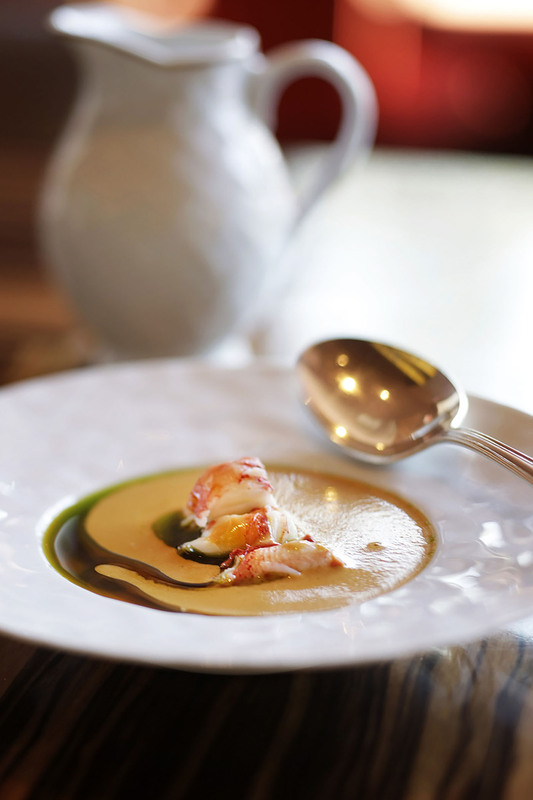 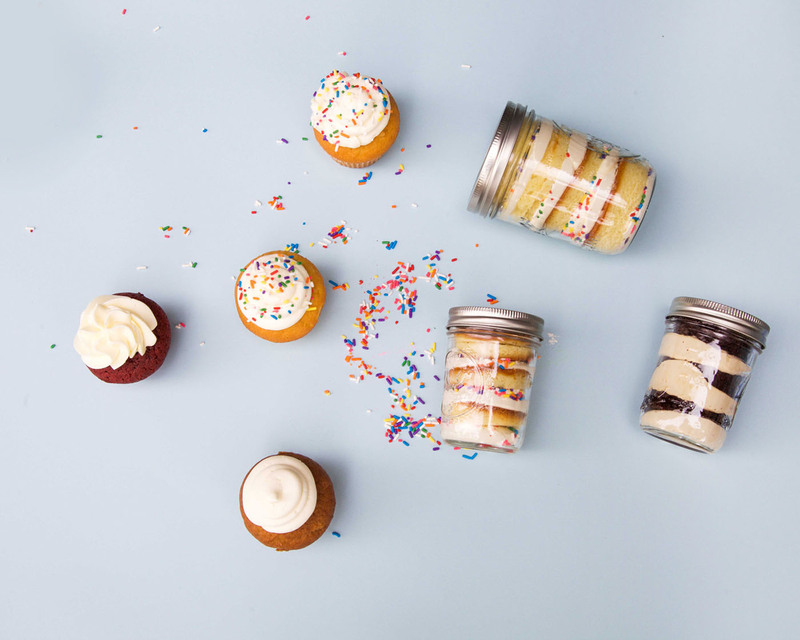 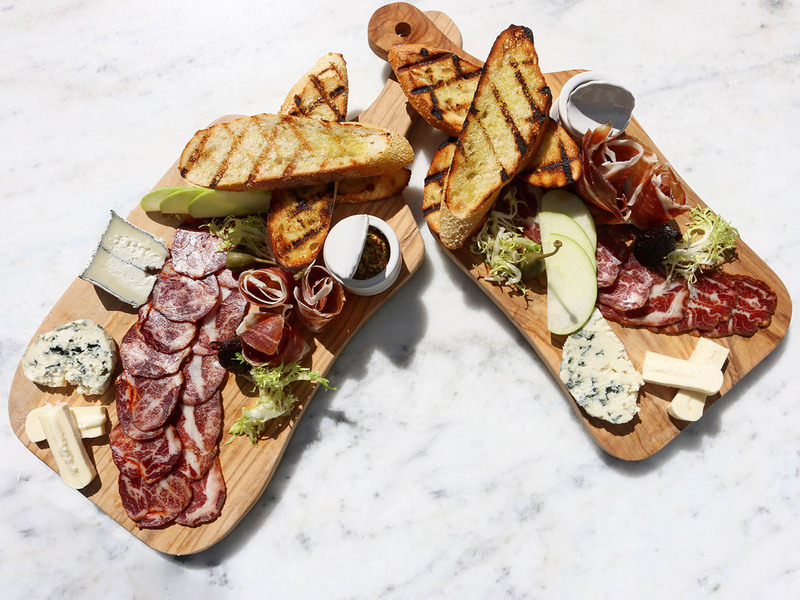 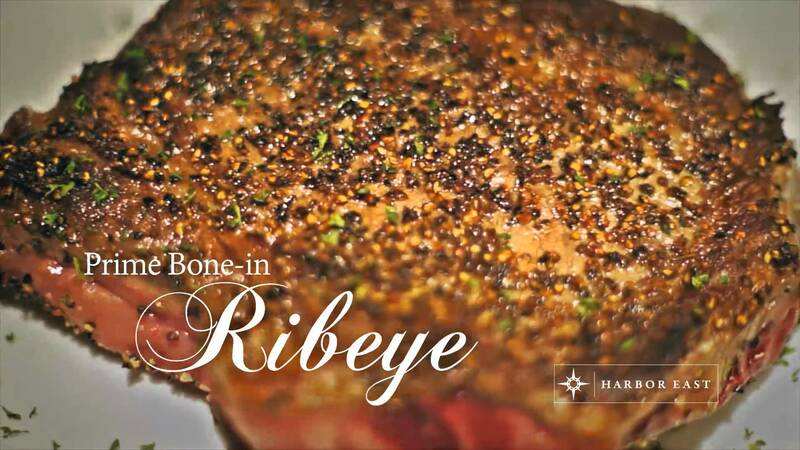 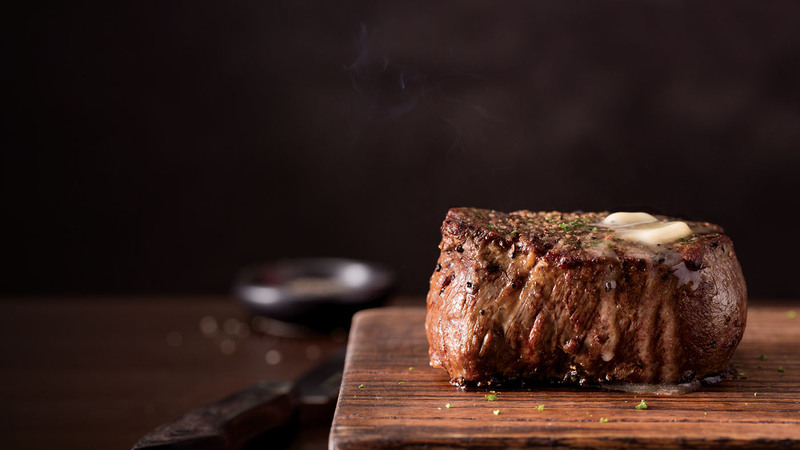 Feast your eyes on some of Harbor East’s most mouthwatering offerings. 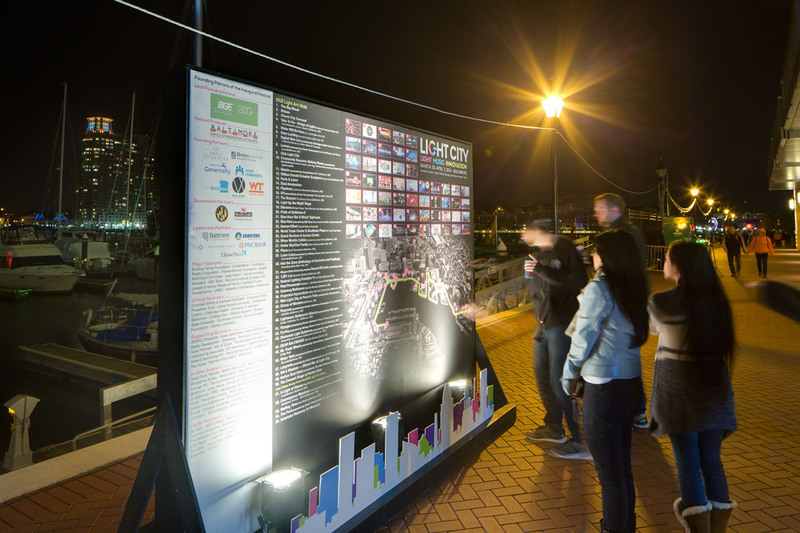 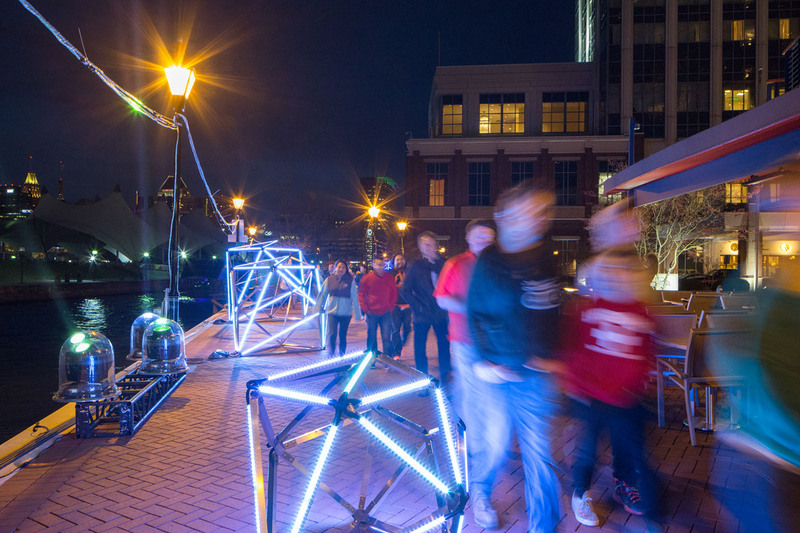 Festival goers gaze at an illuminated Inner Harbor during the inaugural Light City Baltimore, A Festival of Light, Music & Innovation. 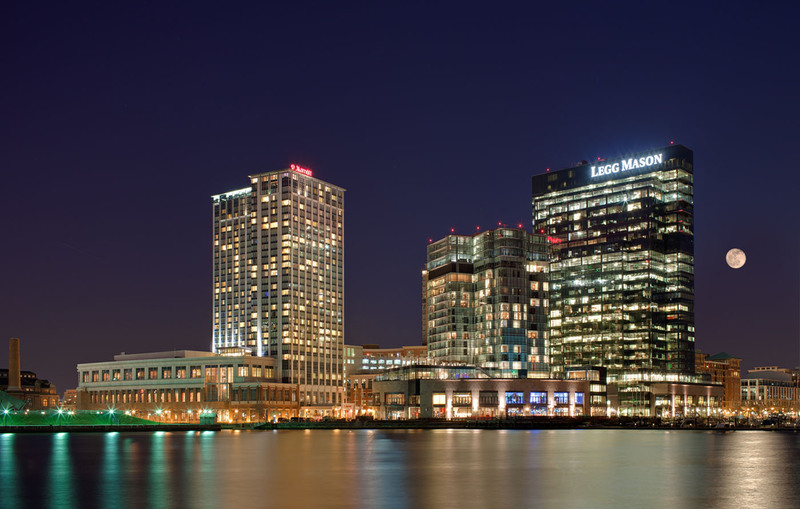 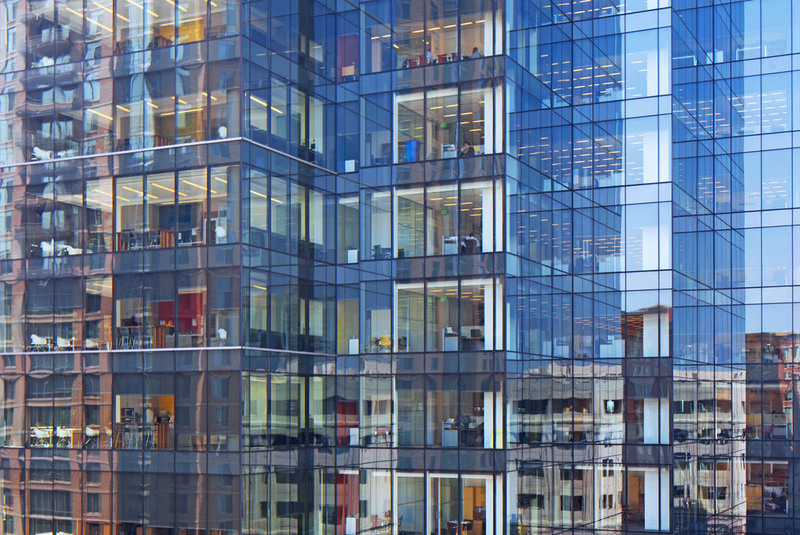 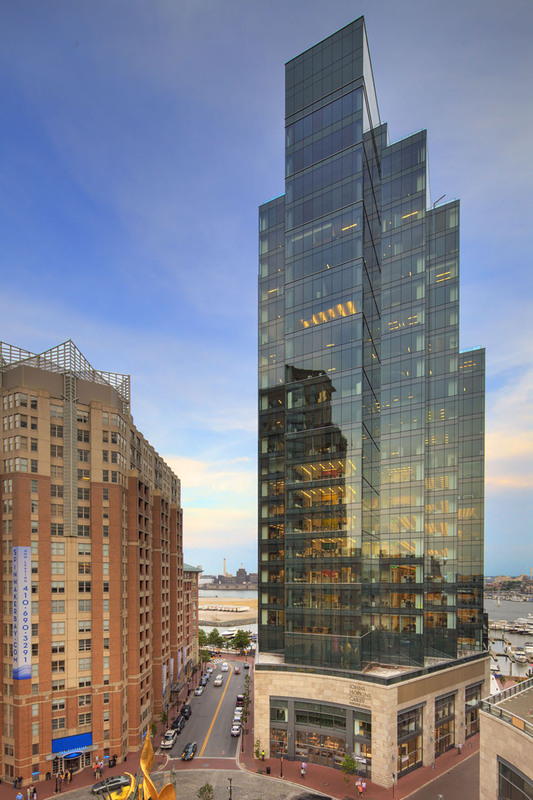 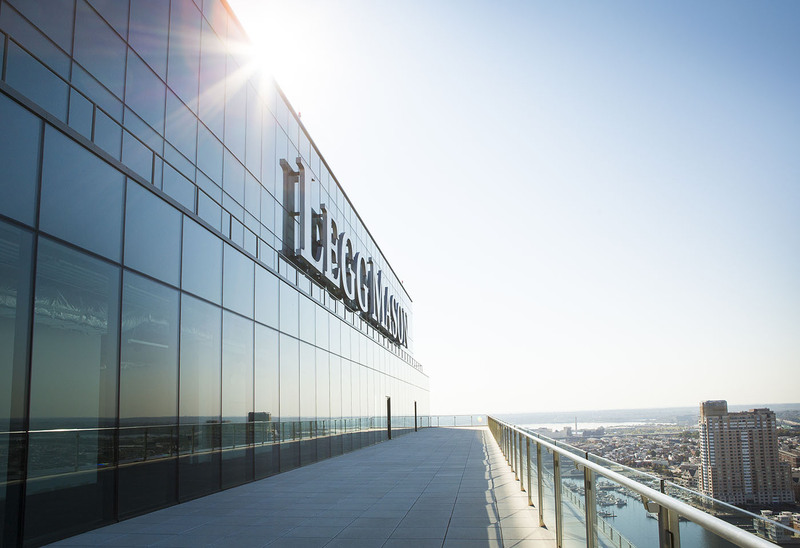 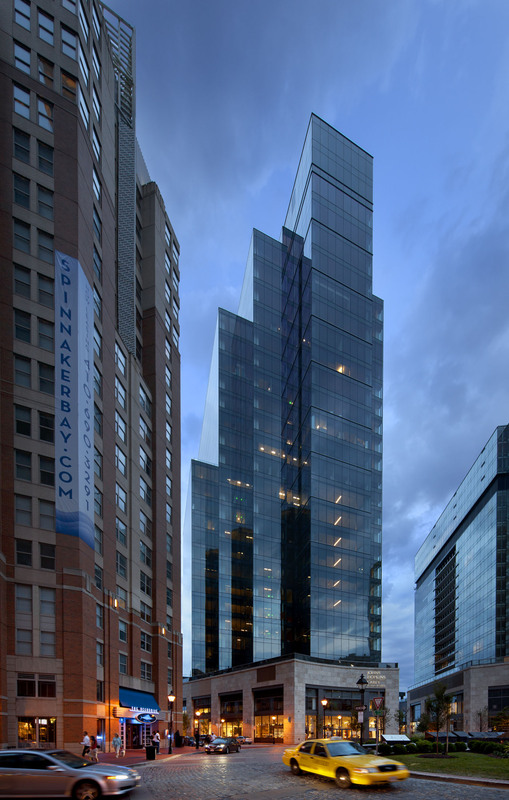 The Legg Mason Tower is a stunning glass and steel structure, home to Legg Mason’s headquarters, OneMain Financial and Johns Hopkins Carey Business School, among other class-A office tenants. 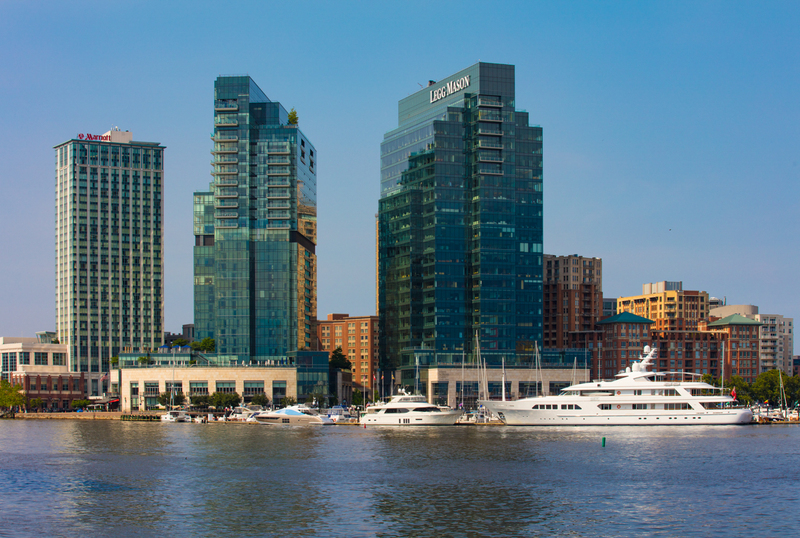 The towering glass structures of the Four Seasons Hotel & Residences and the Legg Mason Tower, as seen from the Harbor East Marina. 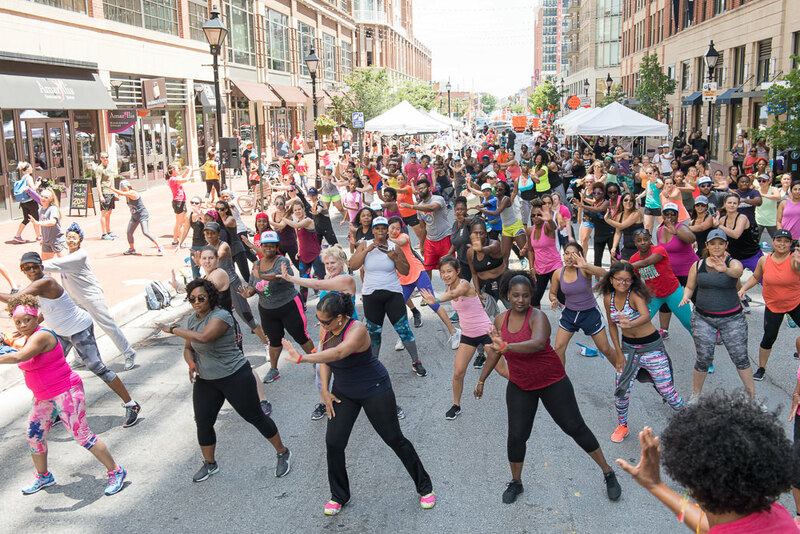 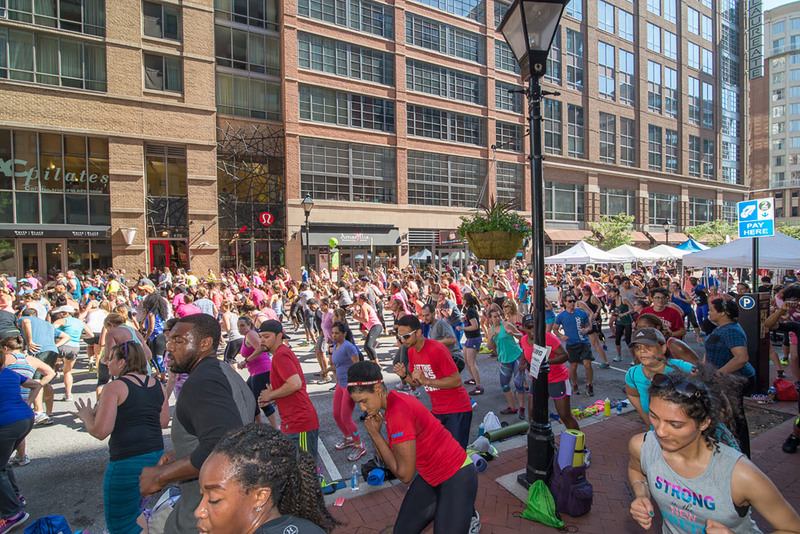 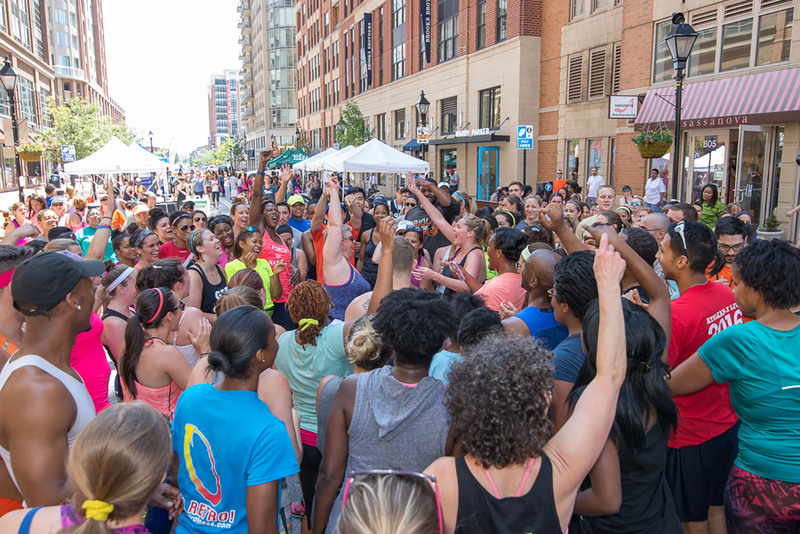 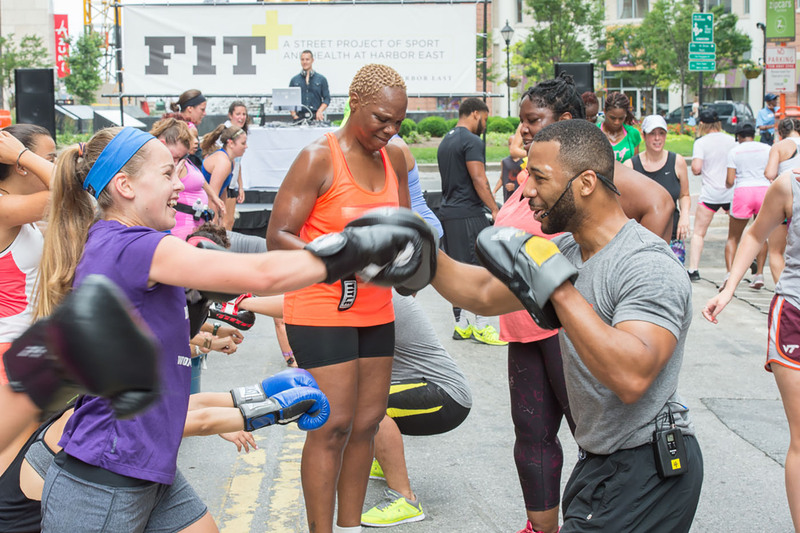 Working it out with trainers from the Maryland Athletic Club during FIT+ Festival. 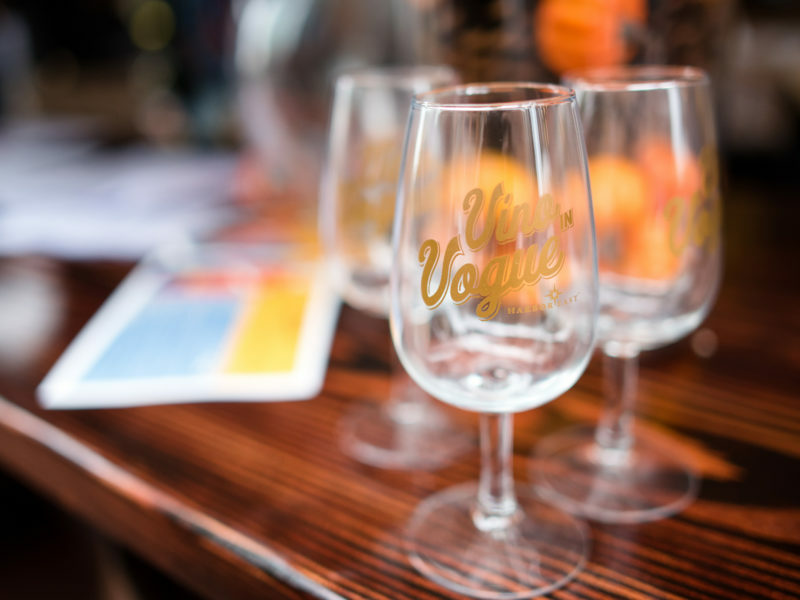 Enjoying a ladies’ day out at Vino in Vogue. 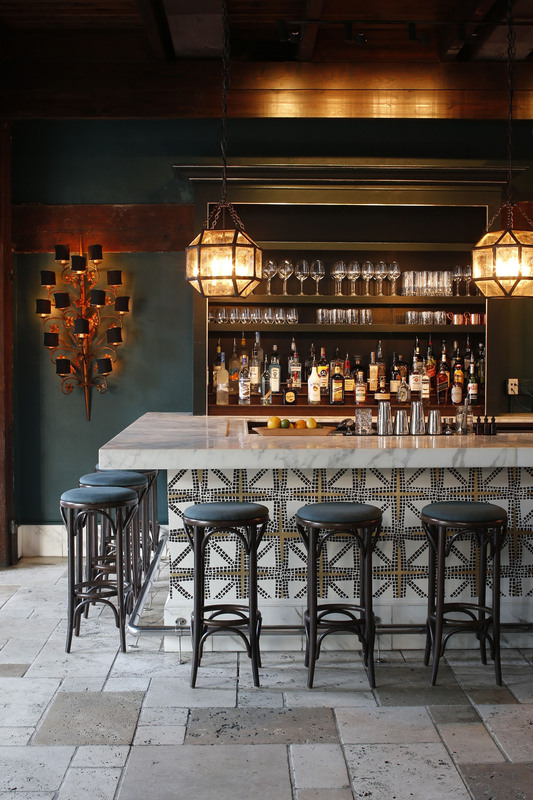 Bar Vasquez’s exquisitely designed bar. 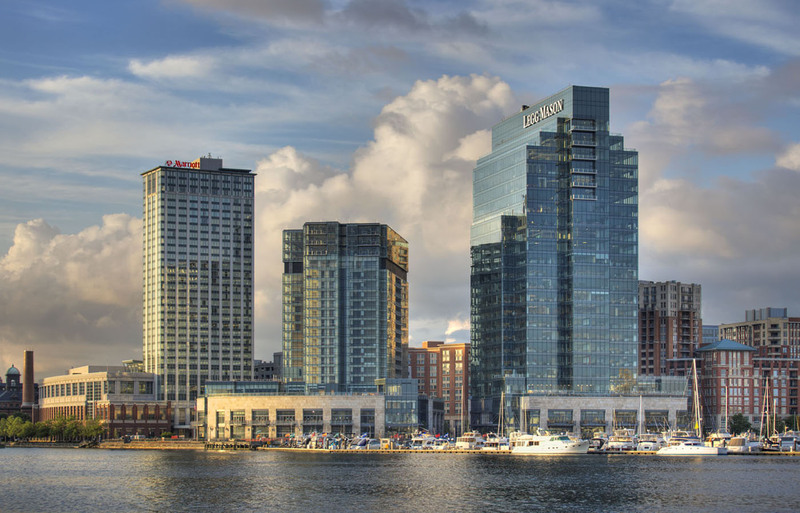 Visiting Baltimore? 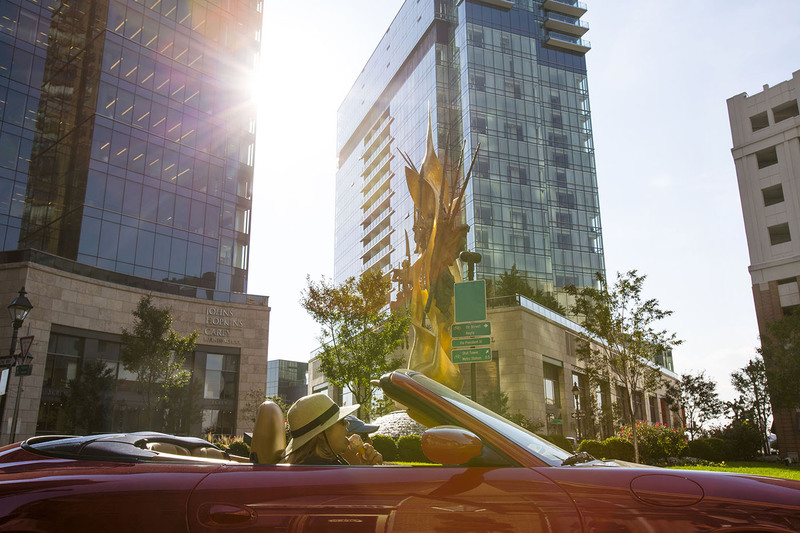 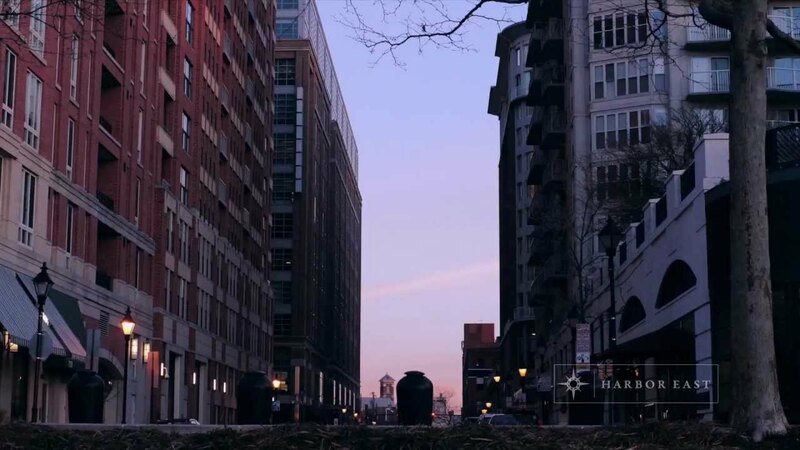 Harbor East puts you in the center of it all, offering luxury accommodations and the city’s best dining and shopping options just steps away. 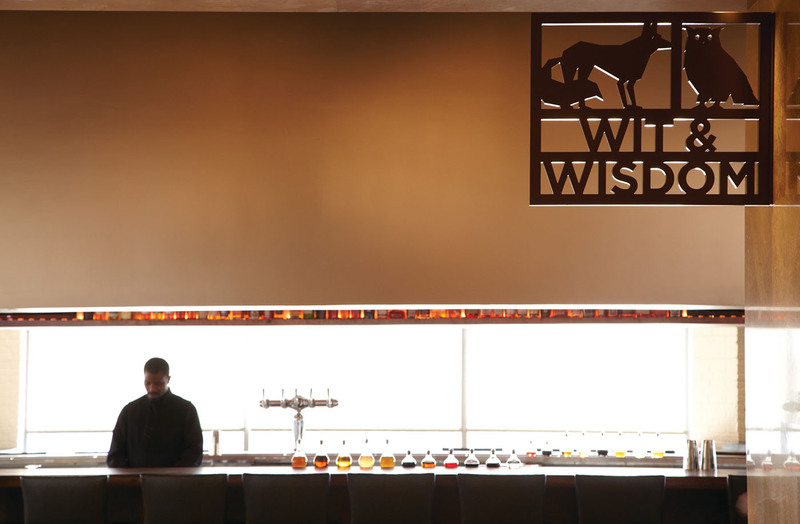 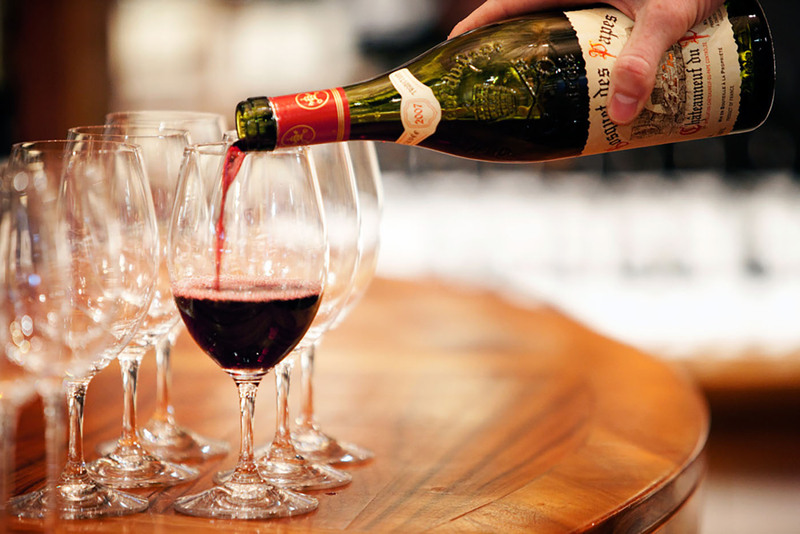 BIN 604 Wine Sellers also offers wine tastings and classes (in addition to wines by the glass). 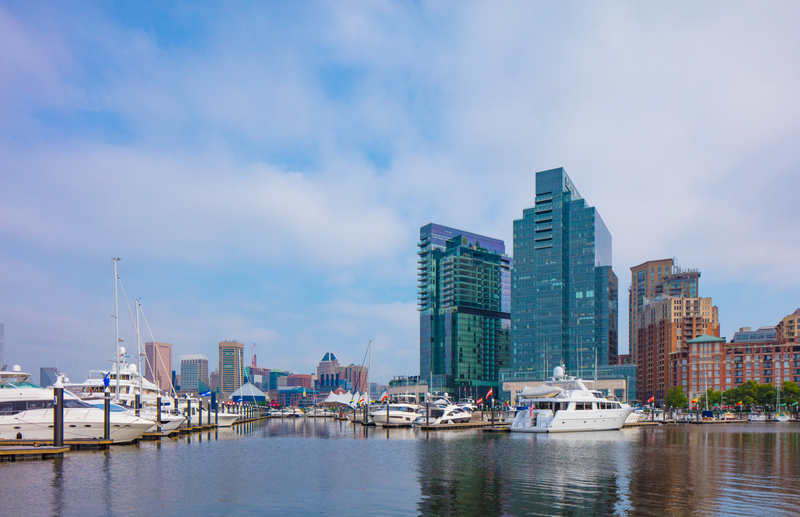 A picture-perfect day for a jog on the Harbor Promenade. 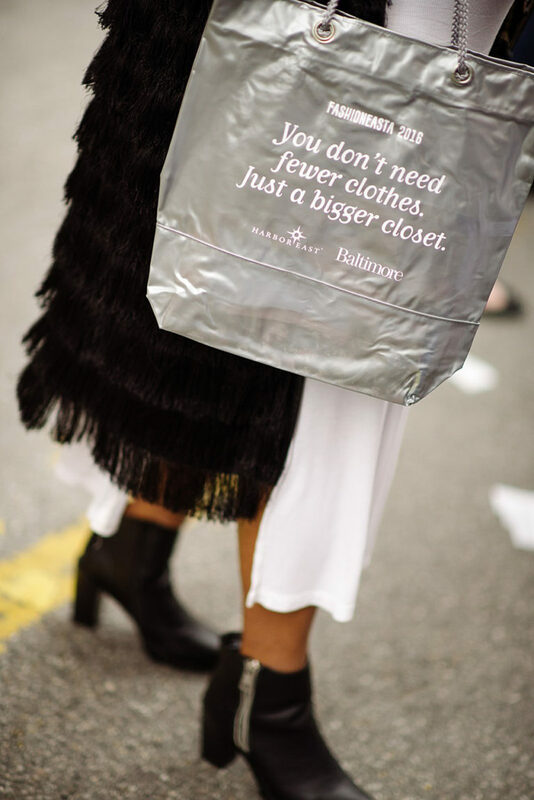 Get Out. 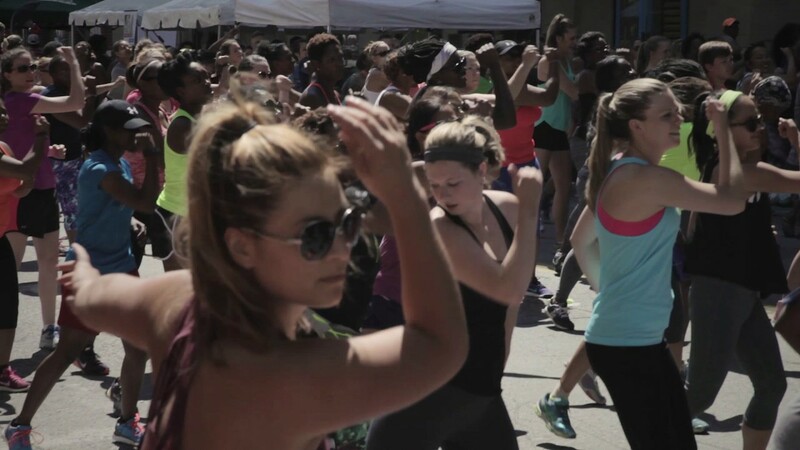 Work Out. 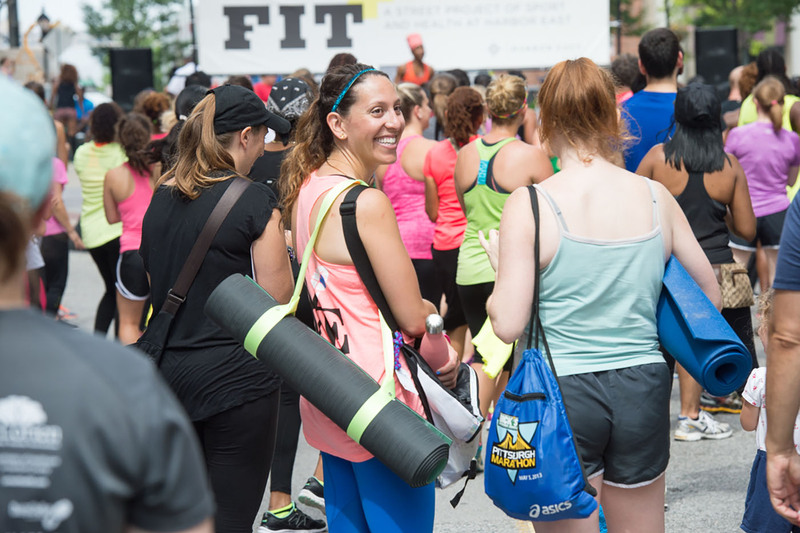 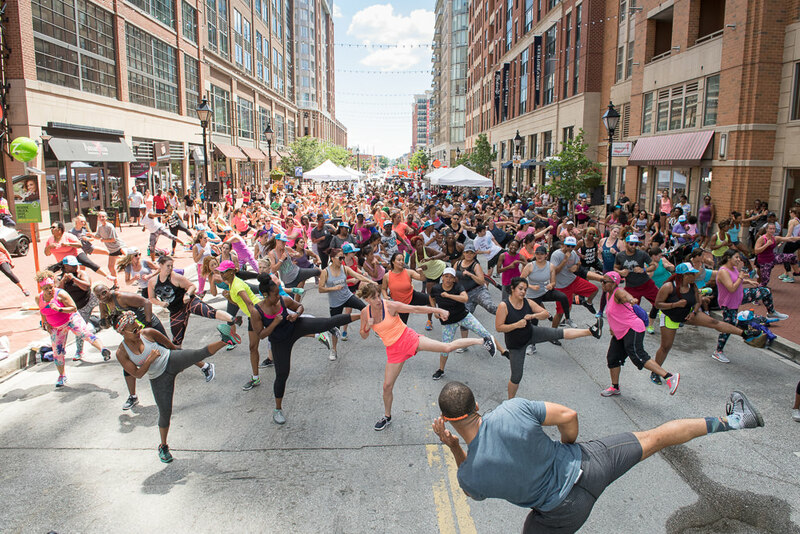 The Annual FIT+ Festival features a morning of fitness, food, music and fun. 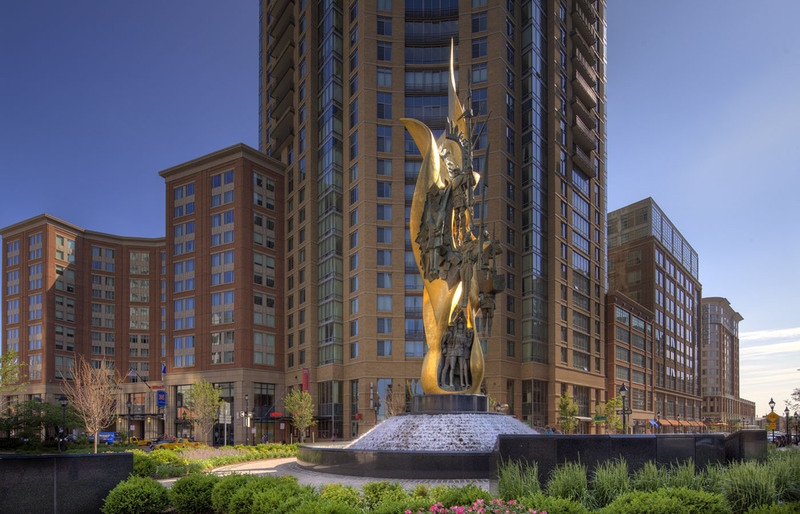 Katyn Memorial provides an iconic image in the heart of Harbor East. 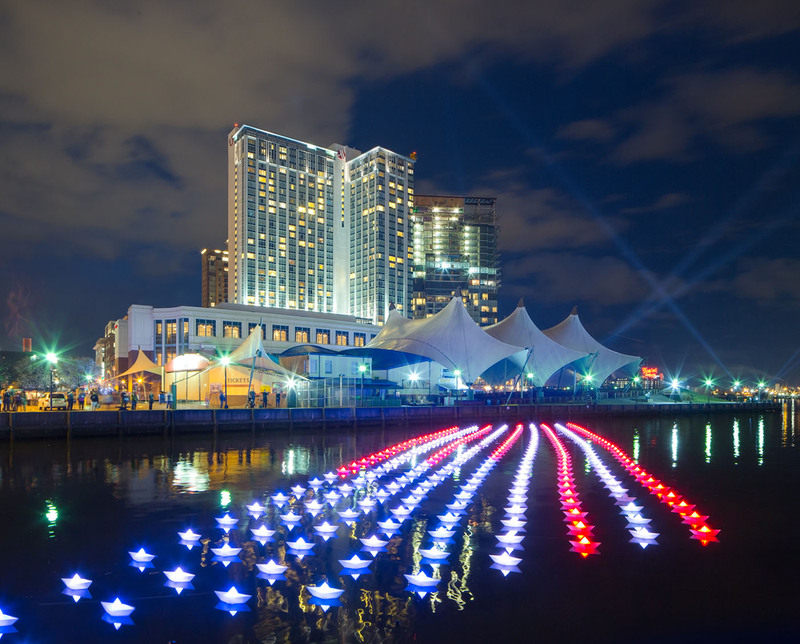 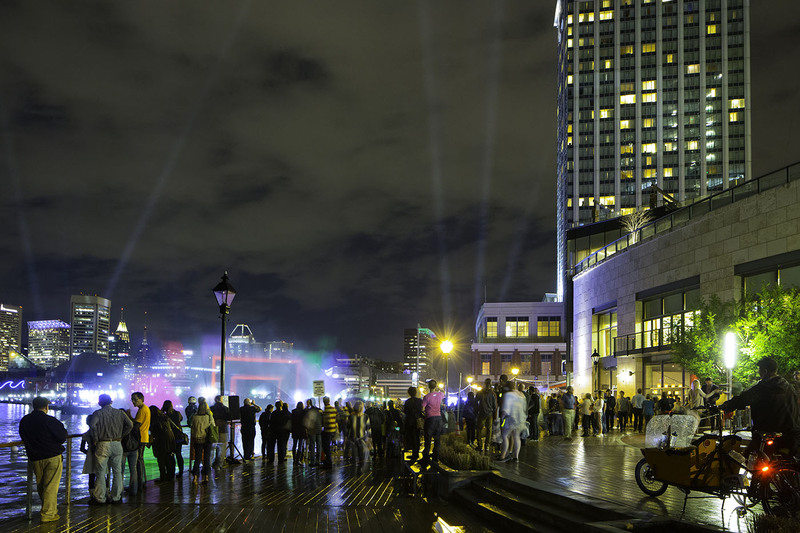 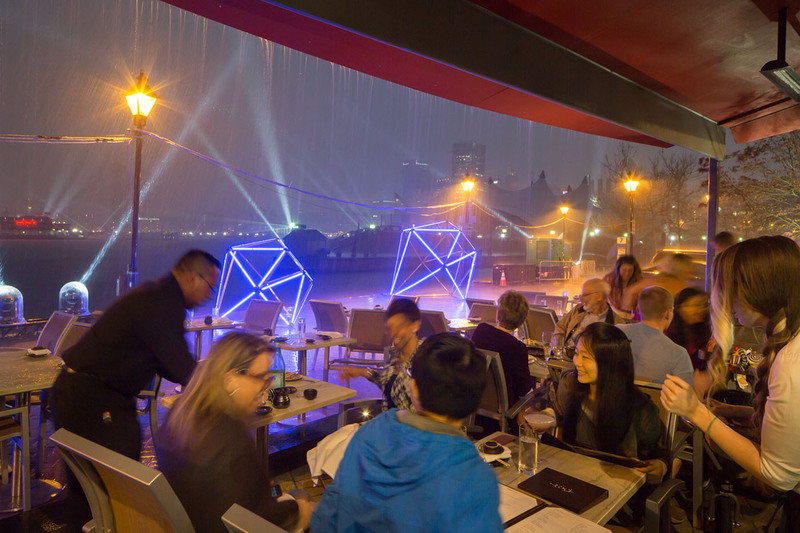 A view of Harbor East from across Pier 5 during Light City 2016. 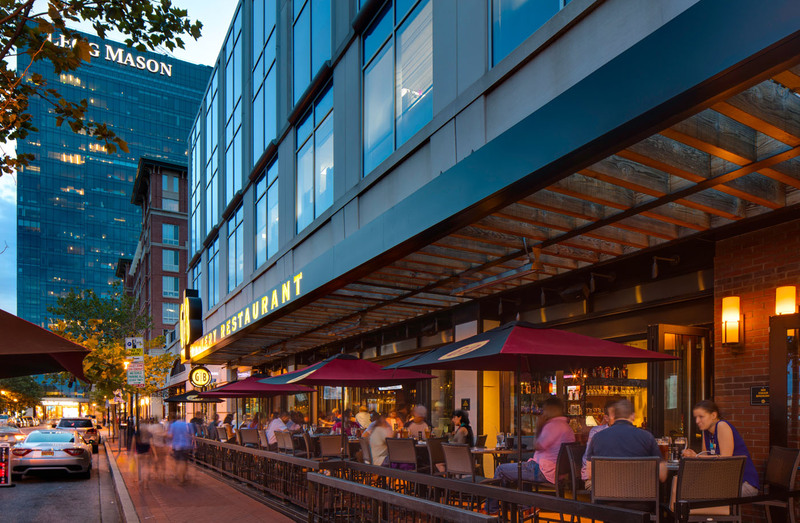 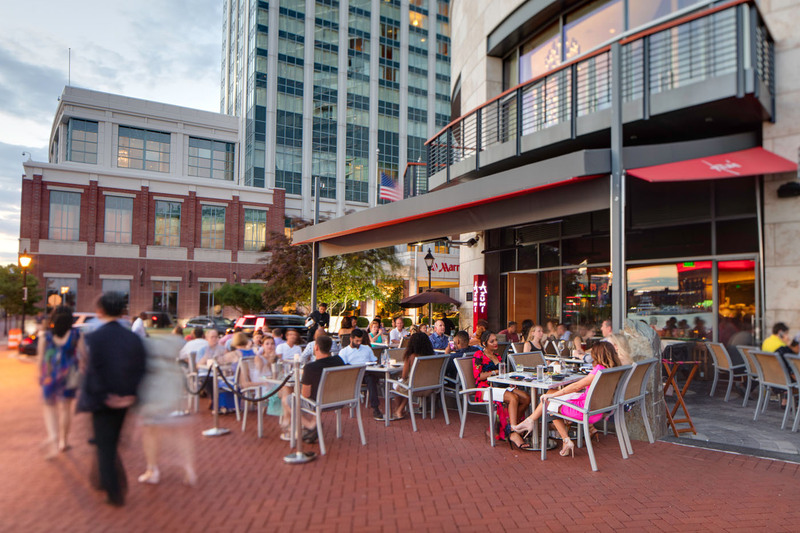 The patio at Gordon Biersch comes alive during warm nights, boasting views of the harbor. 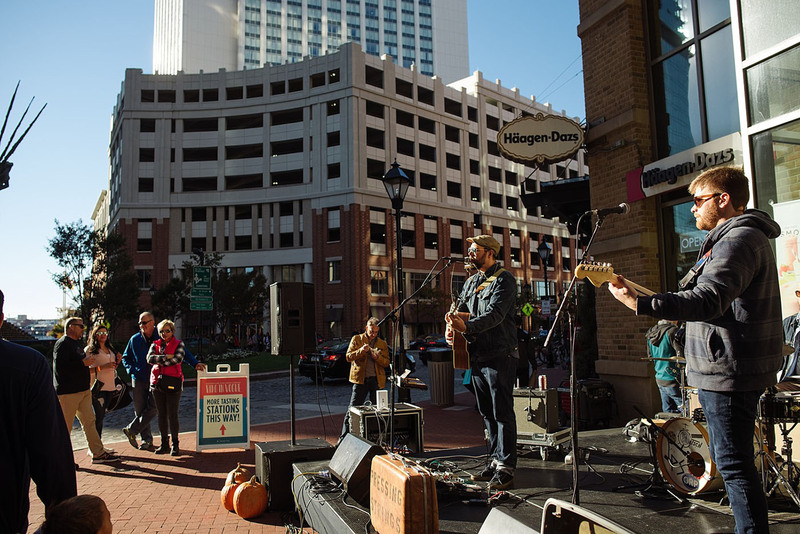 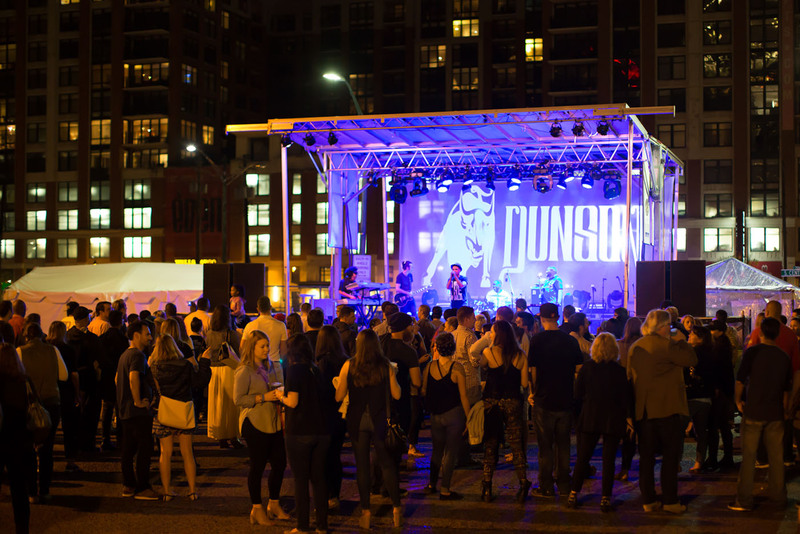 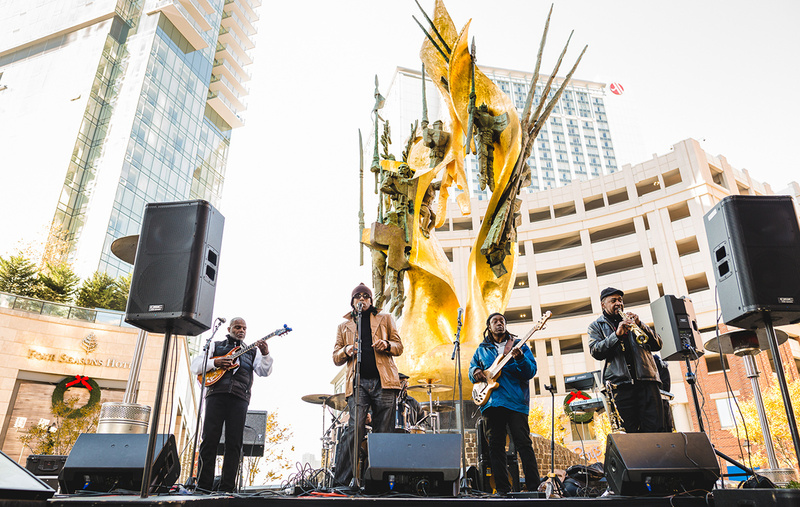 Dunson performs at the Harbor East stage for Light City. 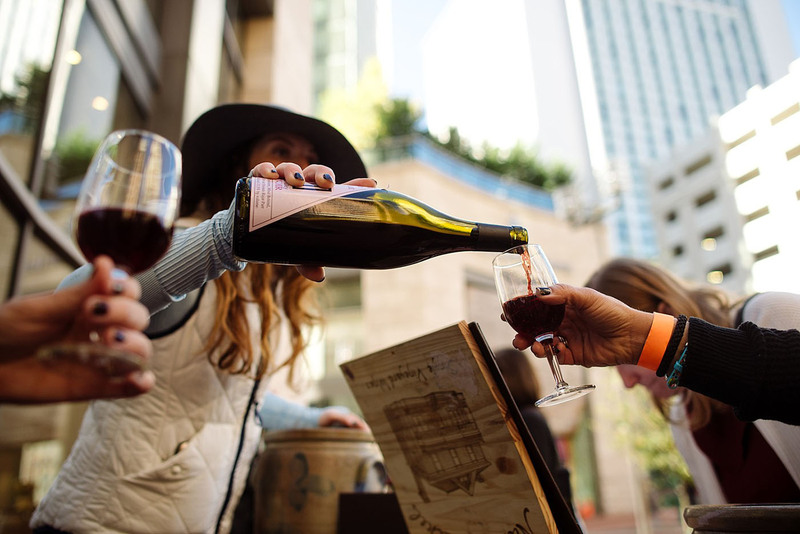 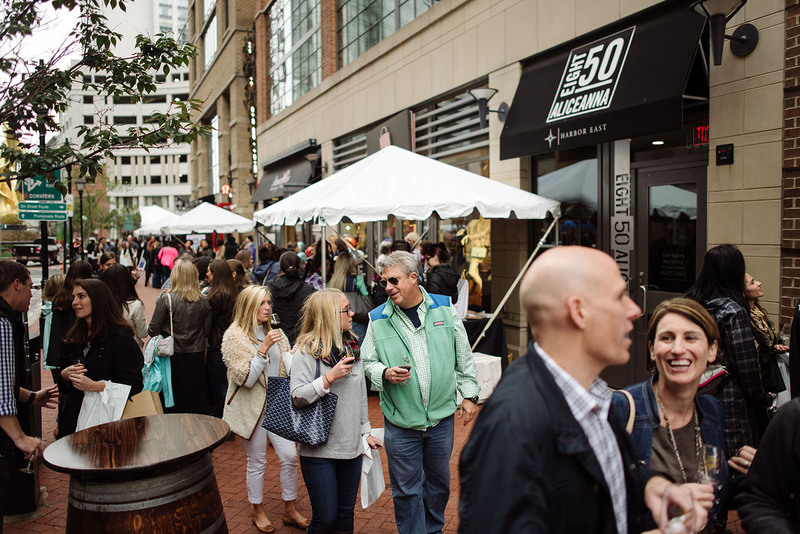 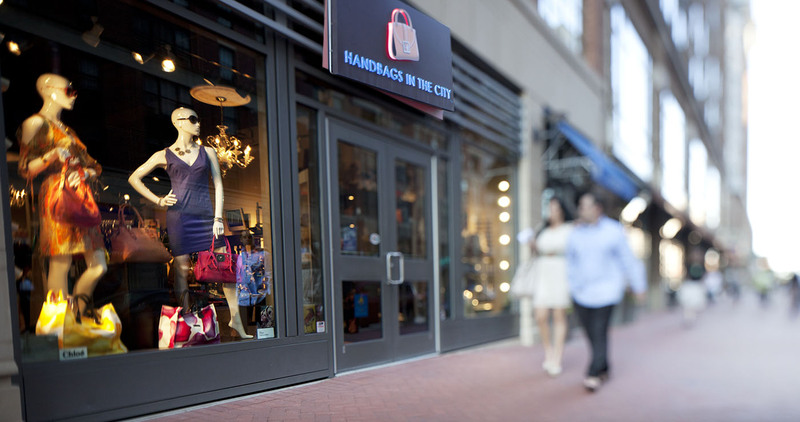 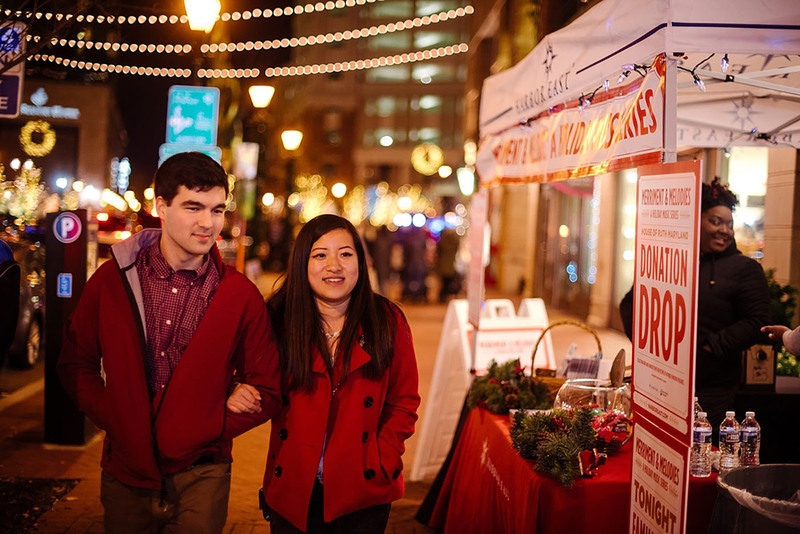 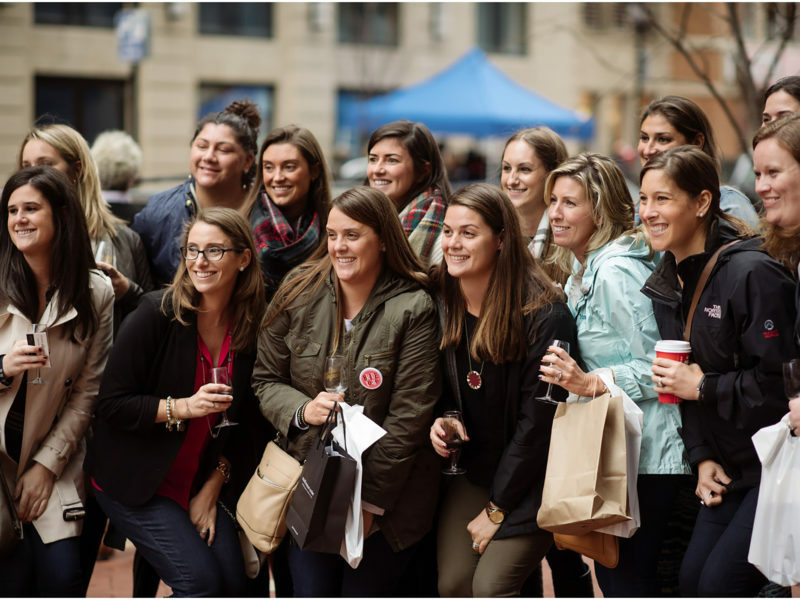 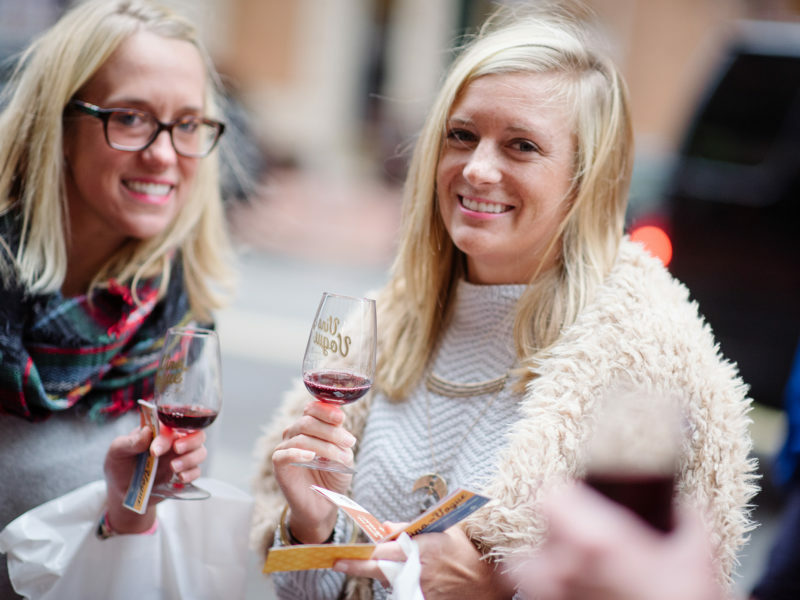 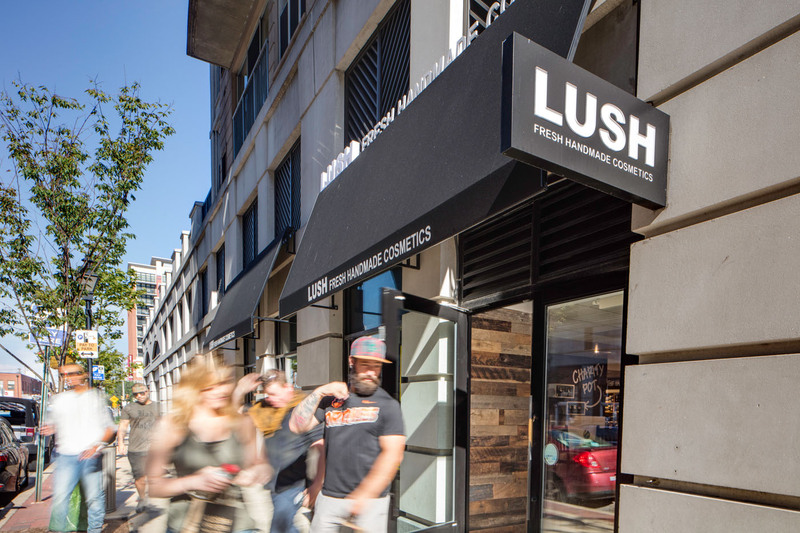 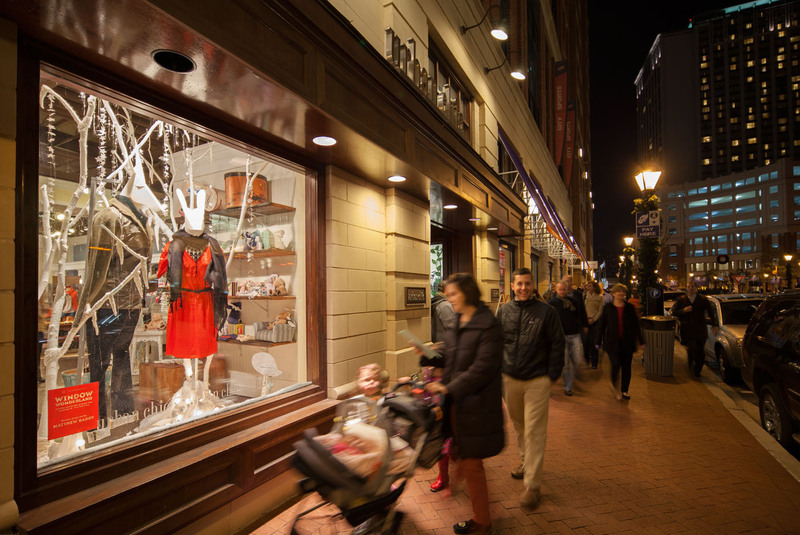 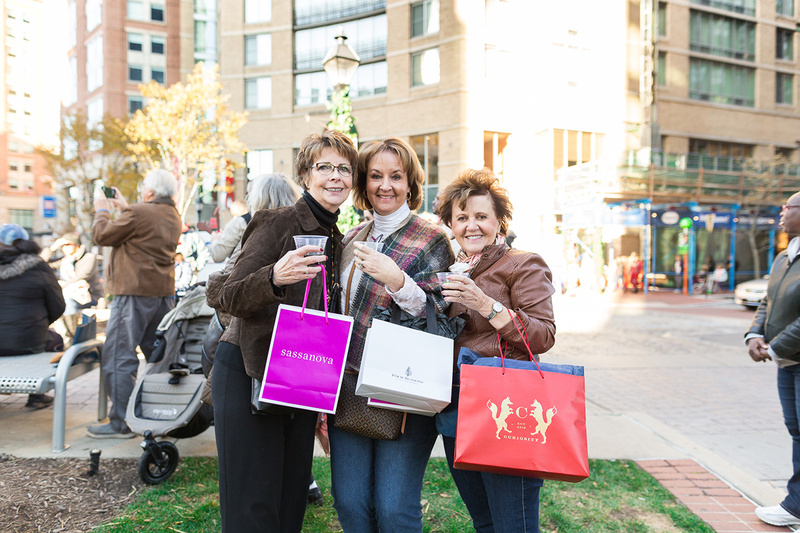 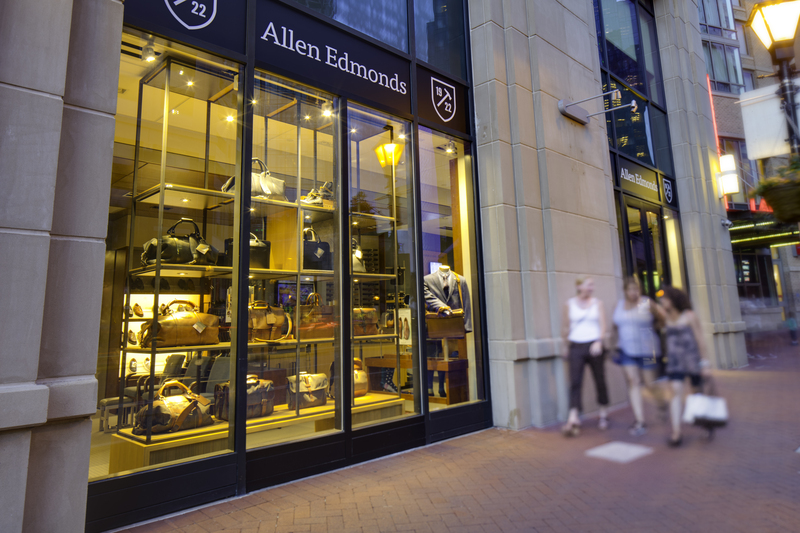 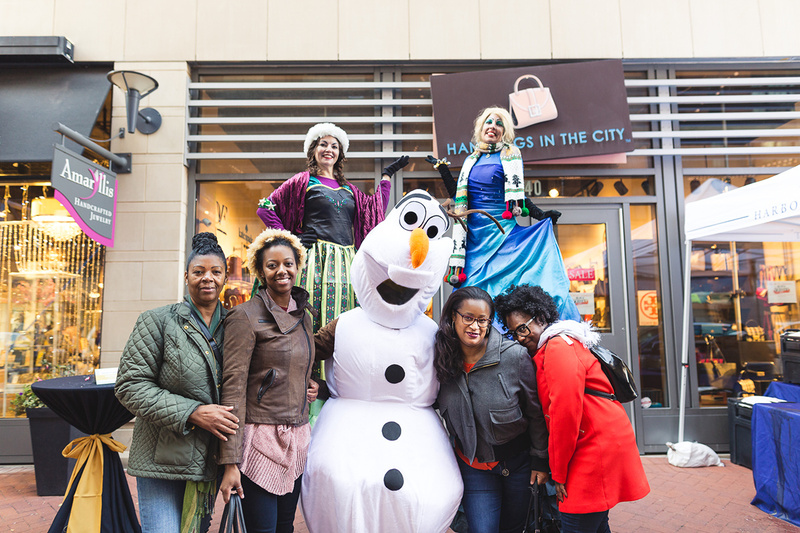 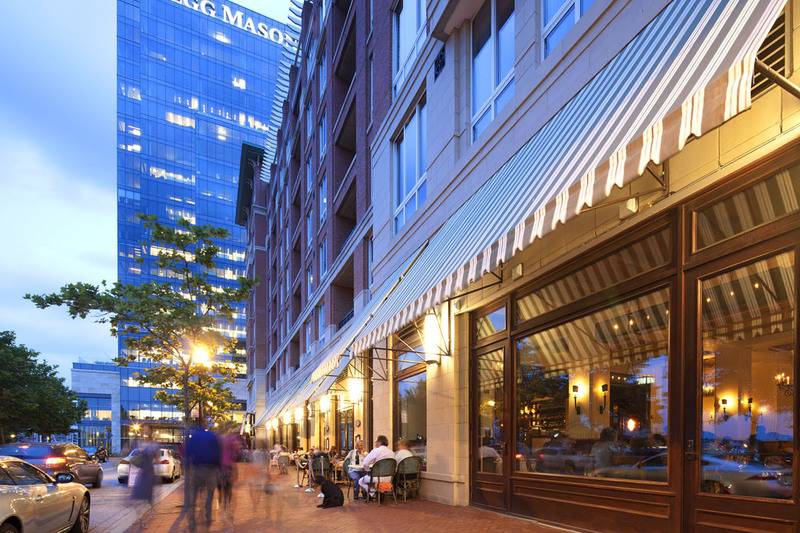 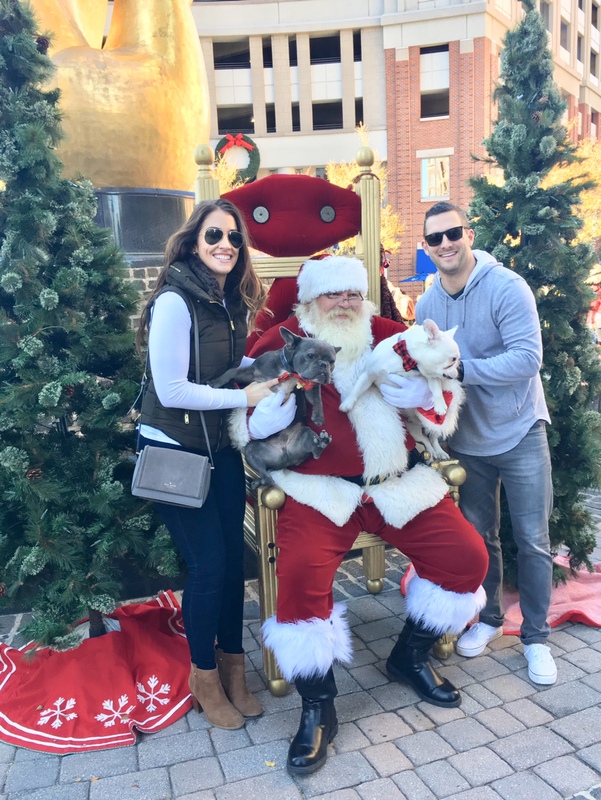 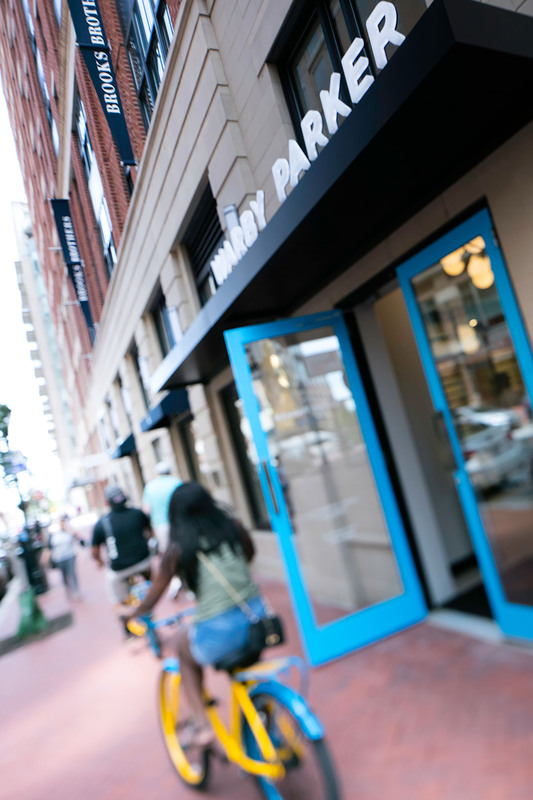 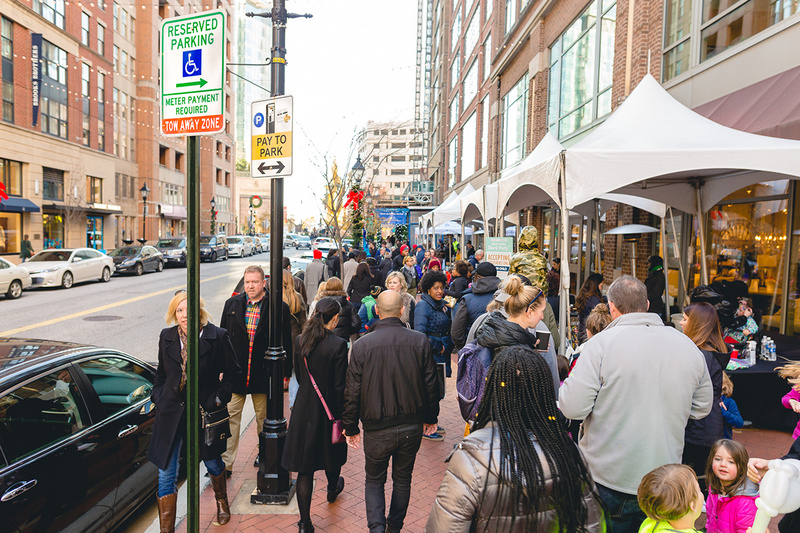 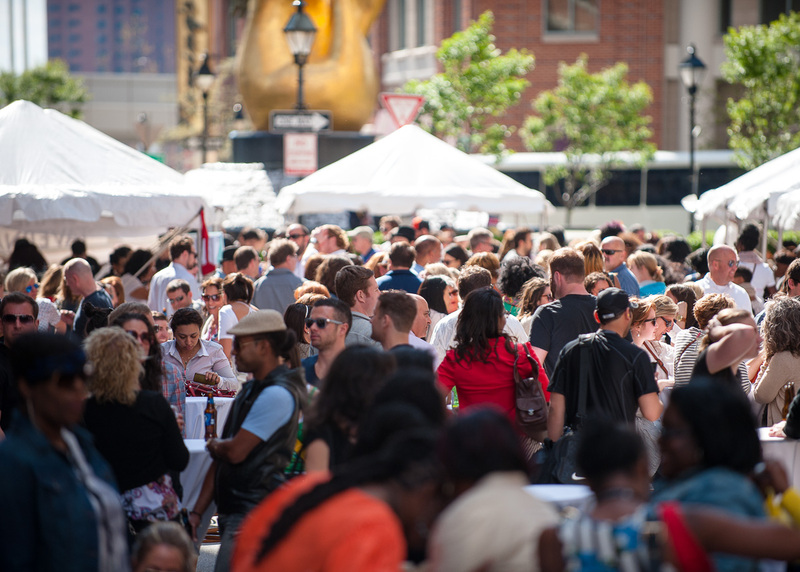 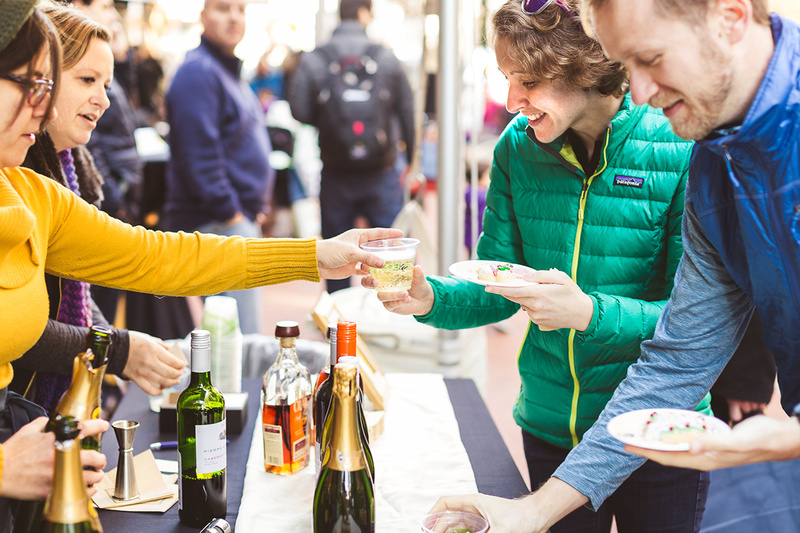 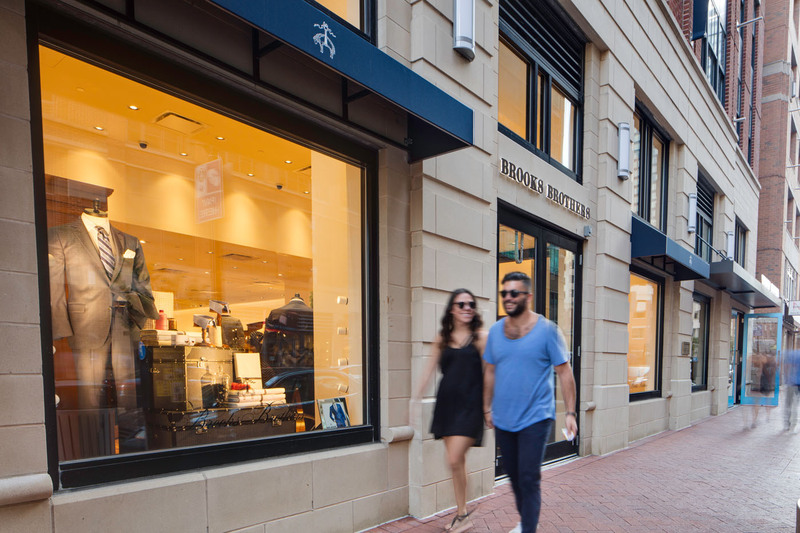 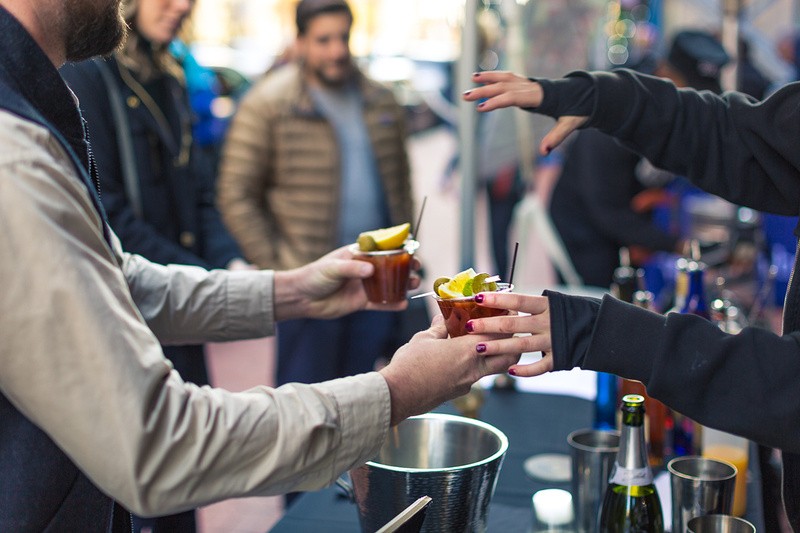 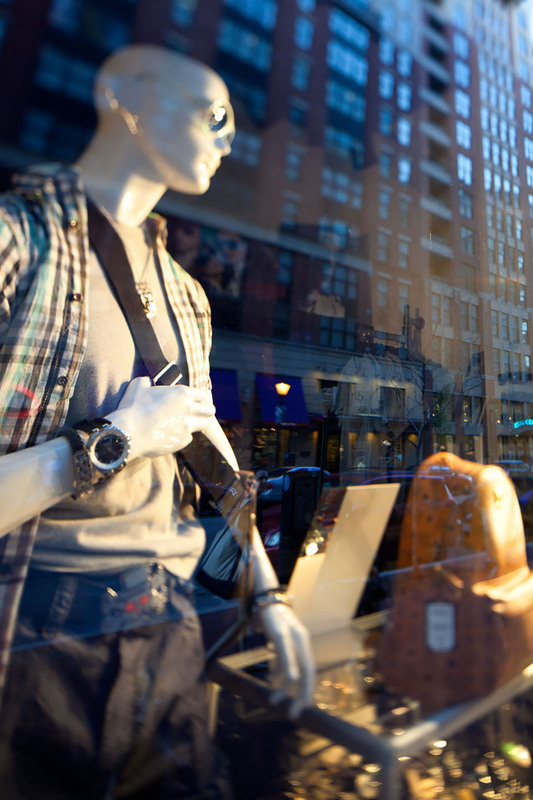 Enjoy a festive fall afternoon of wine tasting and shopping in Harbor East, Baltimore's destination for fashion, food and fun. 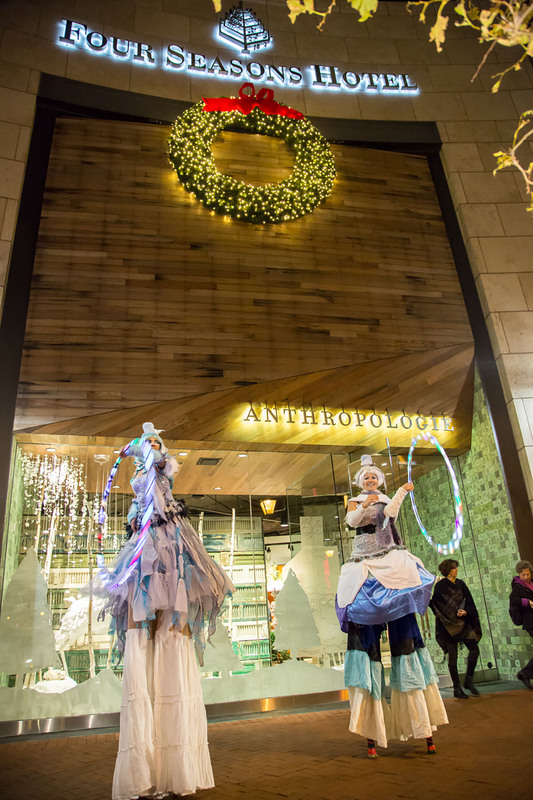 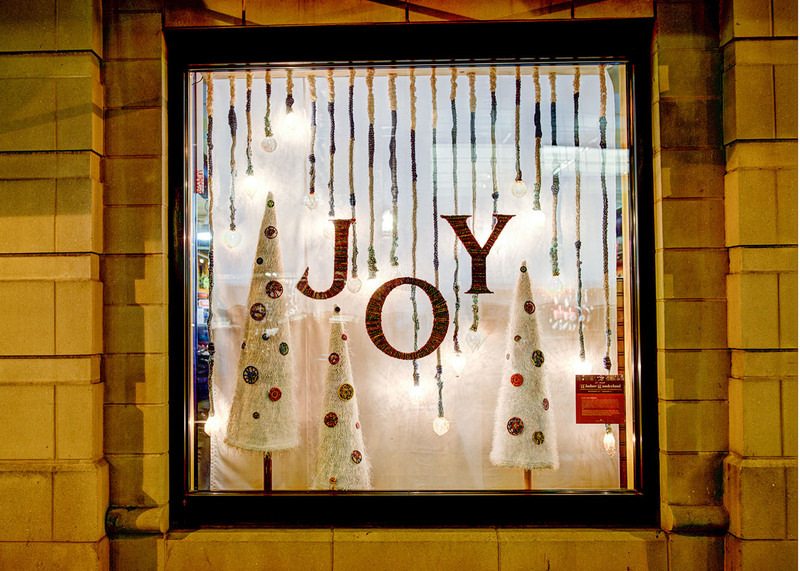 All dressed up for the holidays during the Window Wonderland exhibit. 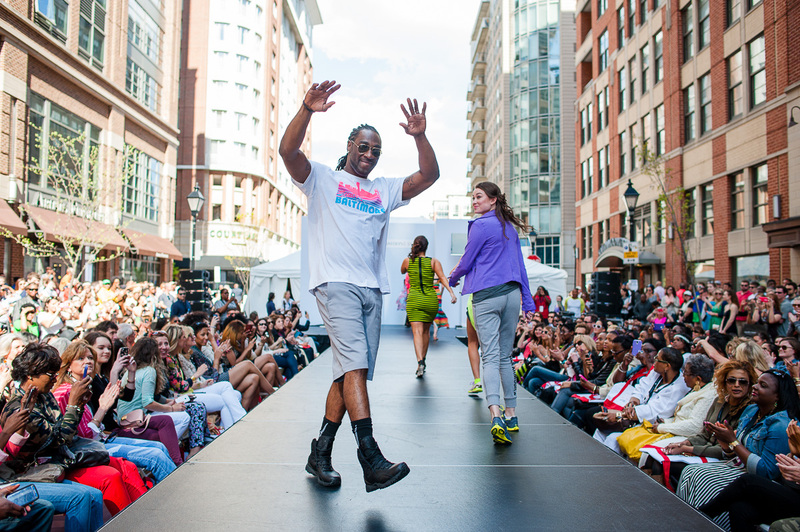 The Ravens’ Lardarius Webb walks for Under Armour Brand House during FashionEASTa: The Fashion Show. 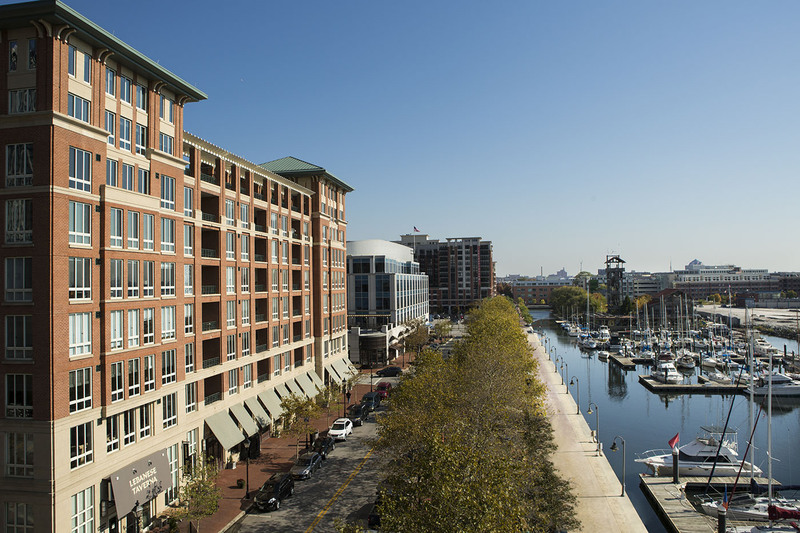 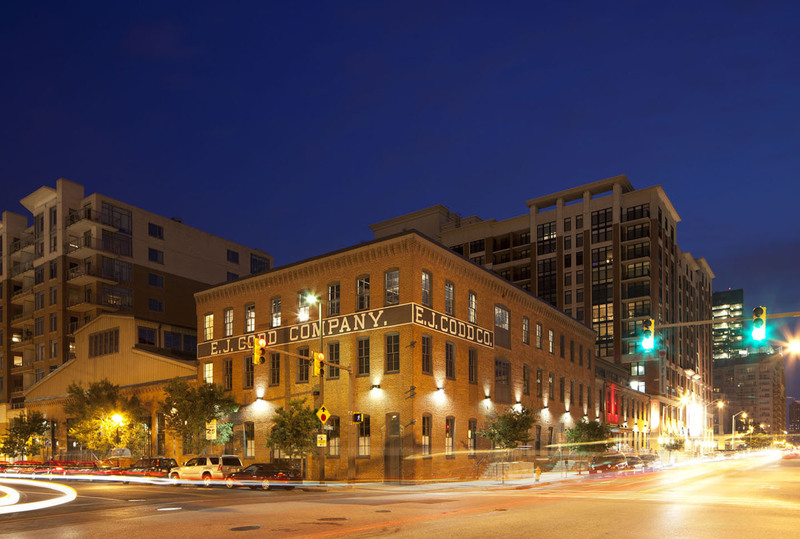 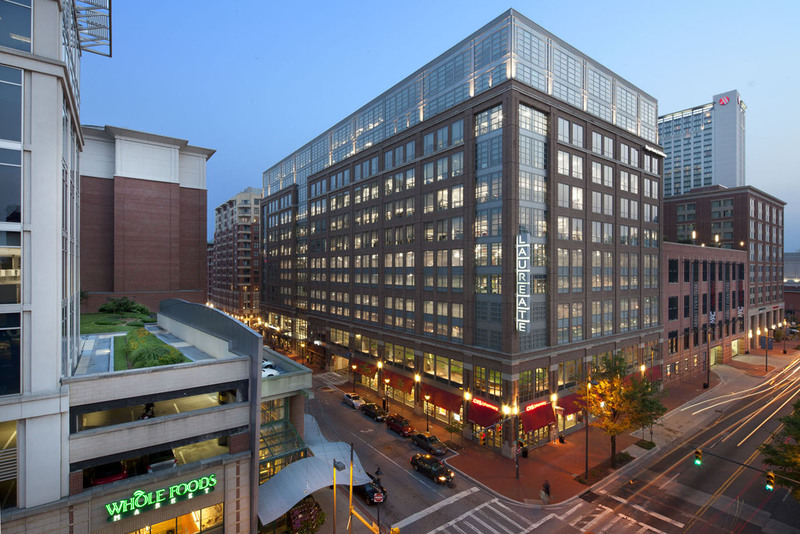 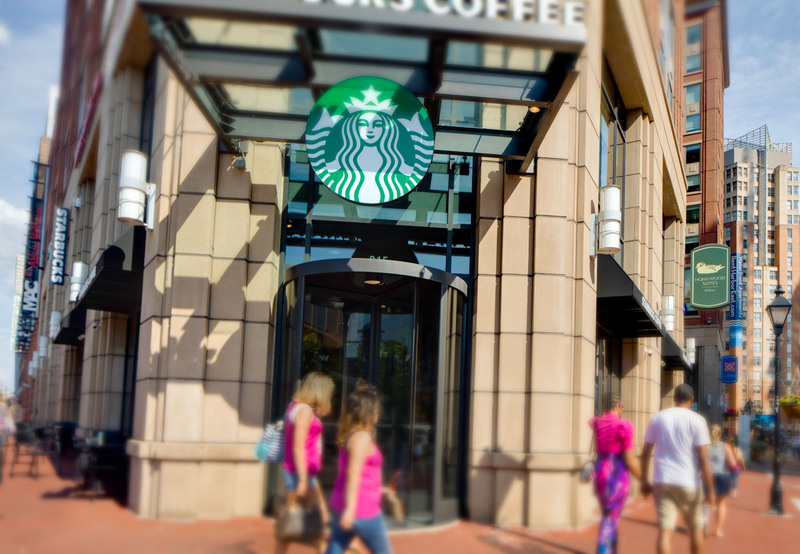 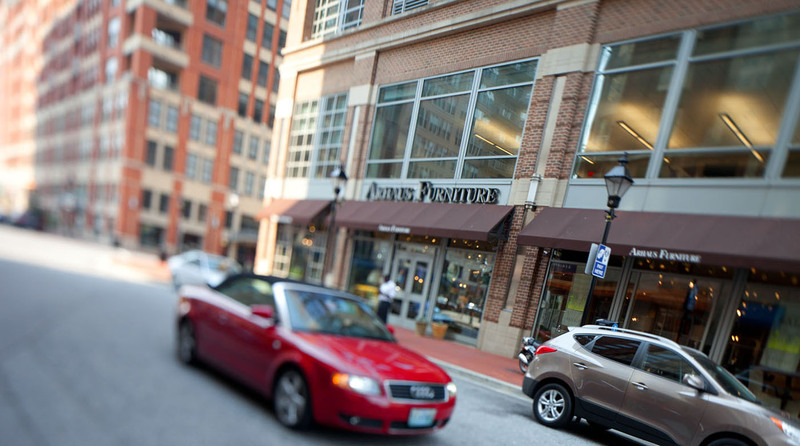 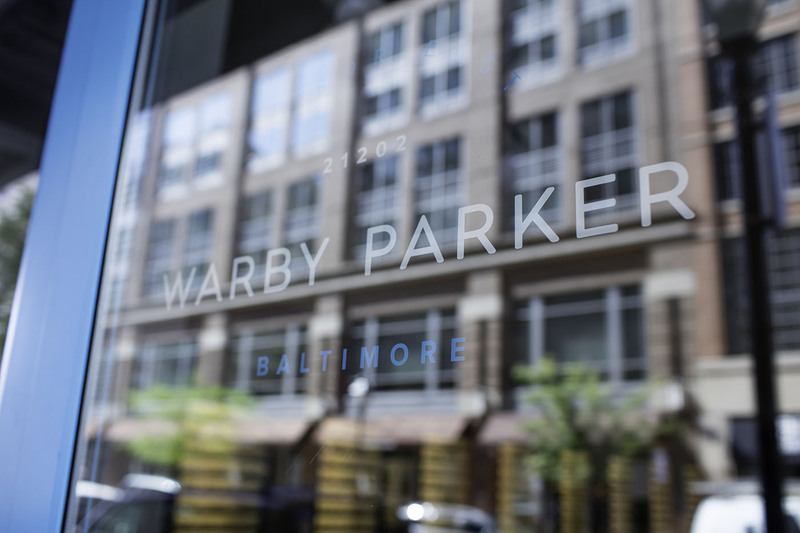 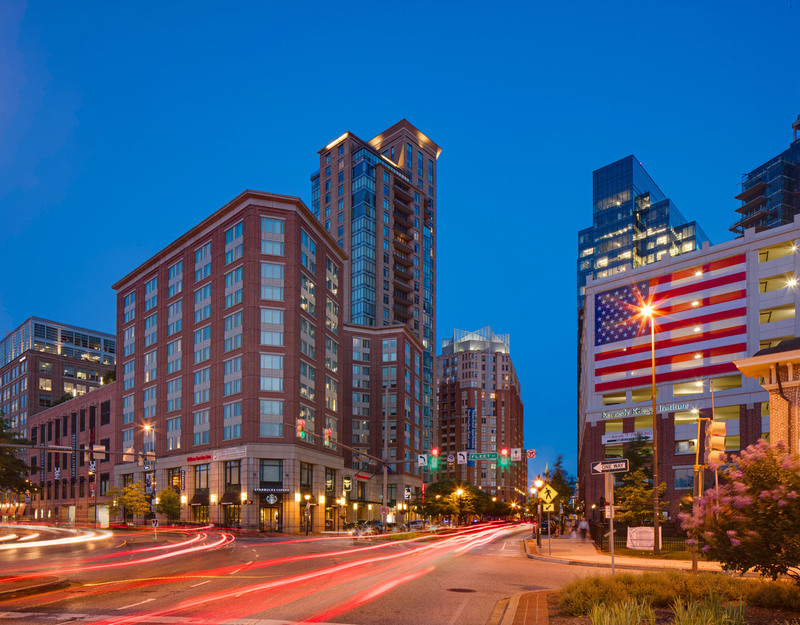 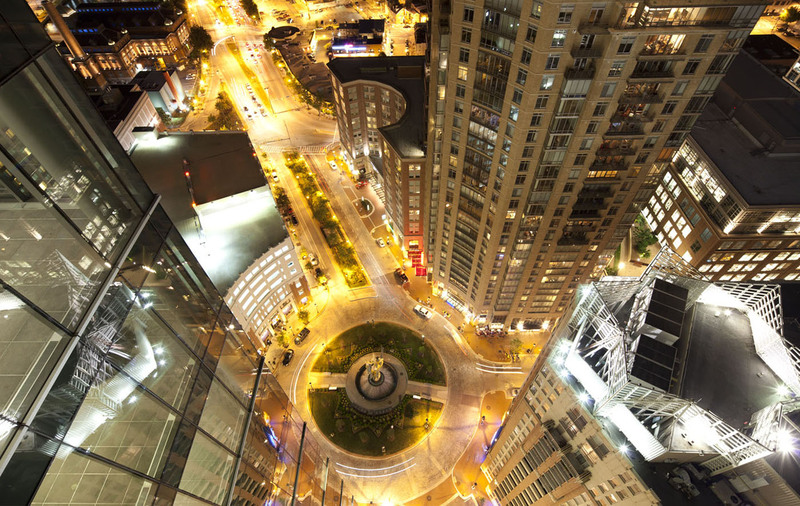 Harbor East represents what’s new and next in Baltimore. 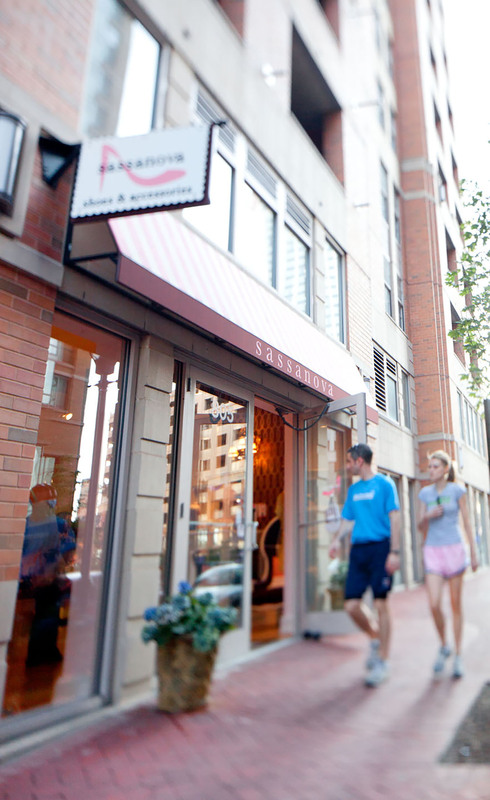 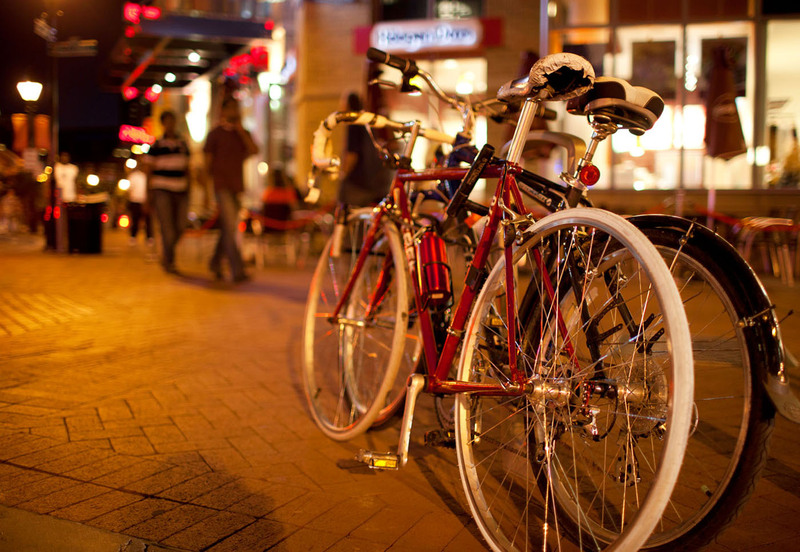 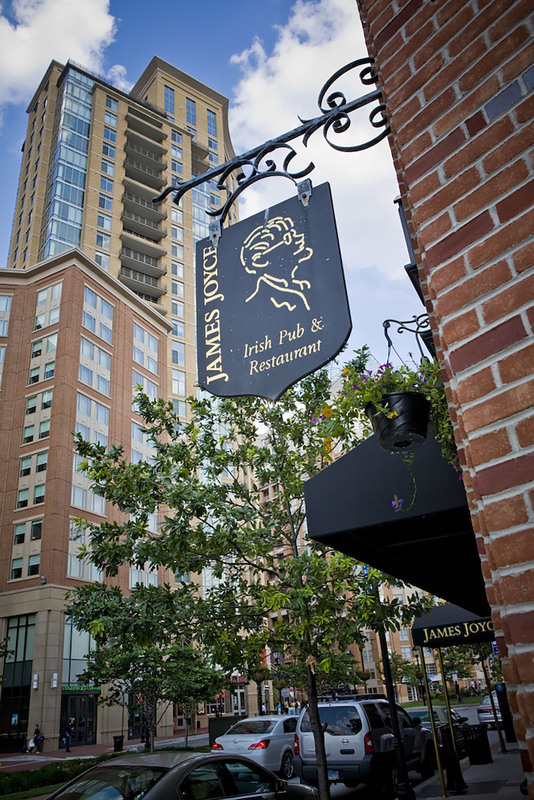 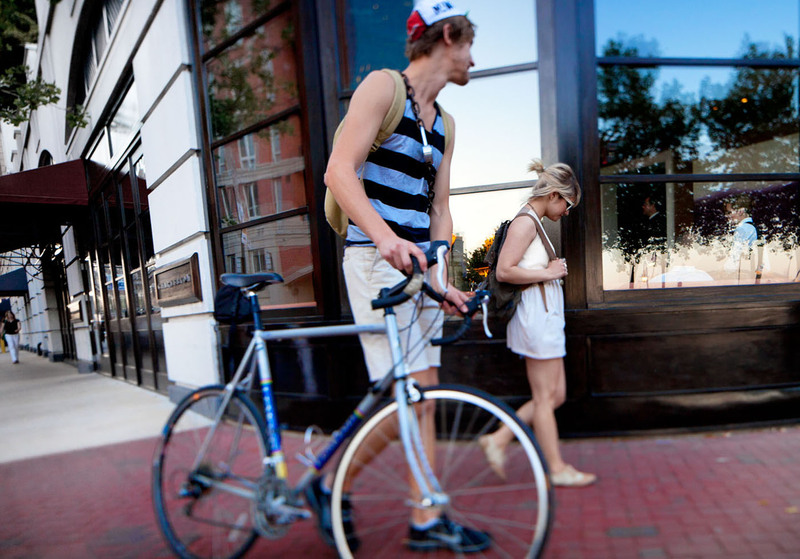 Come explore the neighborhood and see for yourself why so many locals are flocking here to dine, shop, stay and play. 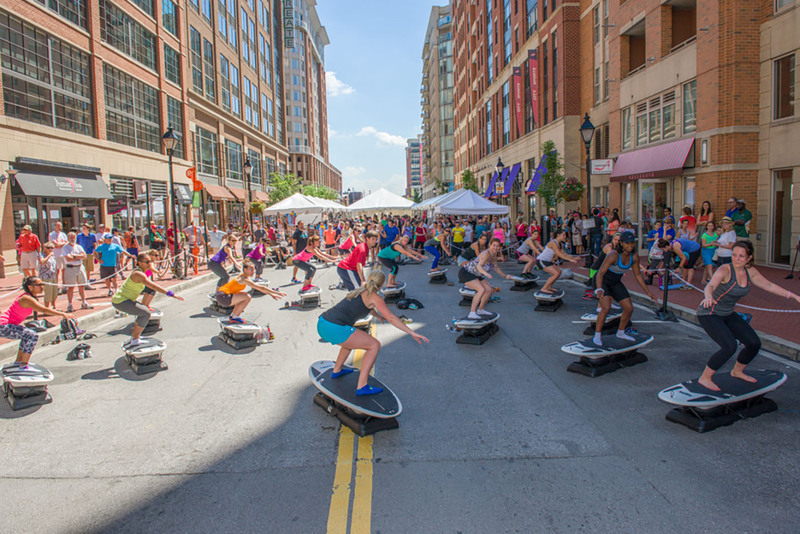 (Aliceanna) Street Surfing during Under Armour’s set at FIT+ Festival. 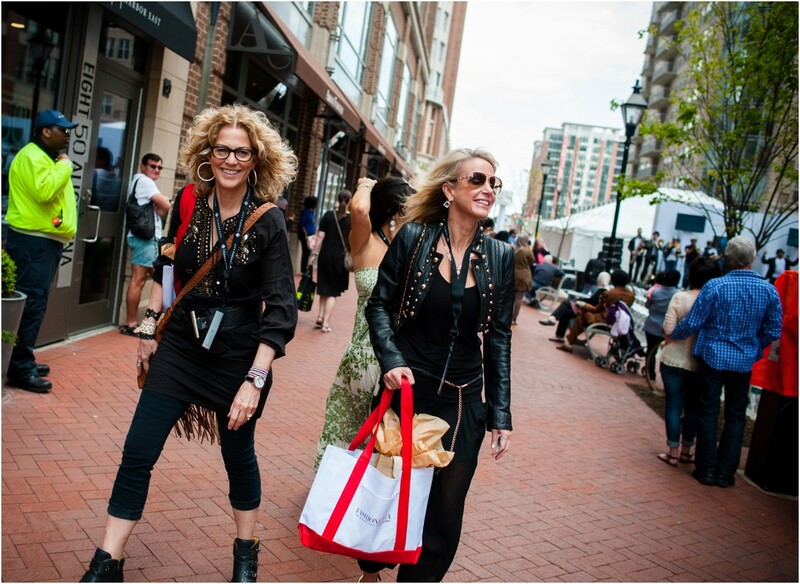 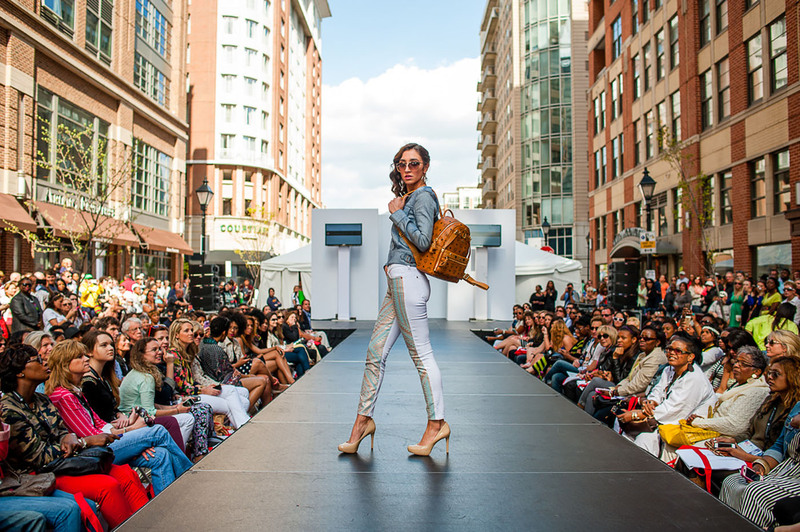 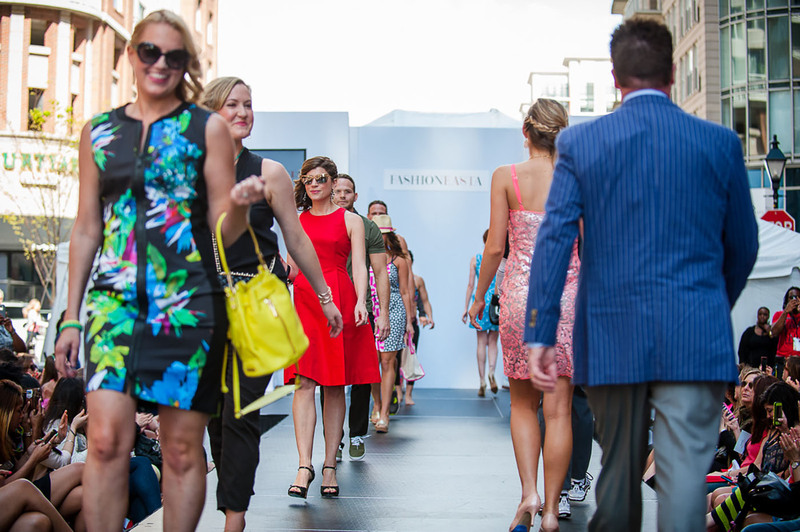 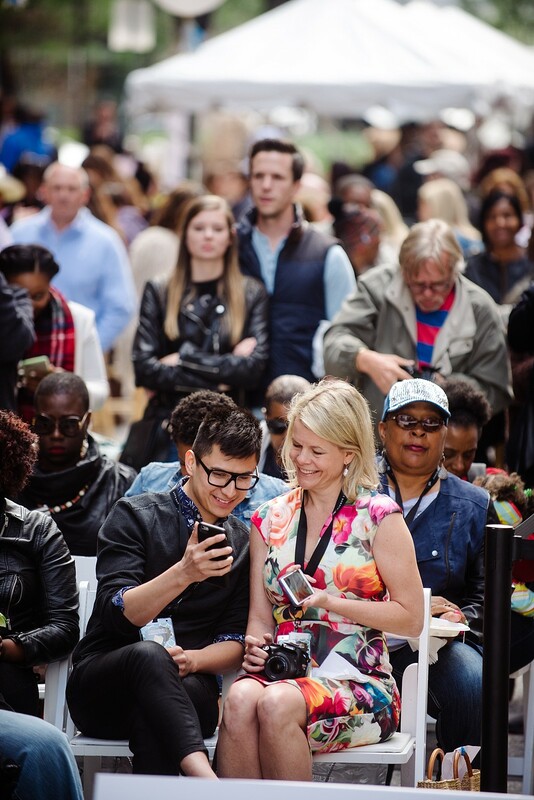 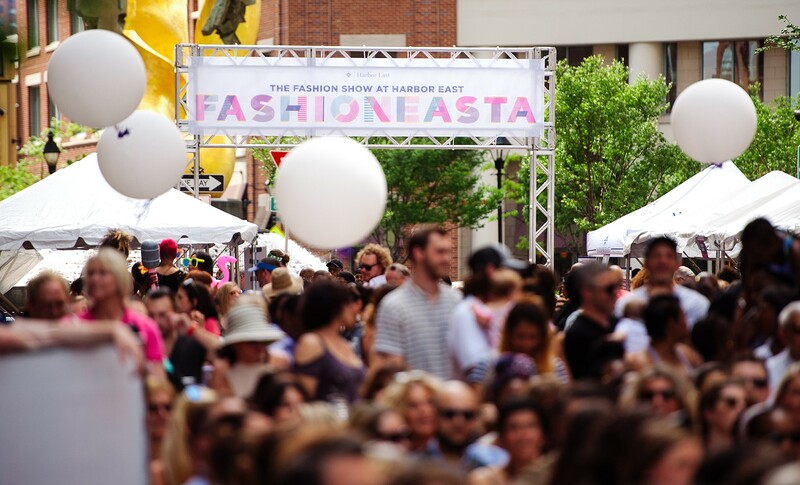 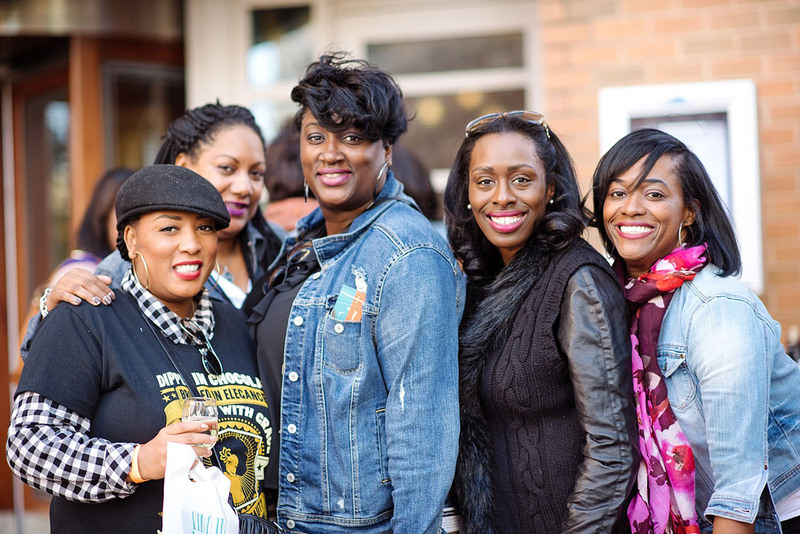 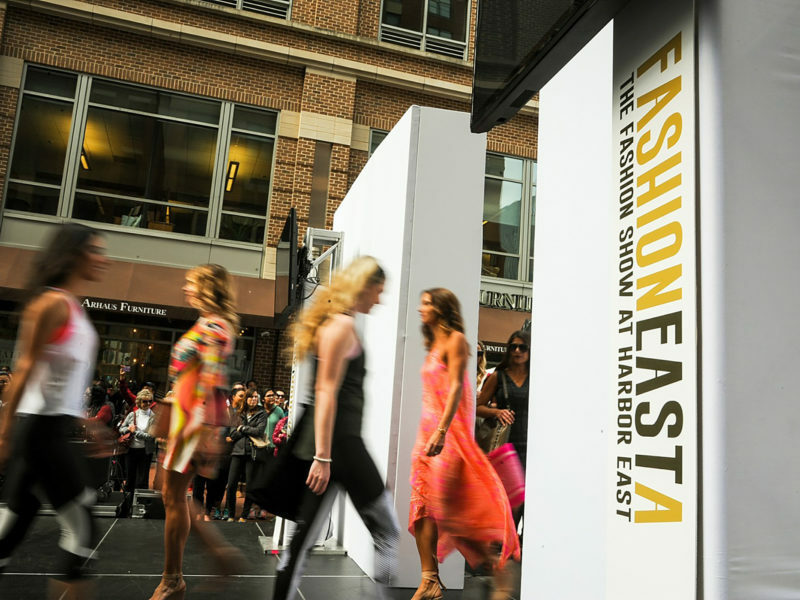 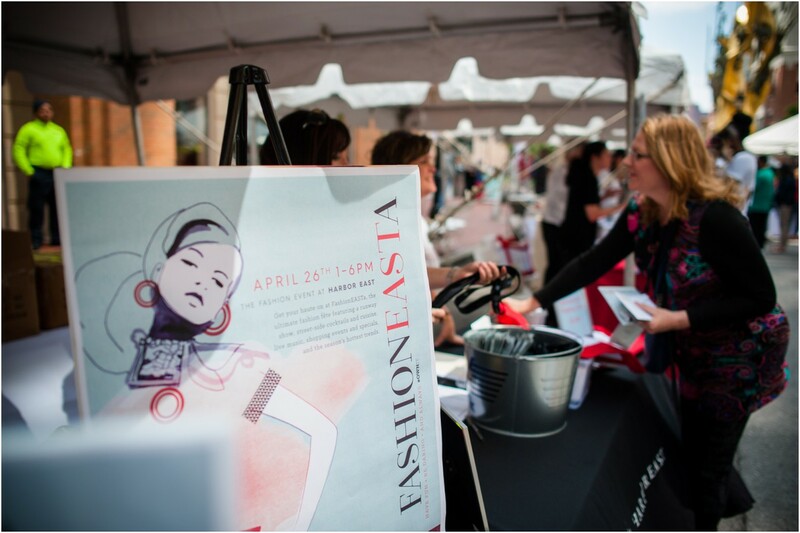 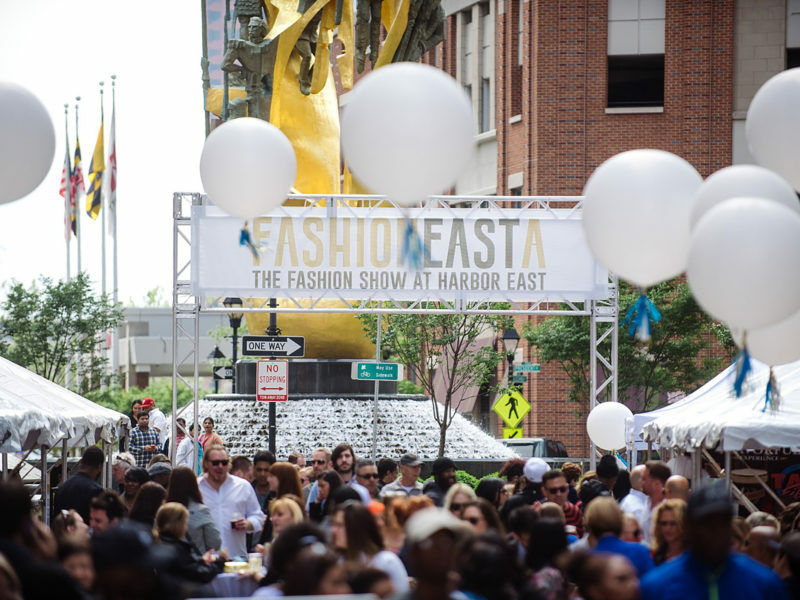 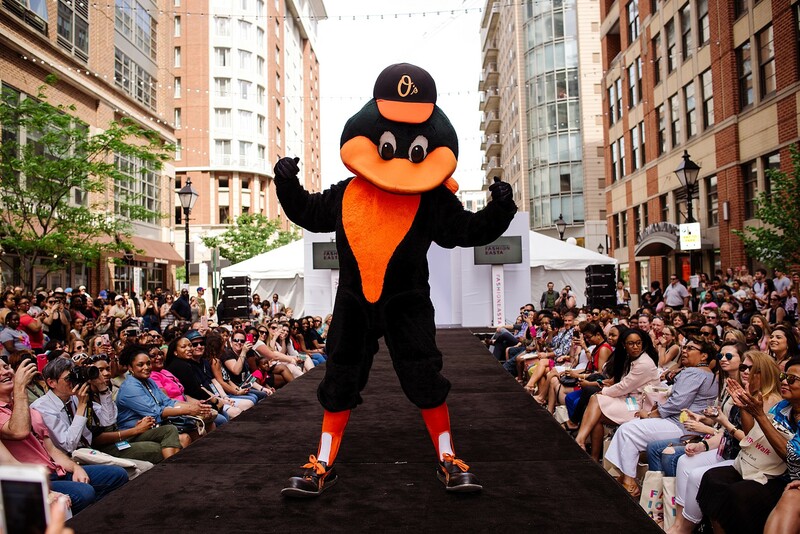 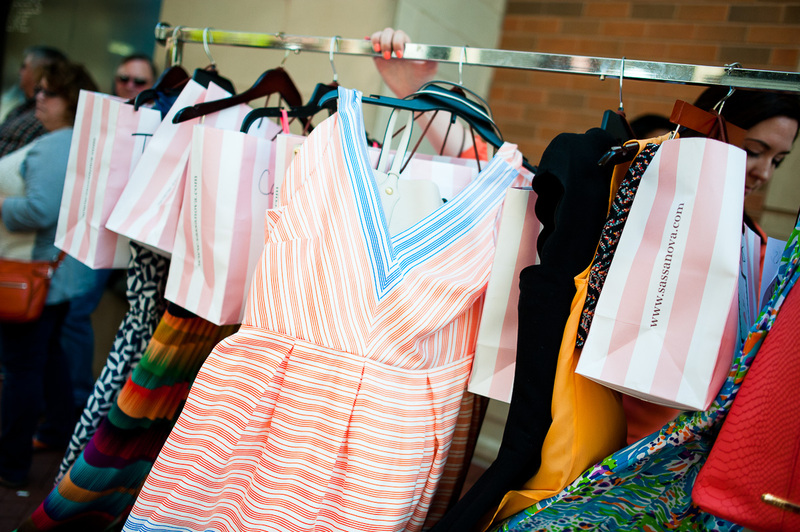 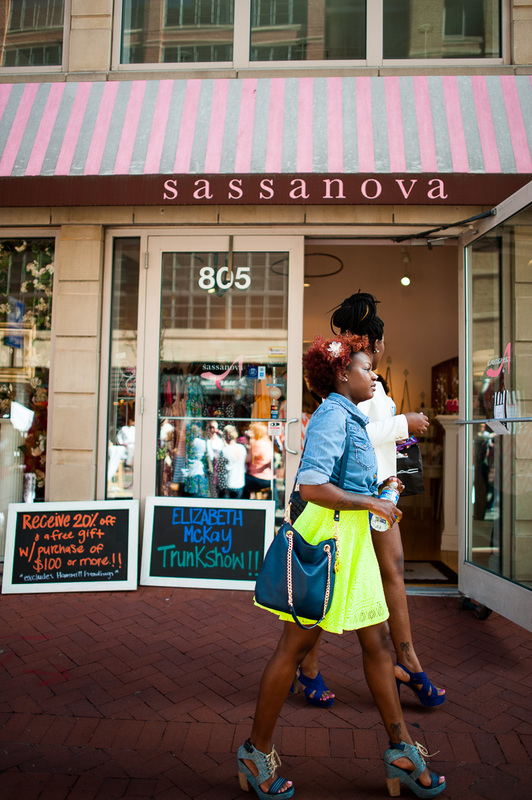 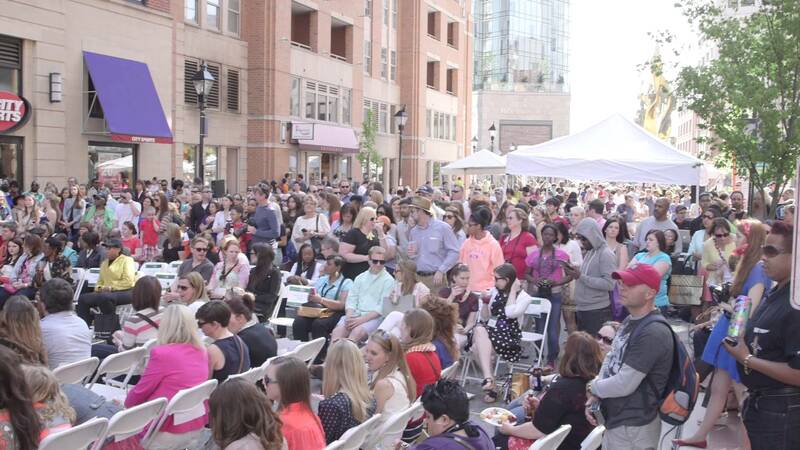 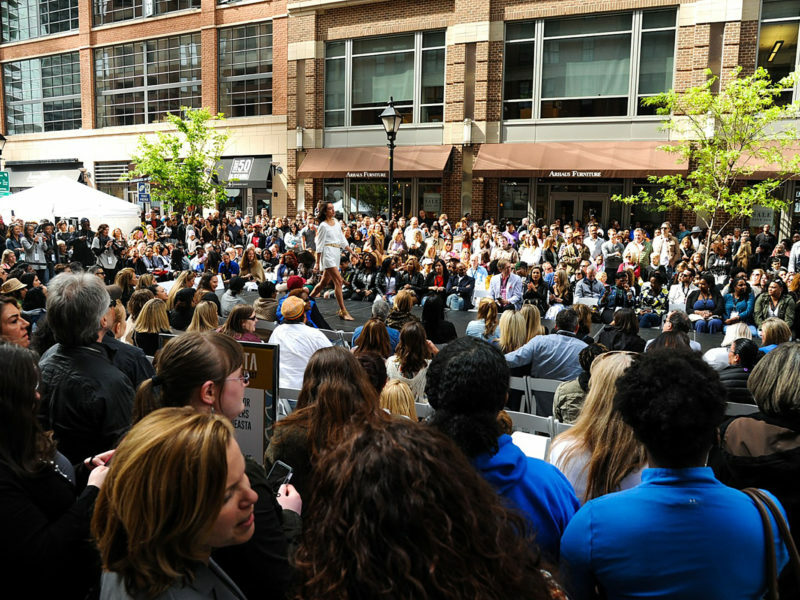 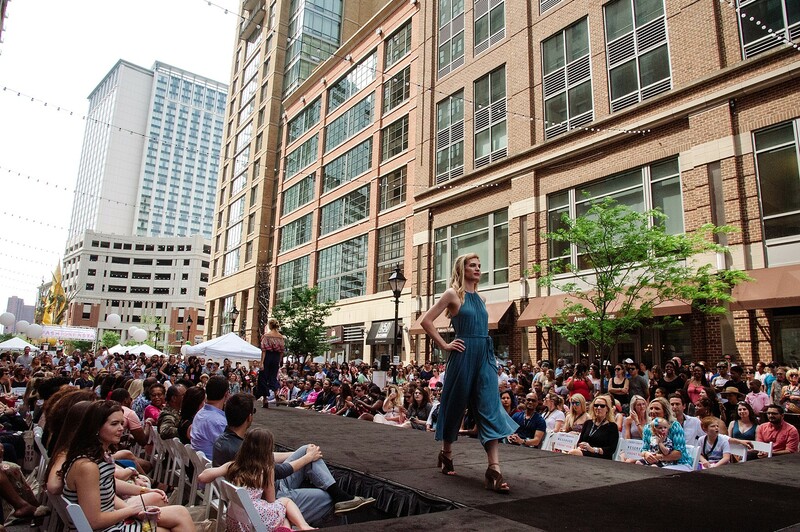 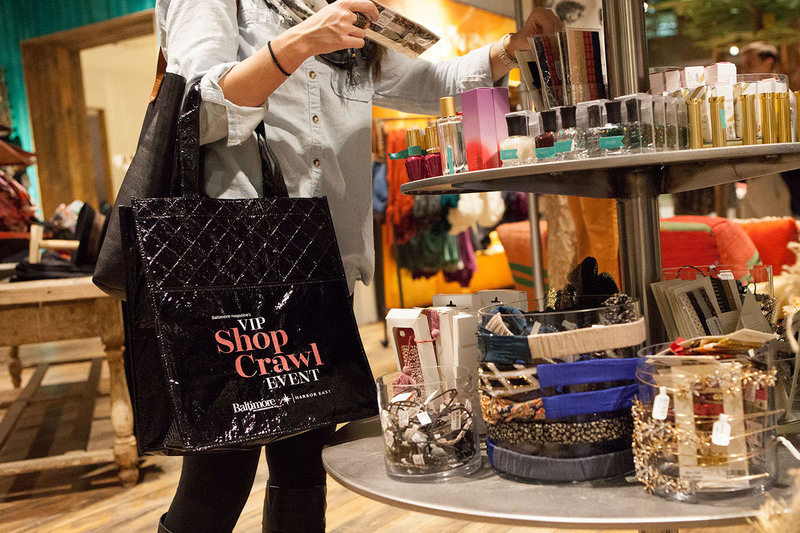 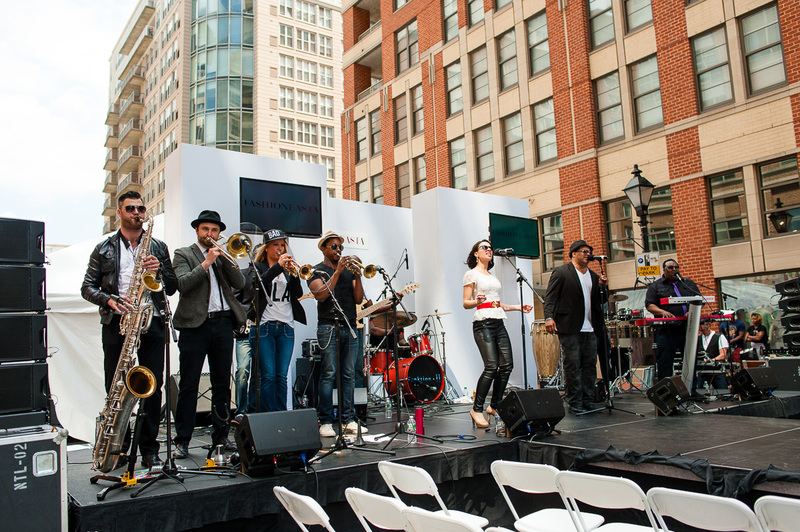 Stylish Baltimoreans flock to FashionEASTa: The Fashion Show year after year for the latest trends in spring styles – straight from Harbor East shops! 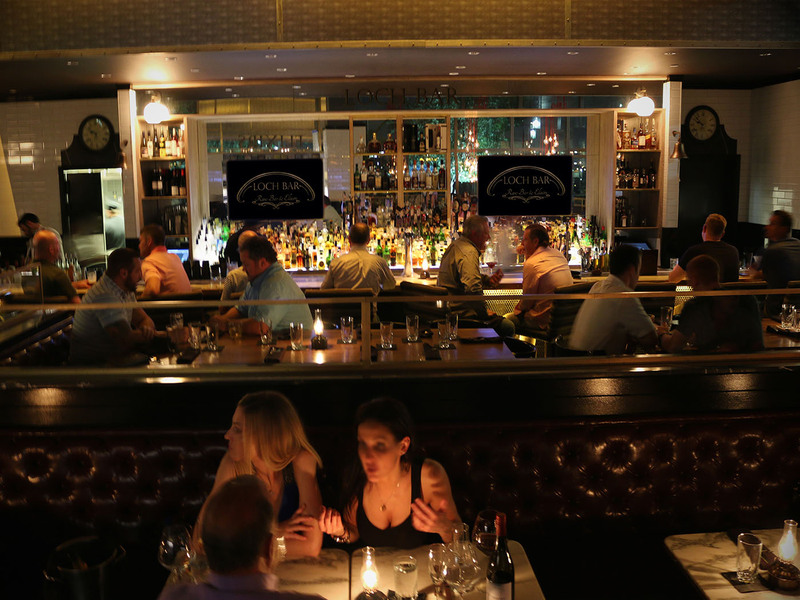 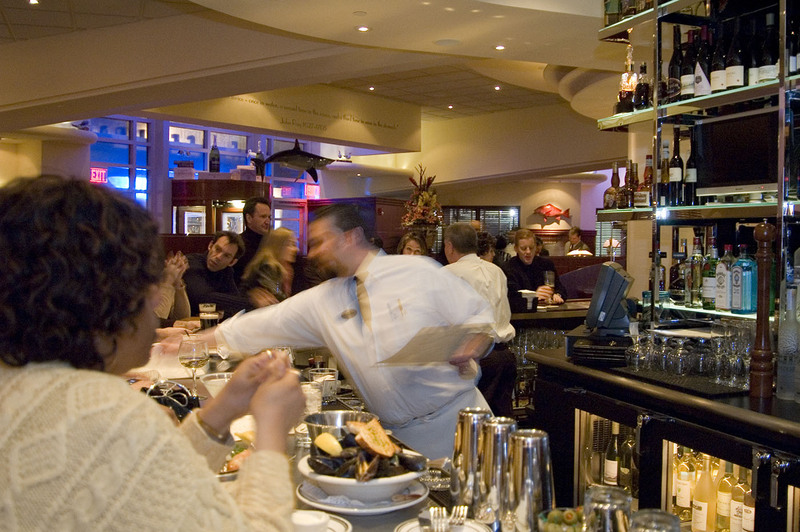 A bustling bar at The Oceanaire’s Oyster Happy Hour. 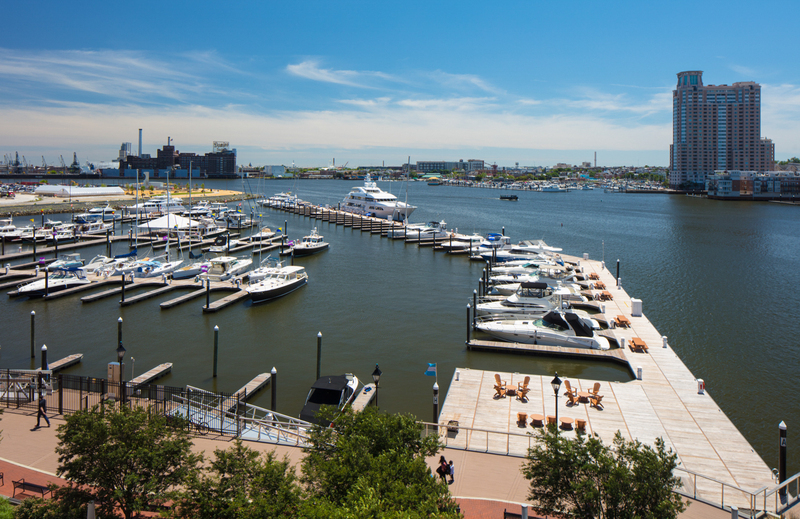 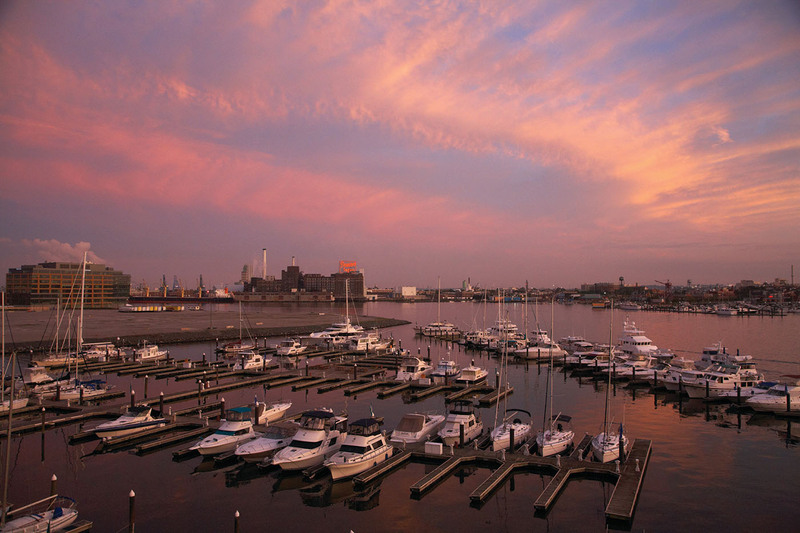 The view overlooking the Harbor East Marina and our neighbor, Living Classrooms Foundation. 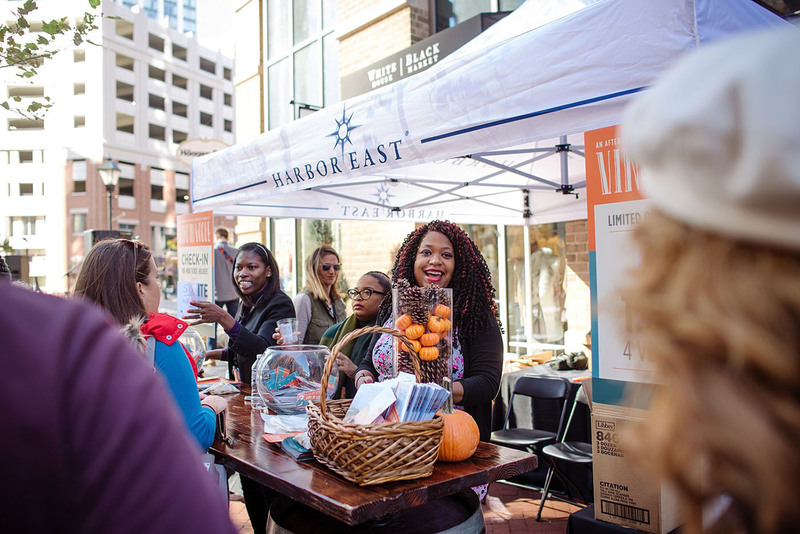 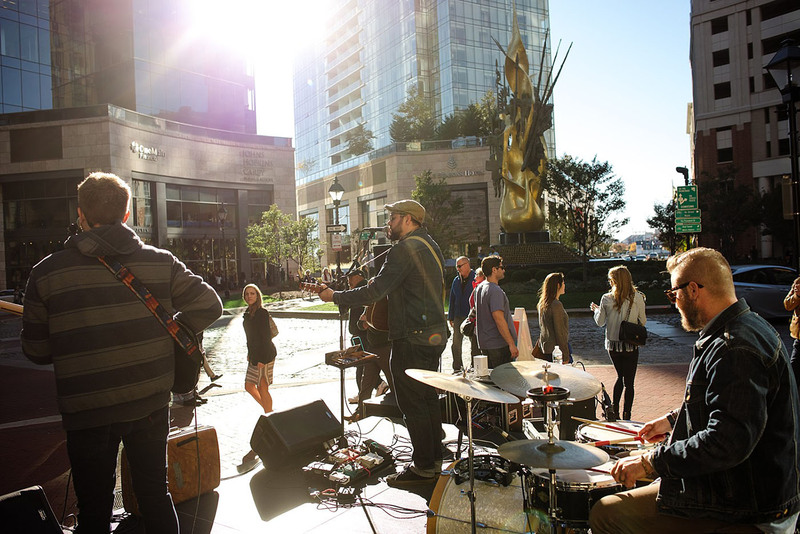 Wine, music and sunshine - the perfect fall afternoon in Harbor East. 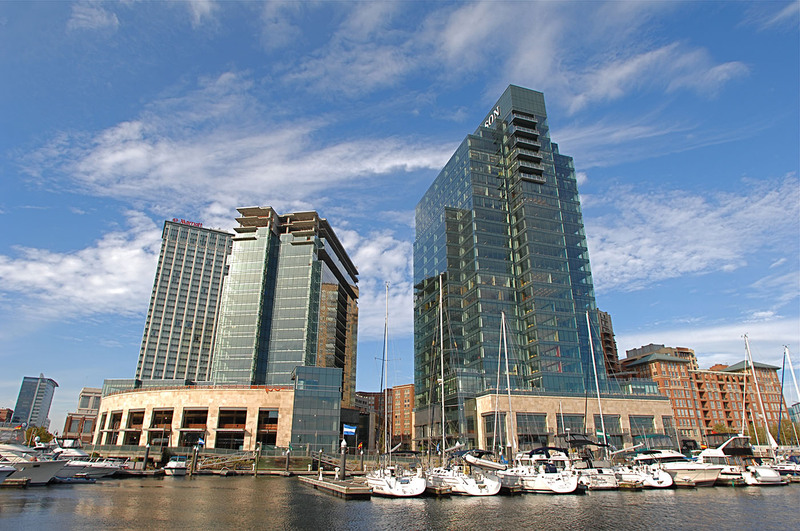 The Harbor Promenade winds around the Inner Harbor, connecting Locust Point to Harbor East and beyond. 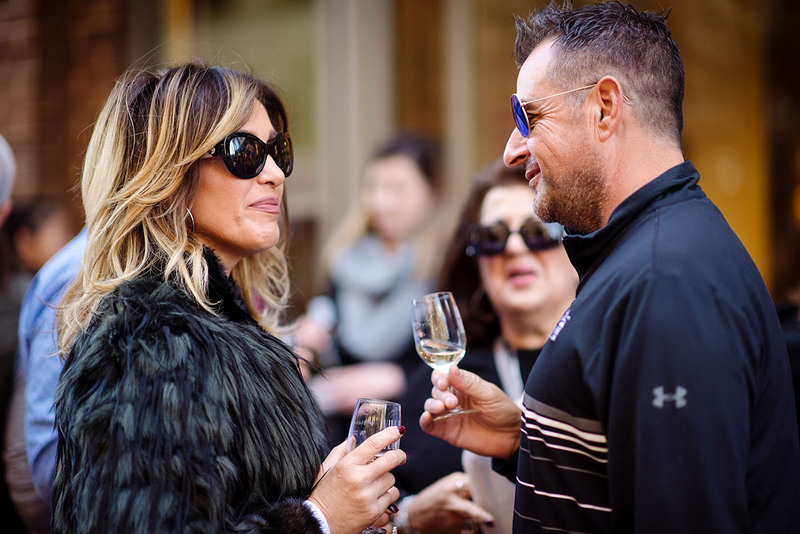 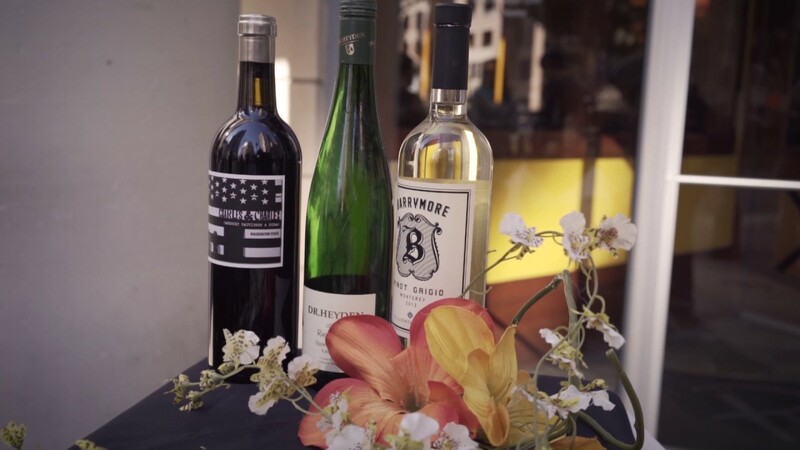 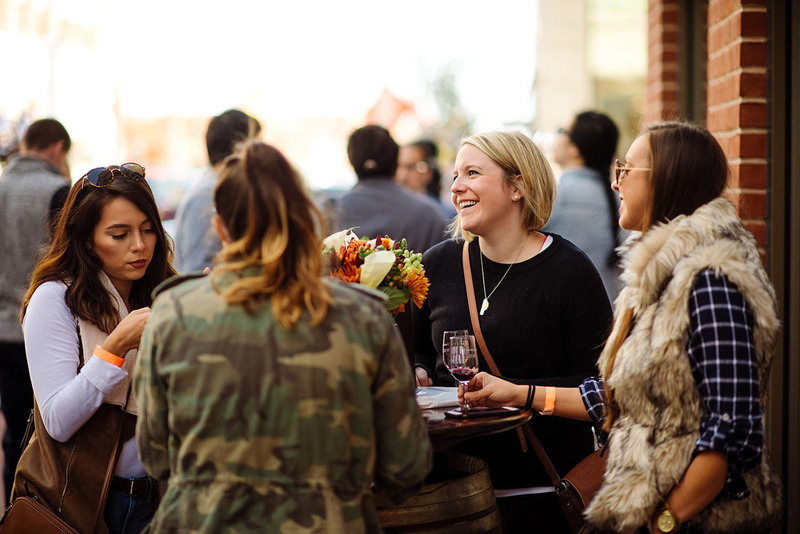 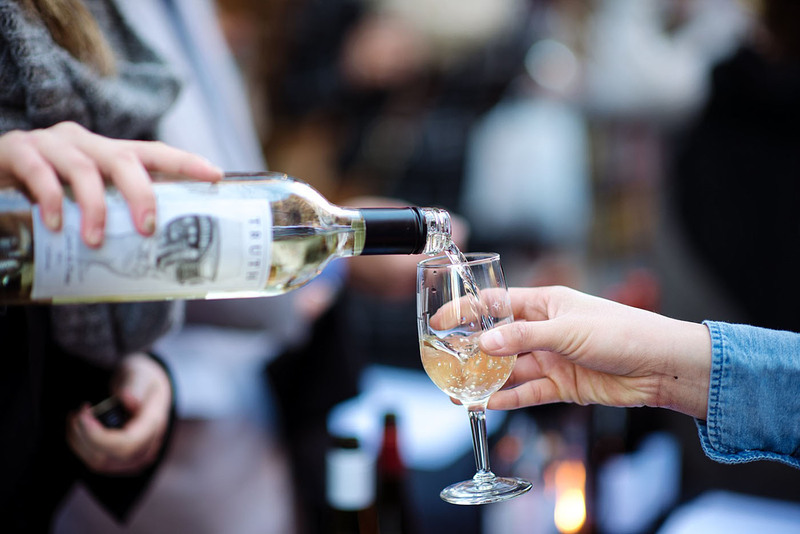 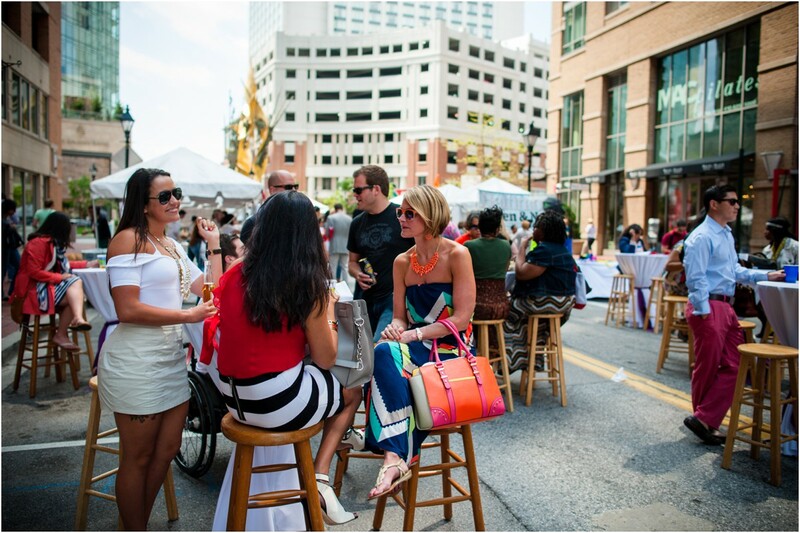 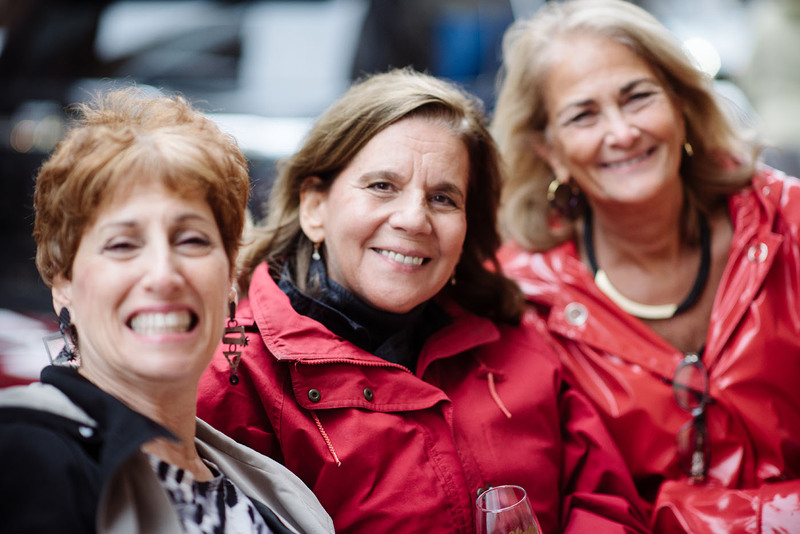 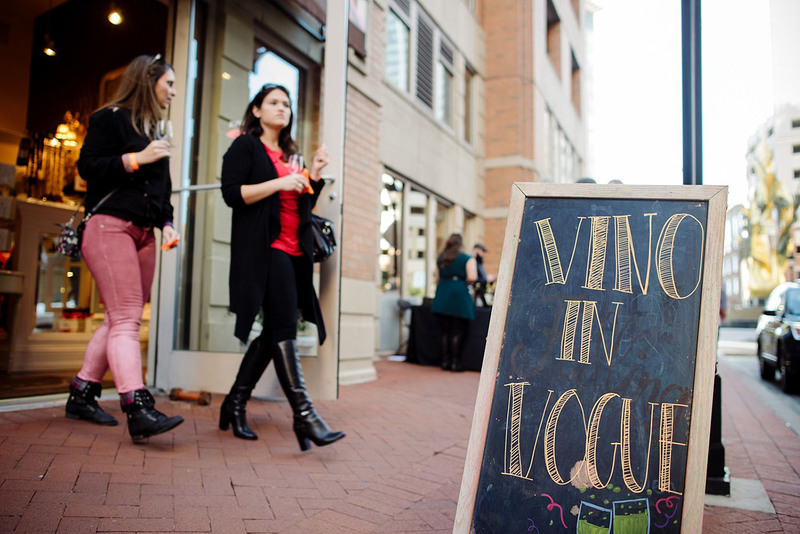 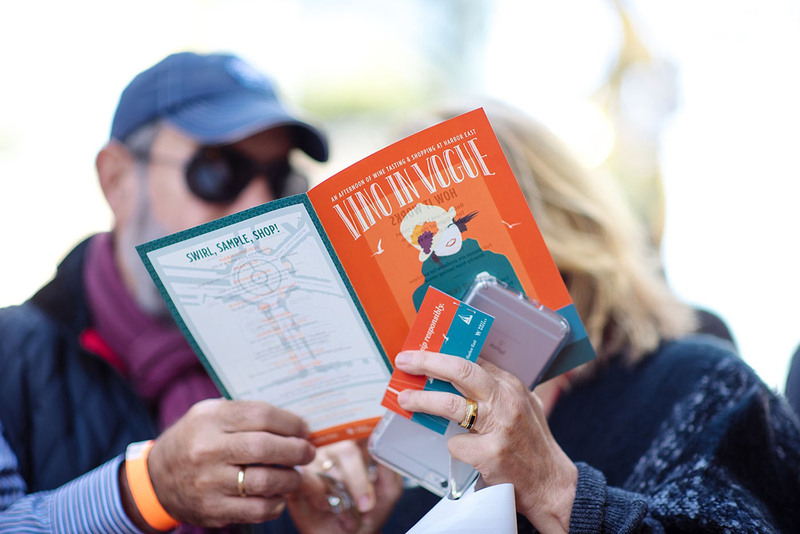 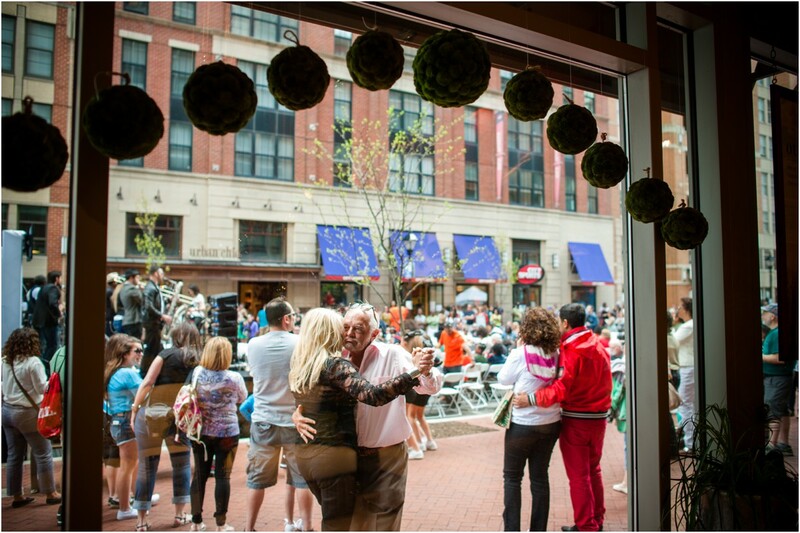 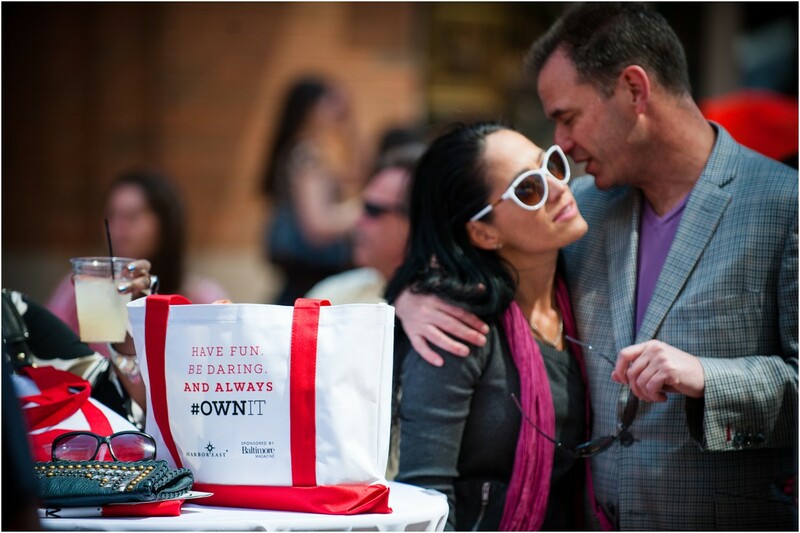 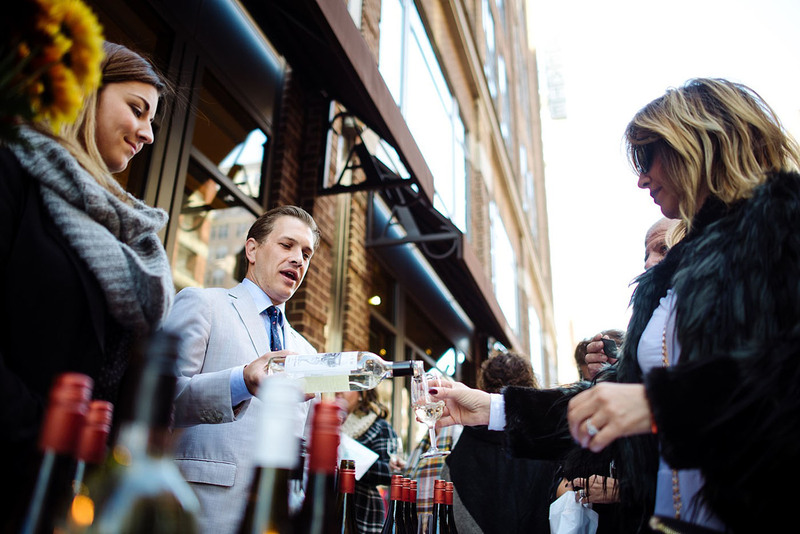 Guests sip and stroll down the sidewalks of Harbor East for the annual fall wine tasting, Vino in Vogue. 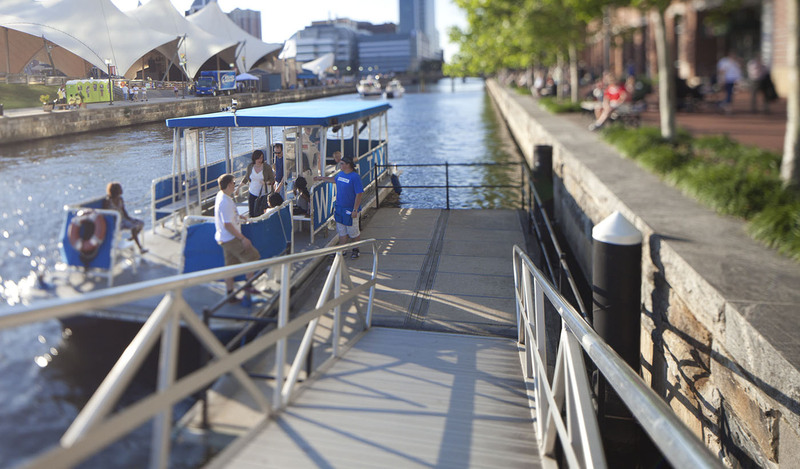 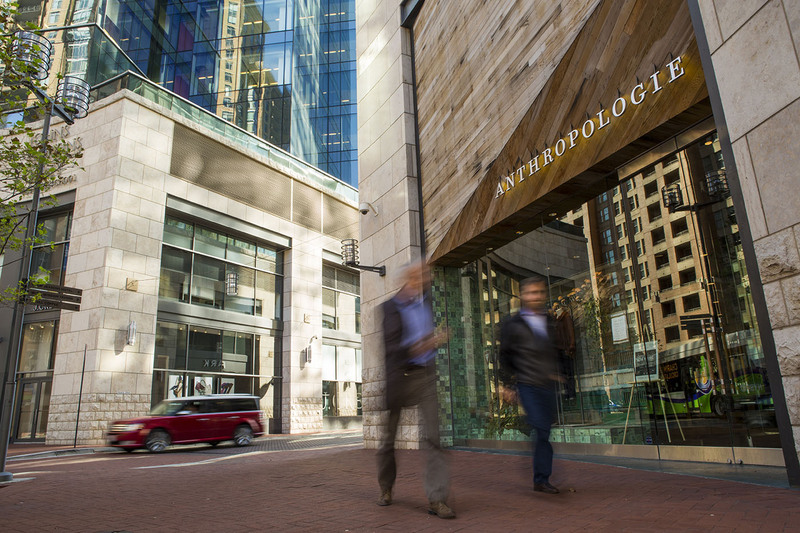 One of the quickest (and most fun) ways to find your way to Harbor East. 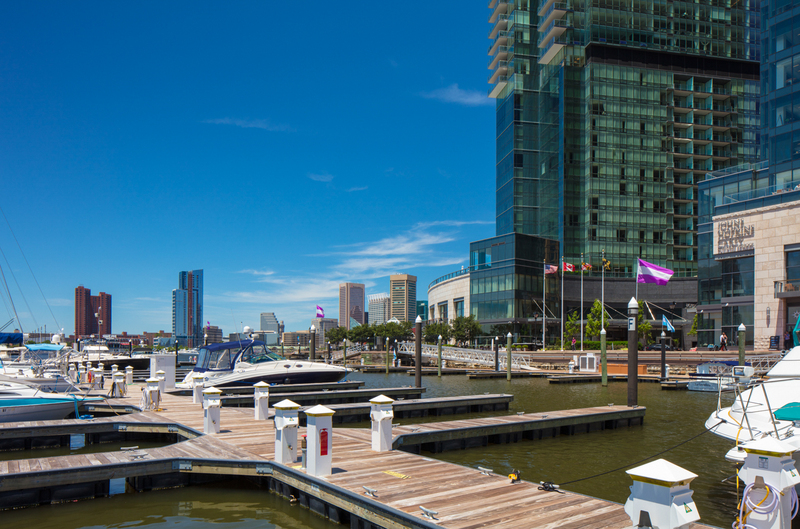 The Water Taxi and Harbor Connector stop just outside of the Marriott Waterfront Hotel. 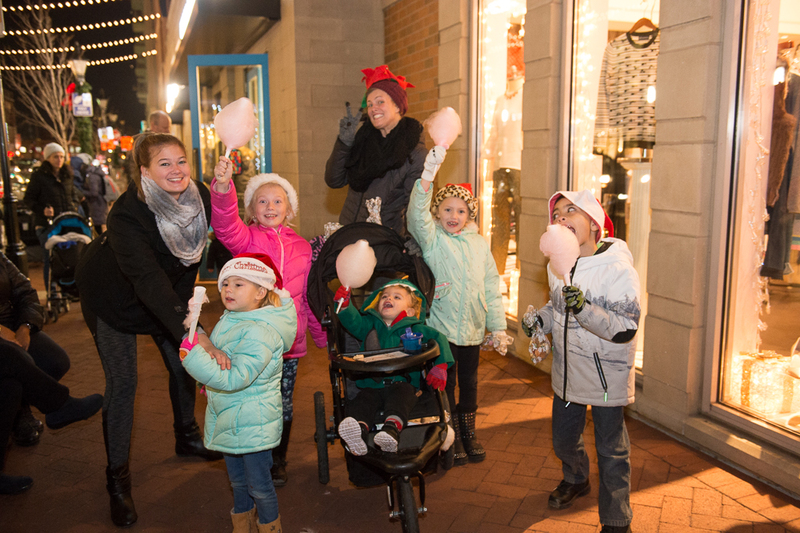 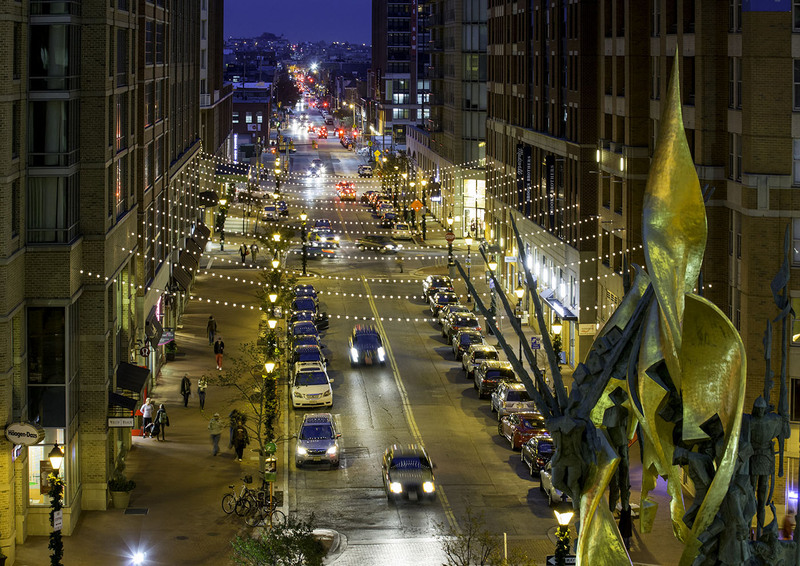 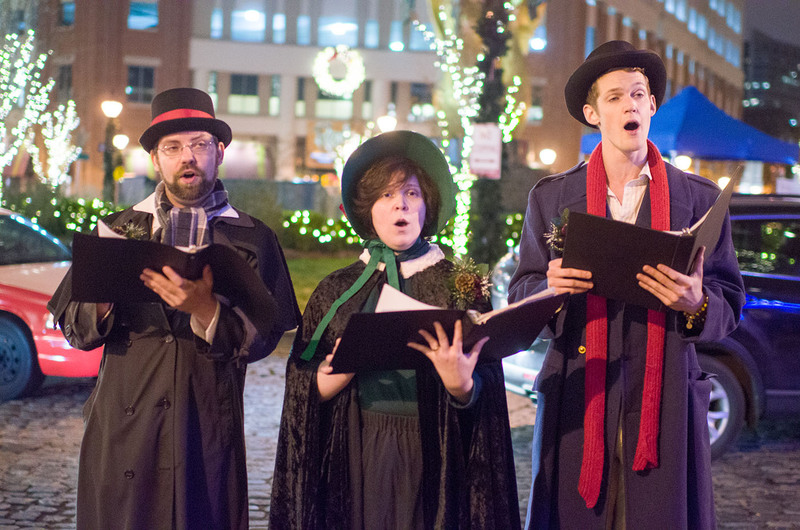 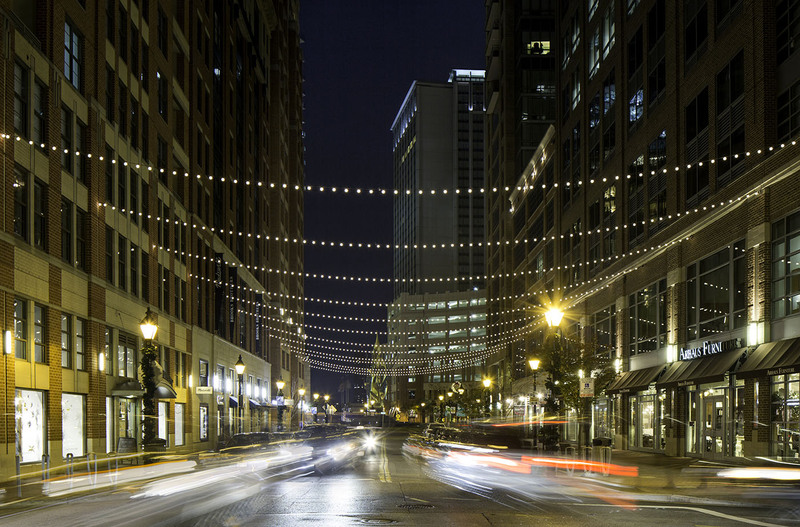 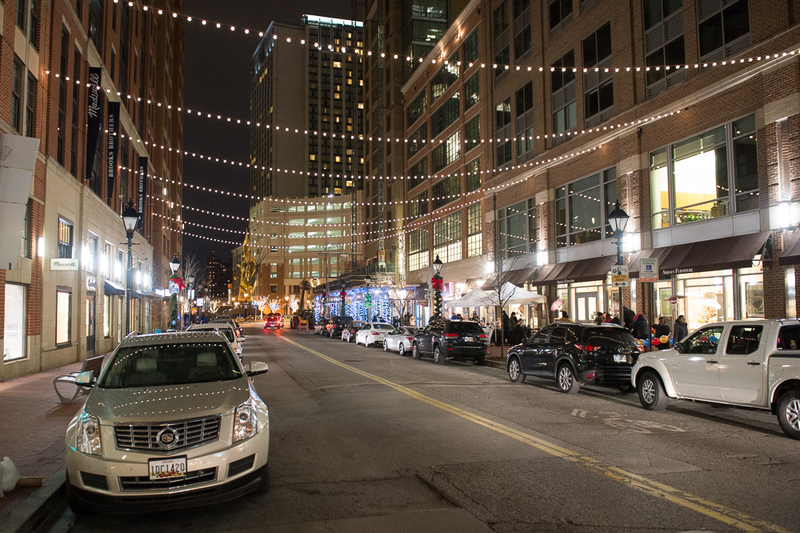 Harbor East streets aglow during holiday festivities. 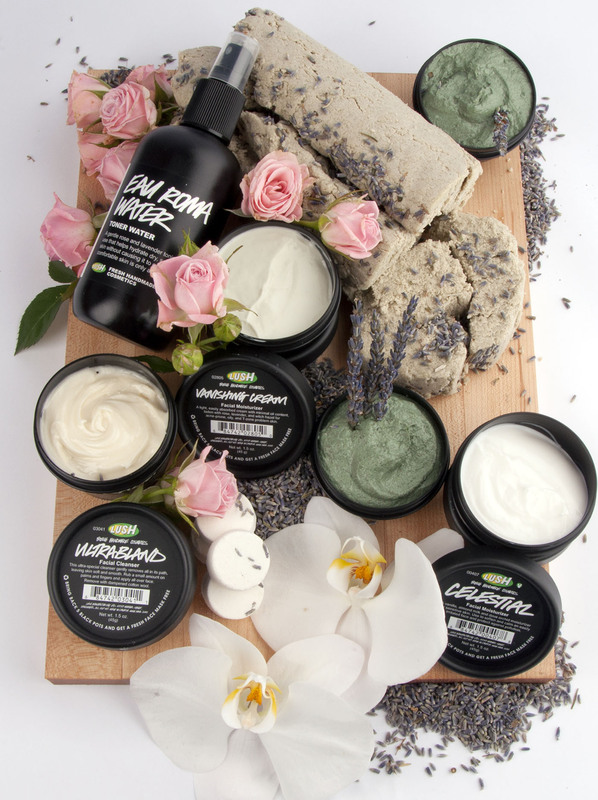 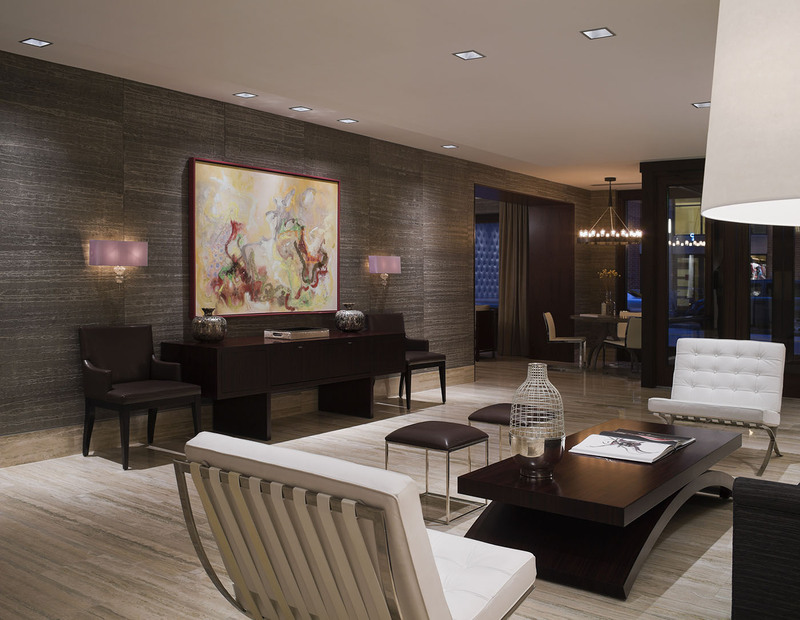 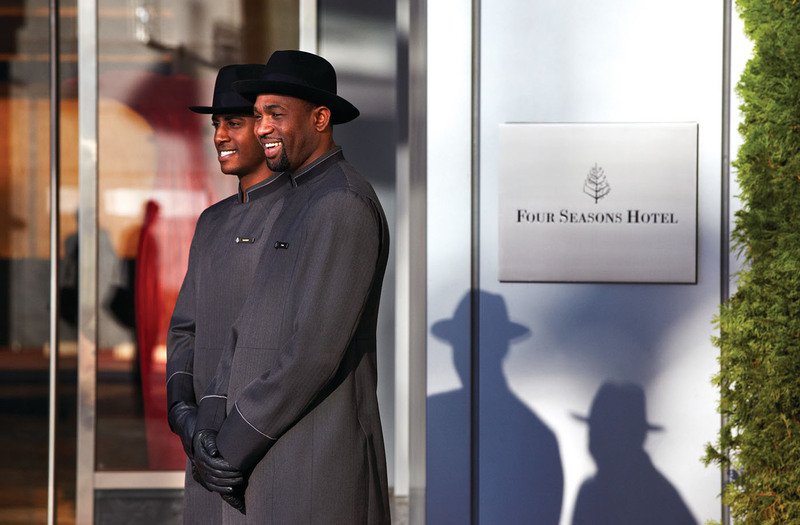 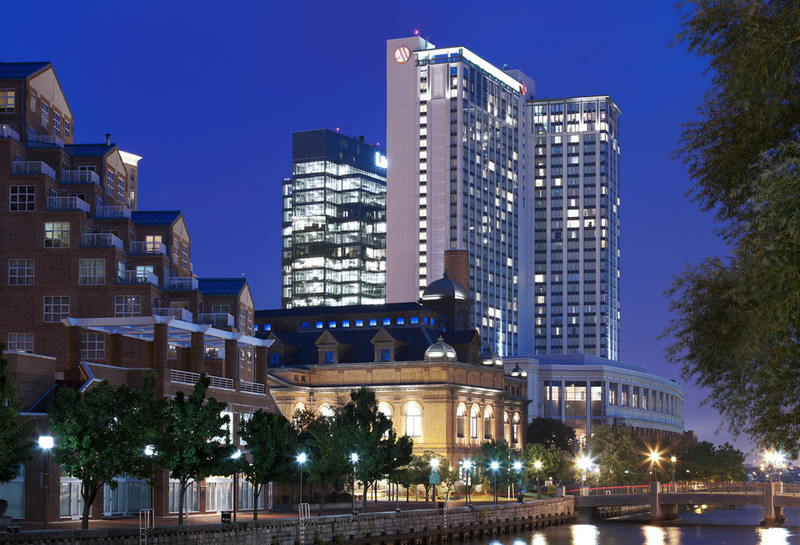 The Spa at Four Seasons Hotel Baltimore is consistently voted the region’s best. 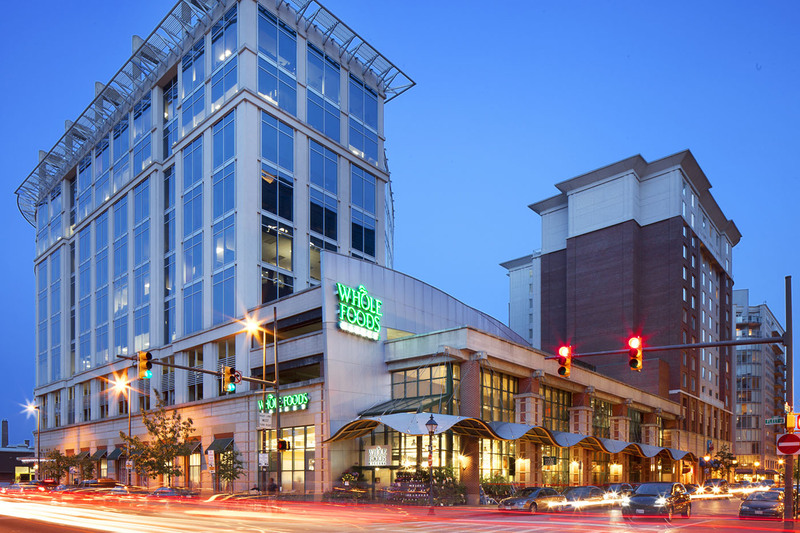 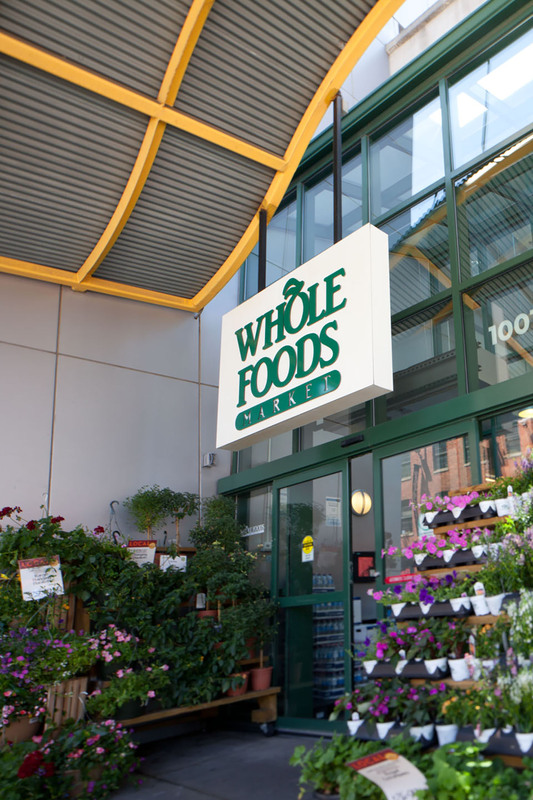 Whole Foods Market has been a part of the Harbor East neighborhood since 2002. 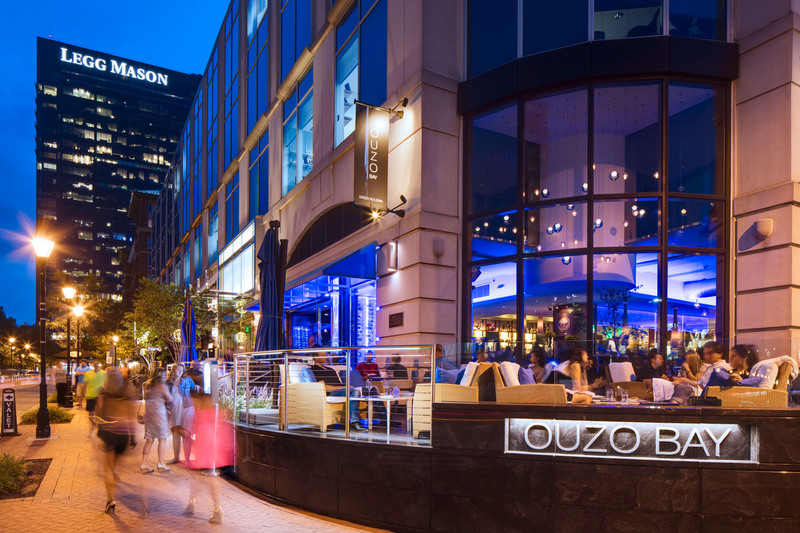 Its new location in Harbor East will be double in size (opening 2018). 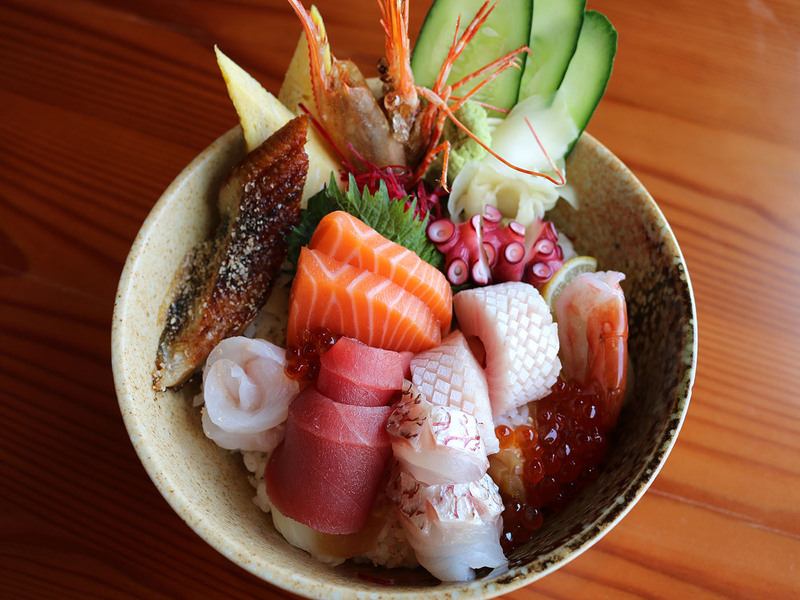 The Chirashi Bowl at Azumi.